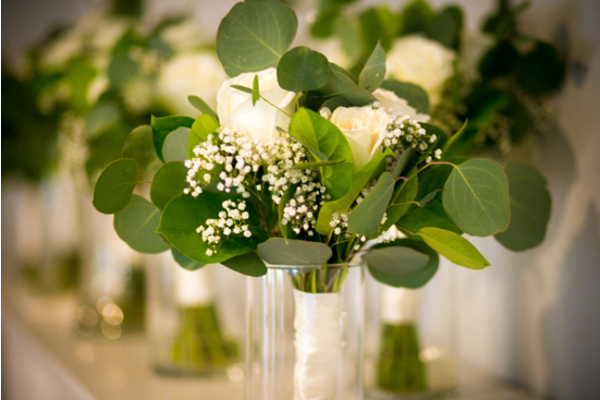 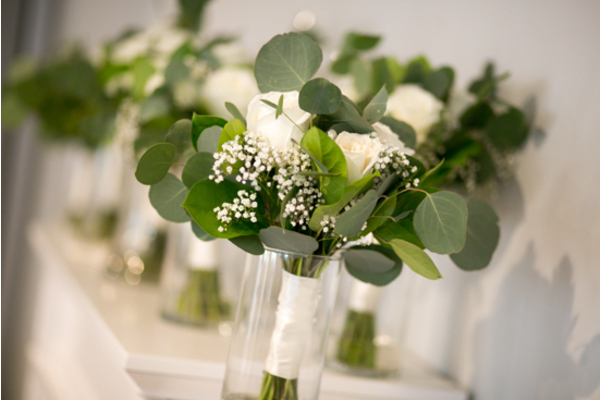 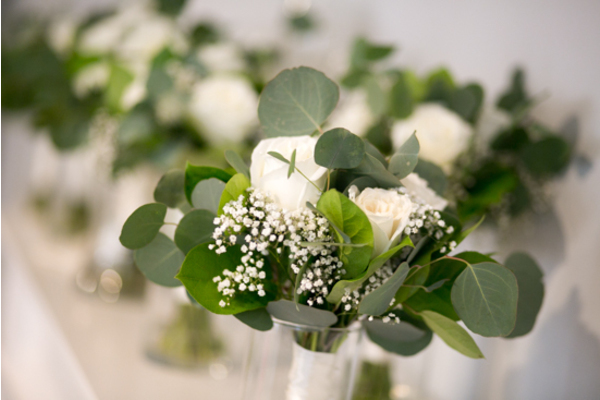 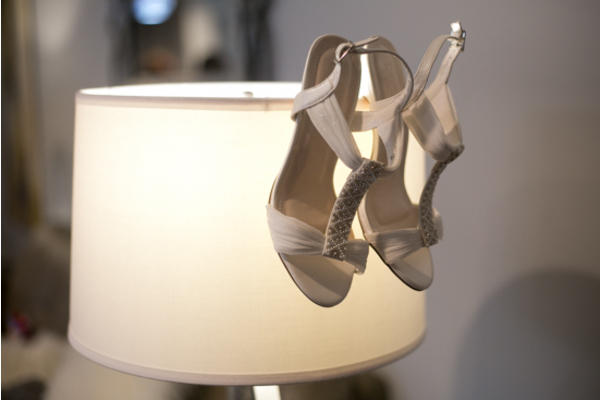 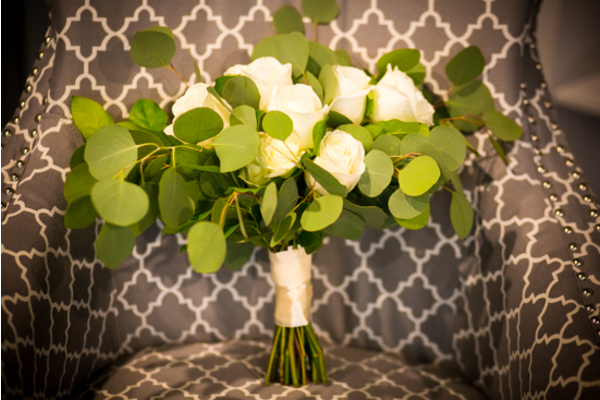 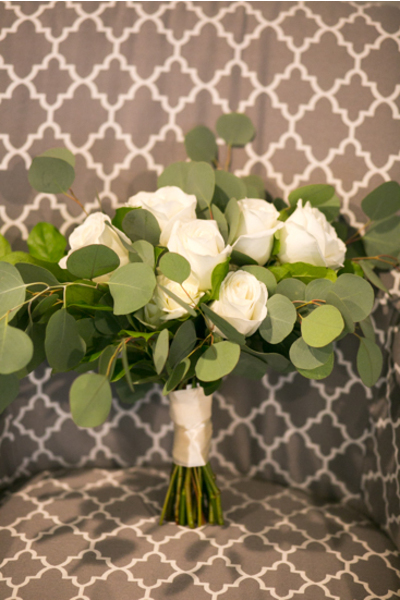 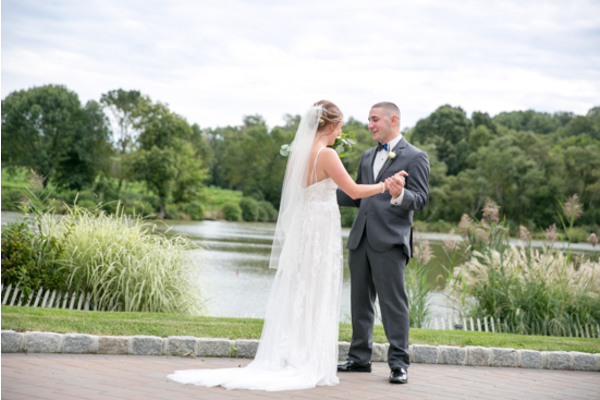 A major congratulations goes to Gina and Kevin on their lovely September wedding! 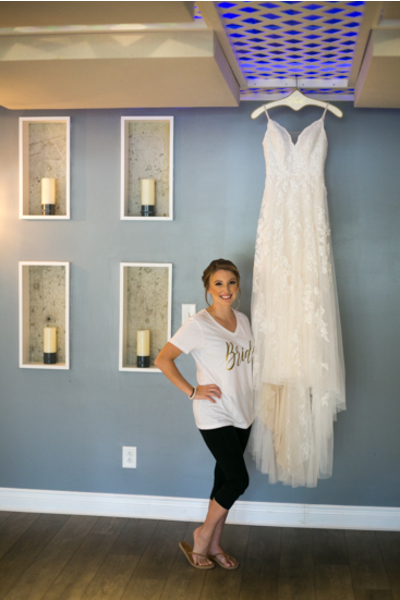 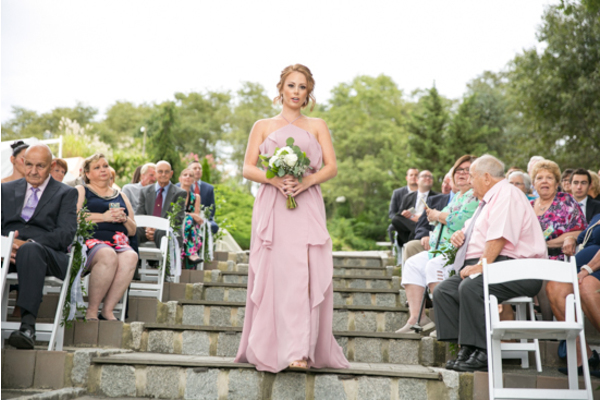 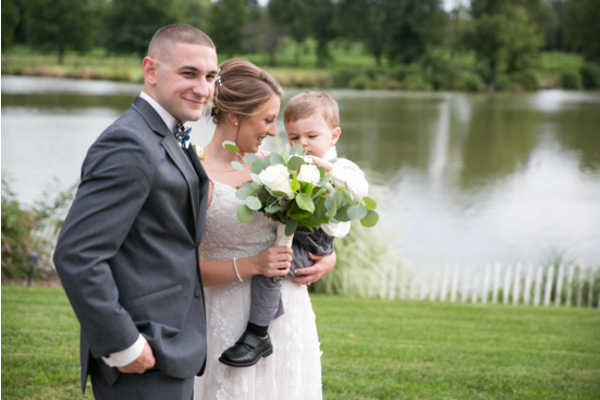 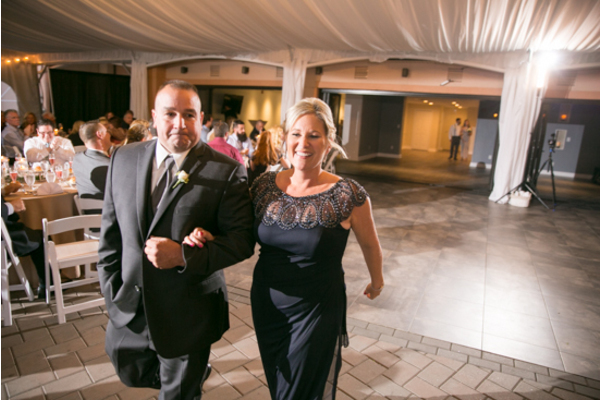 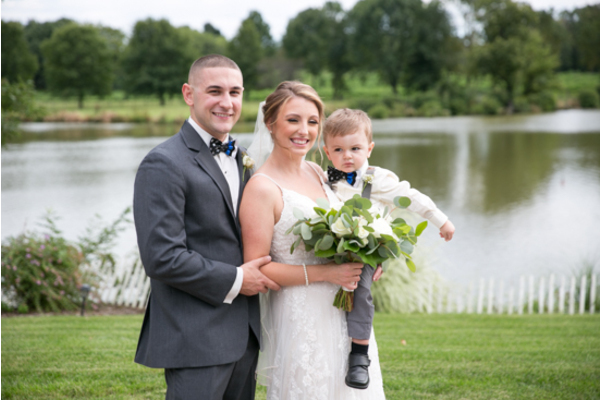 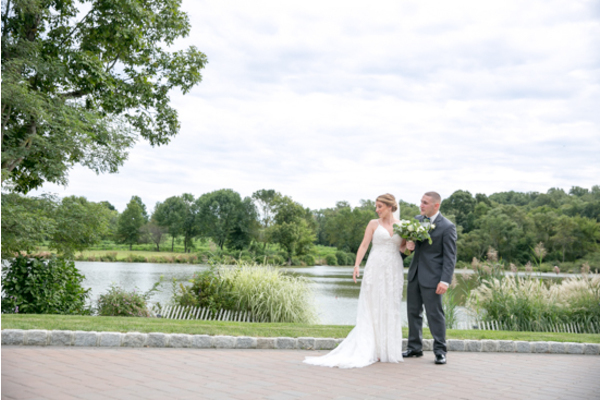 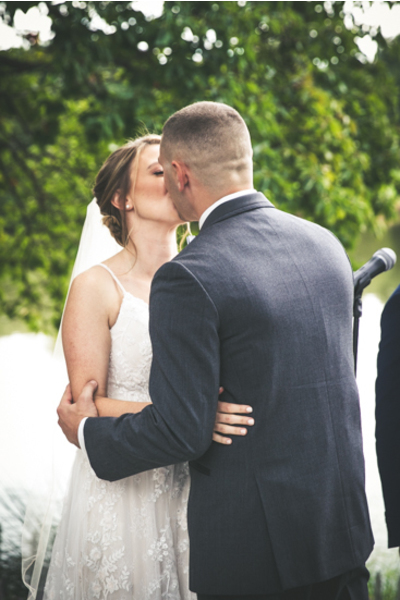 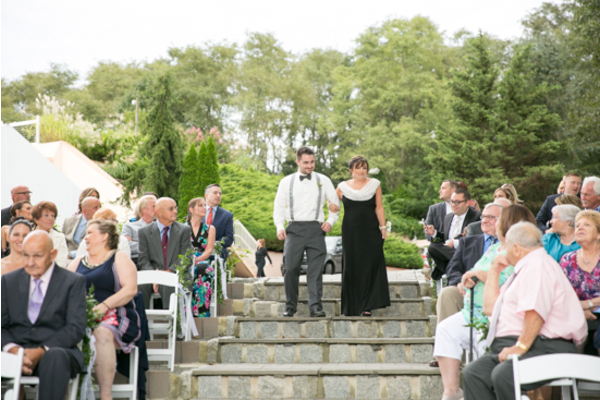 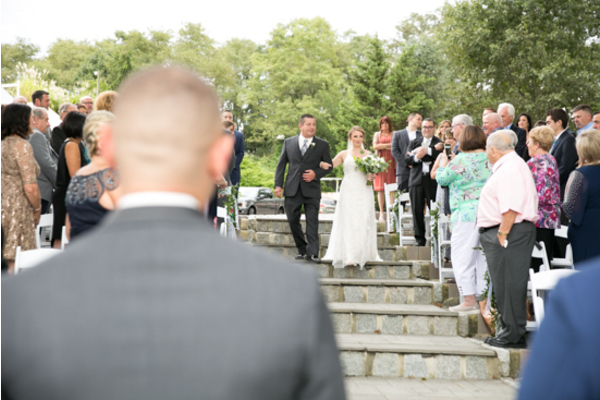 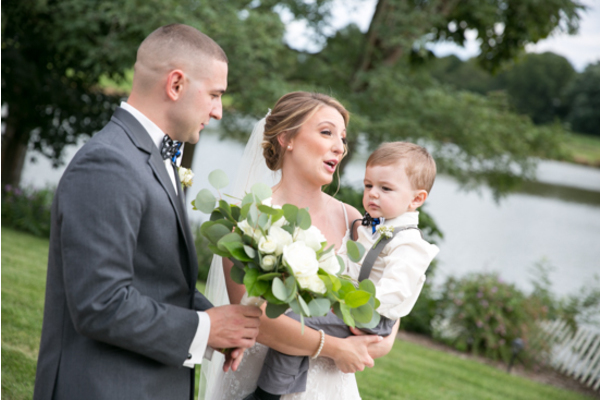 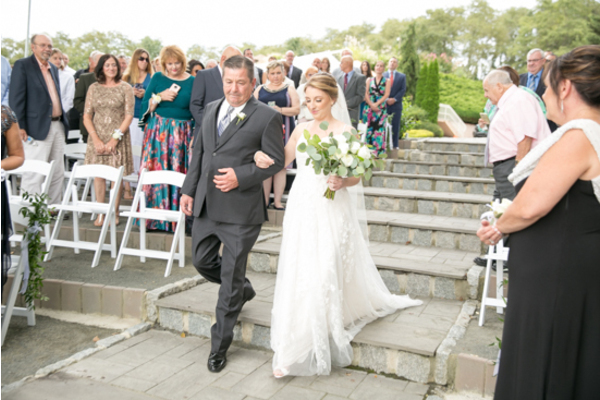 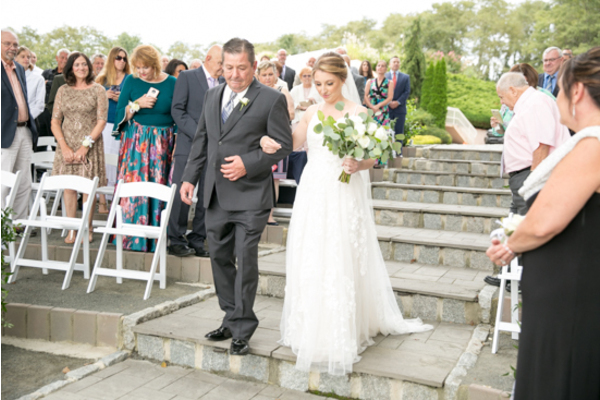 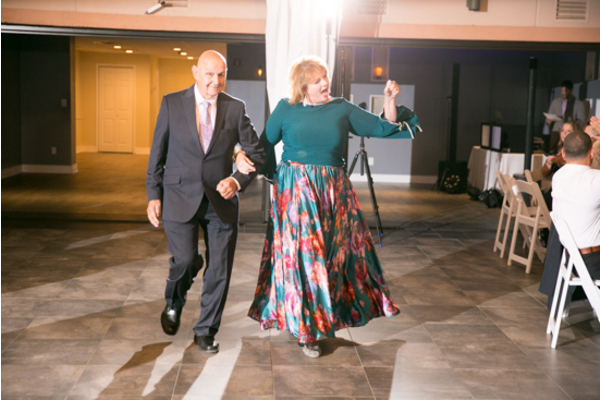 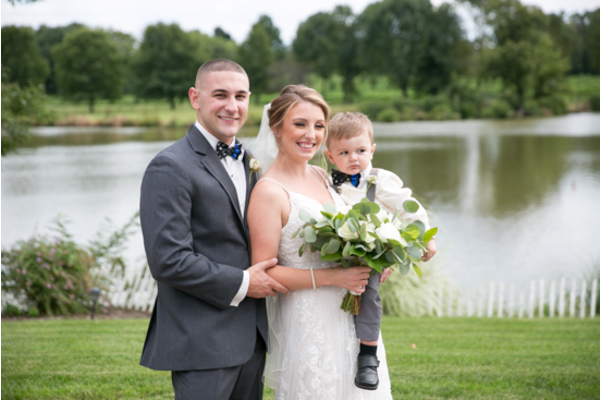 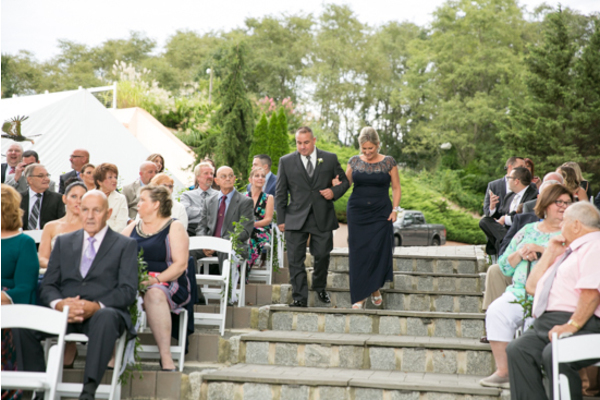 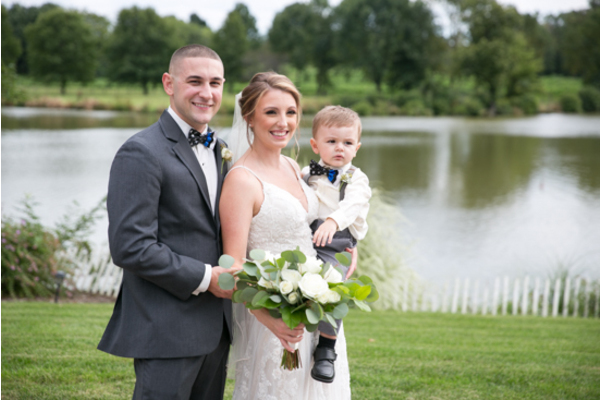 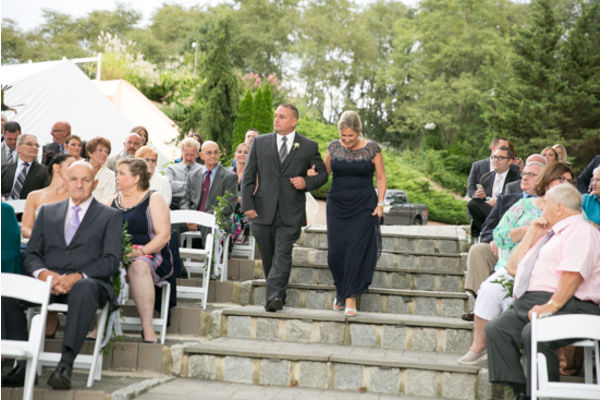 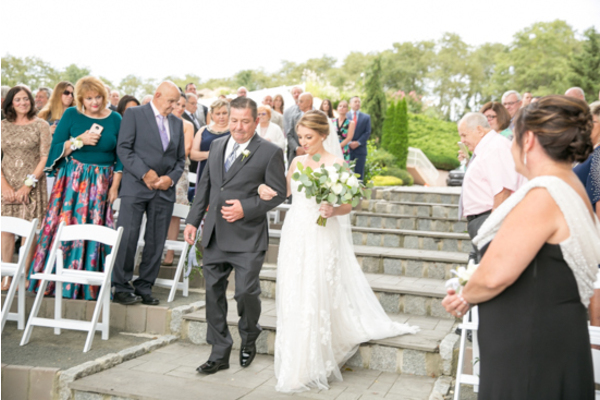 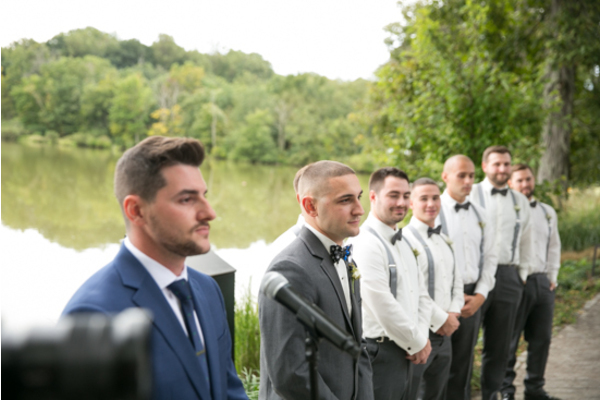 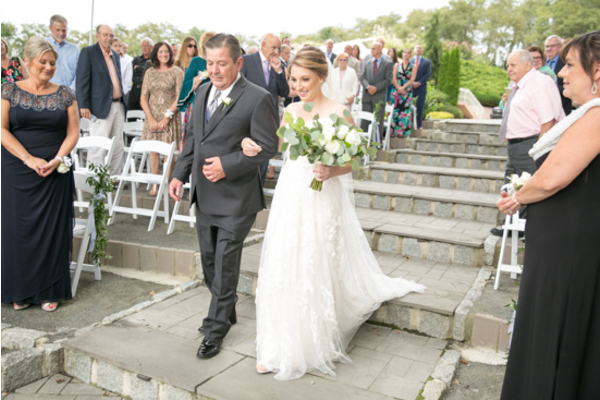 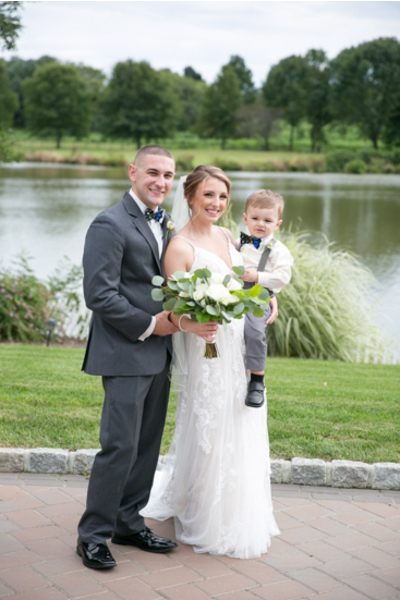 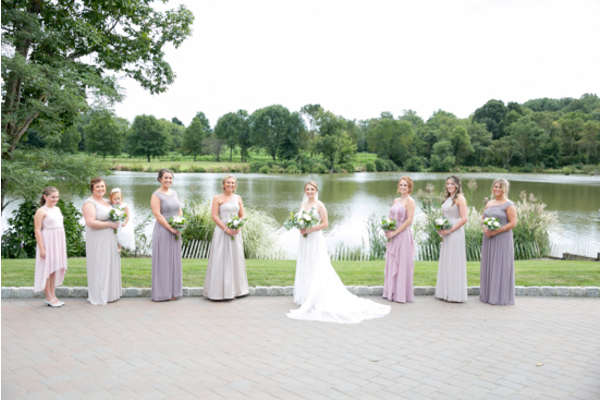 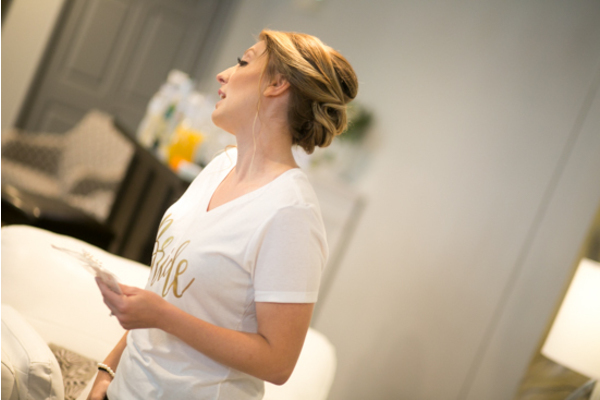 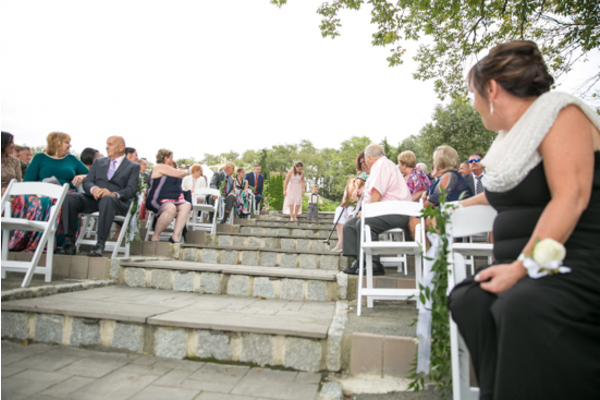 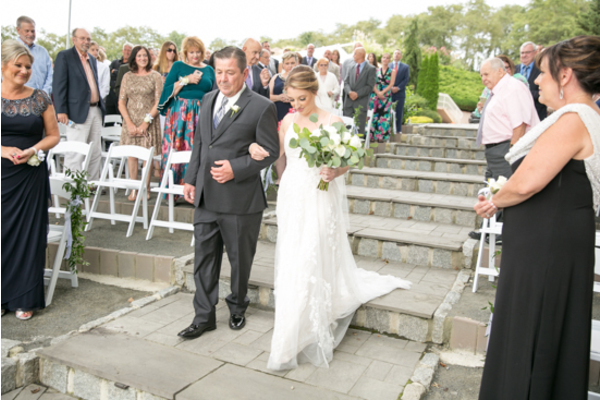 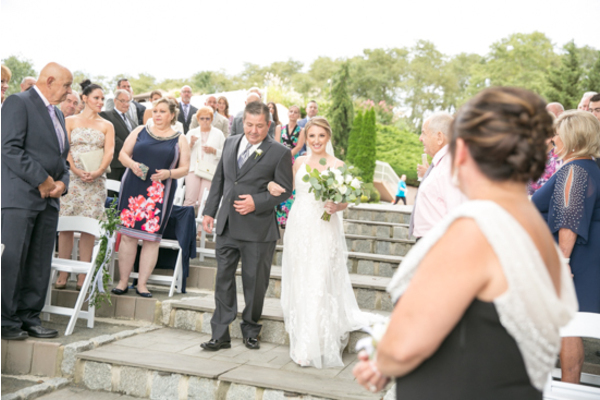 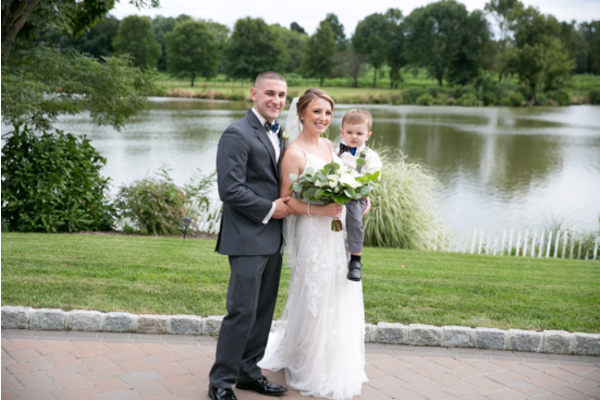 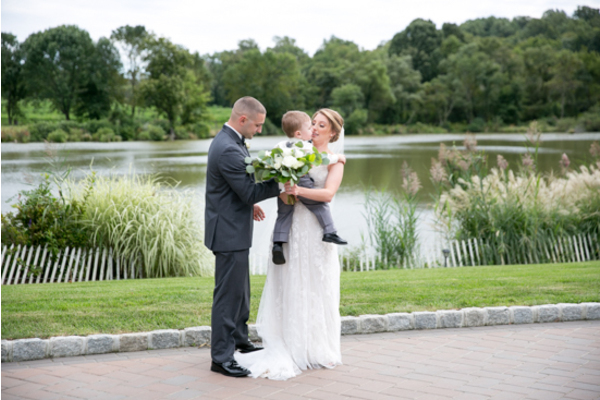 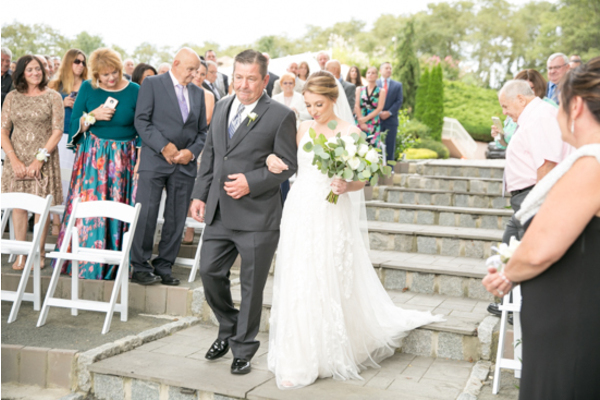 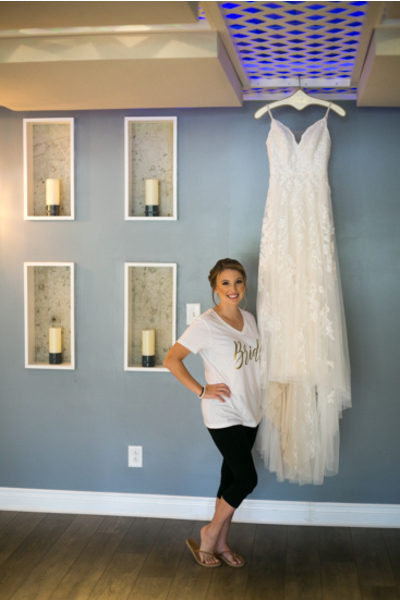 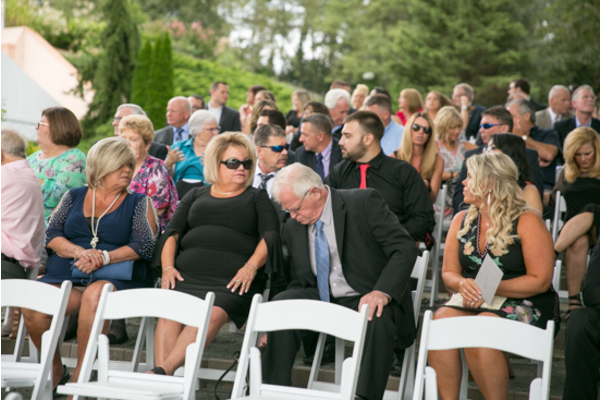 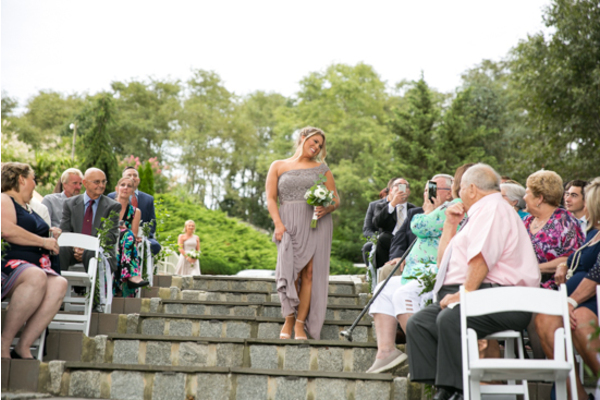 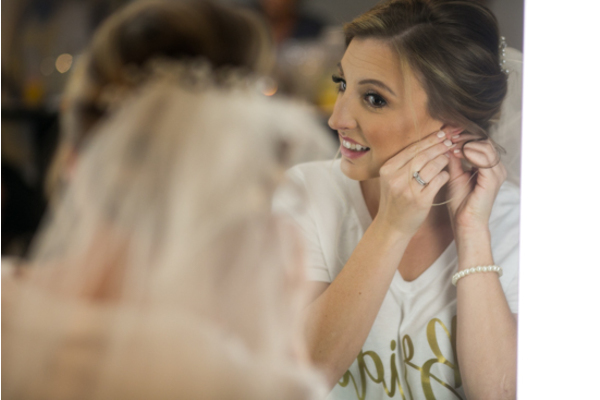 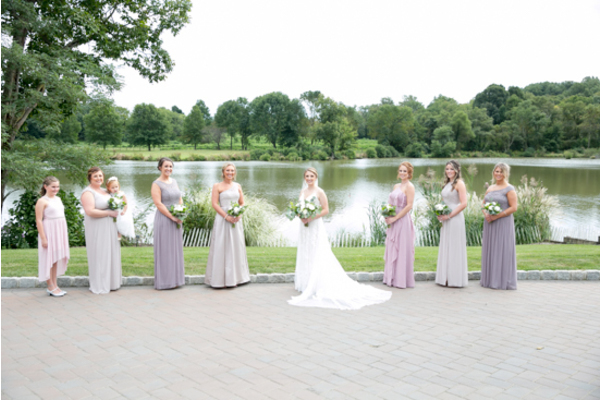 They married on September 22, 2018 at The Estate at Eagle Lake located in Chesterfield, NJ. 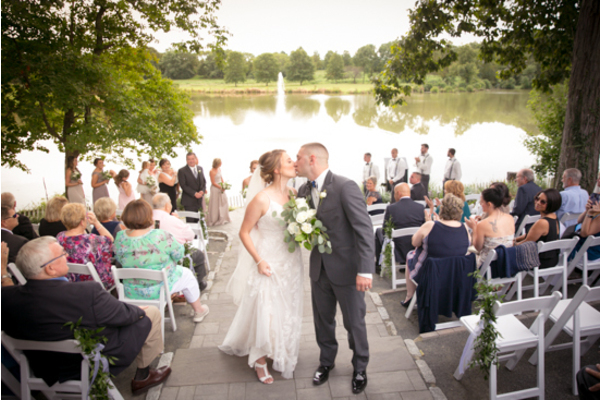 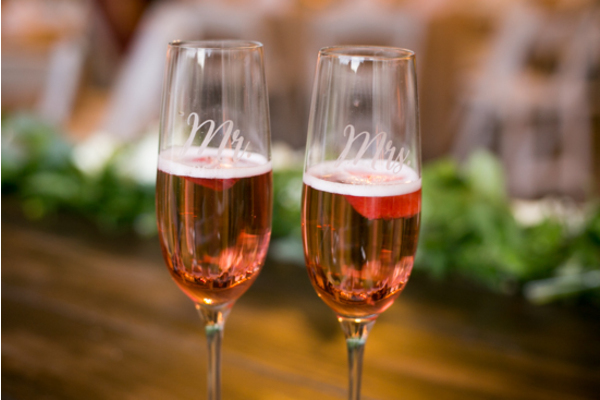 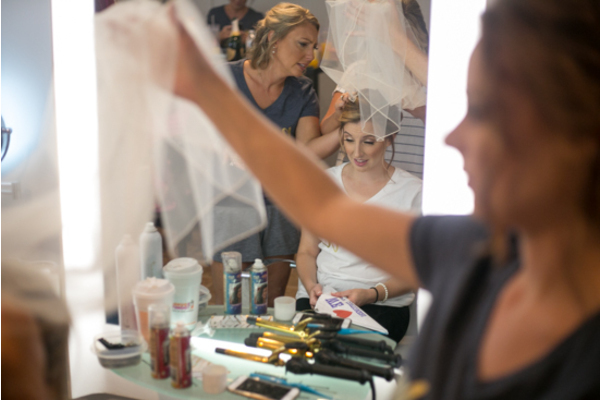 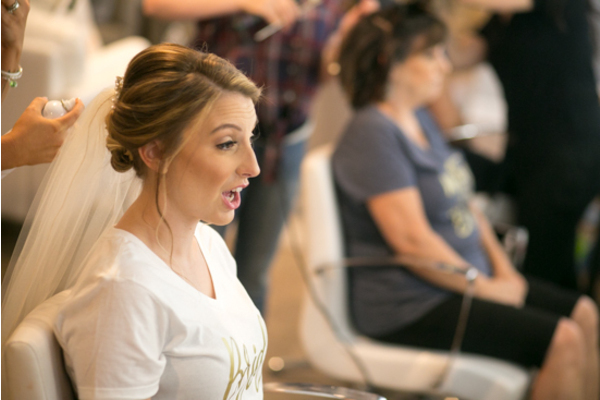 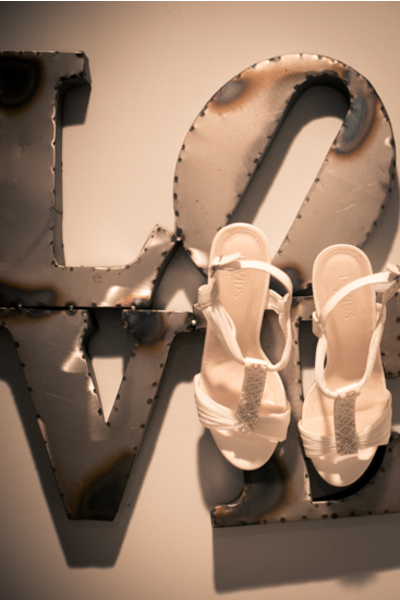 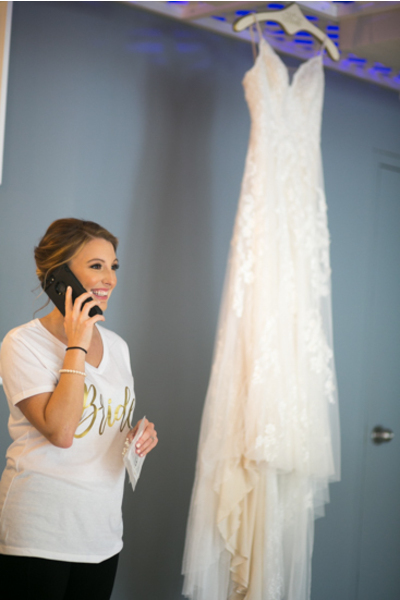 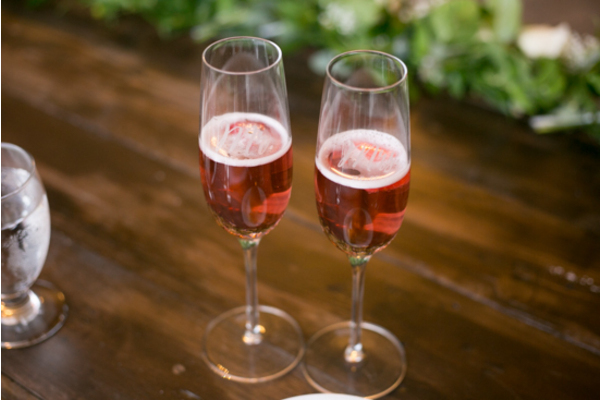 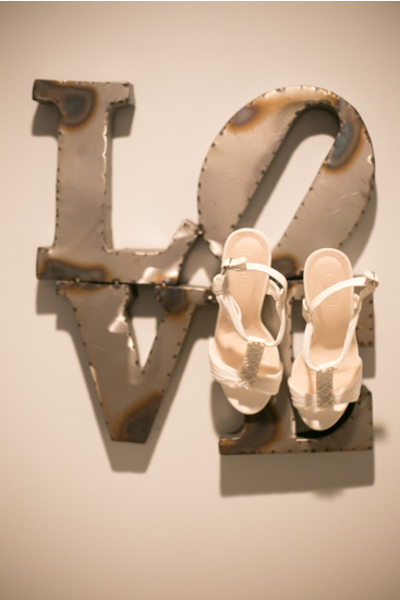 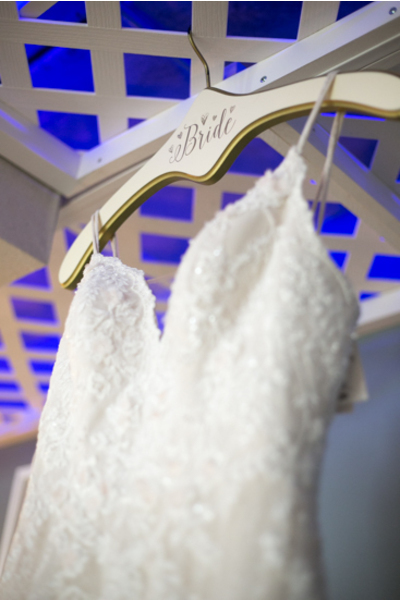 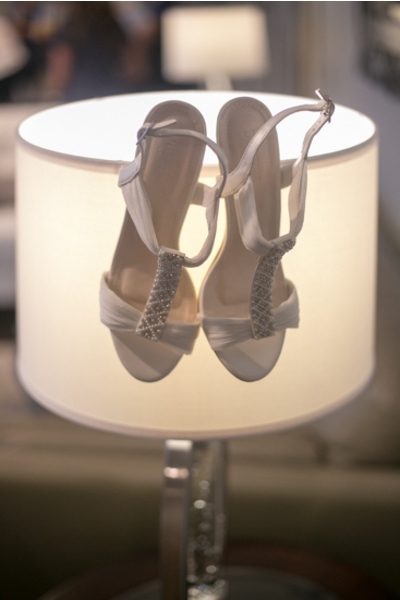 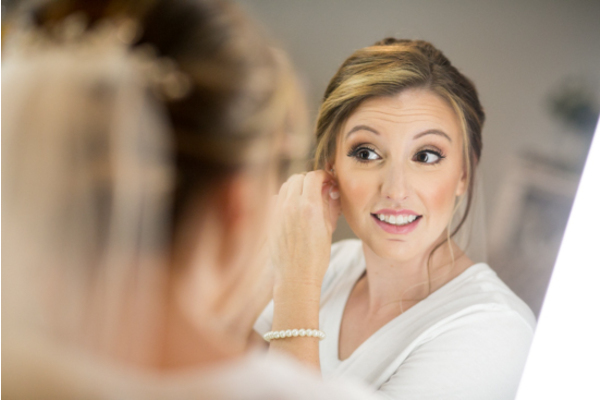 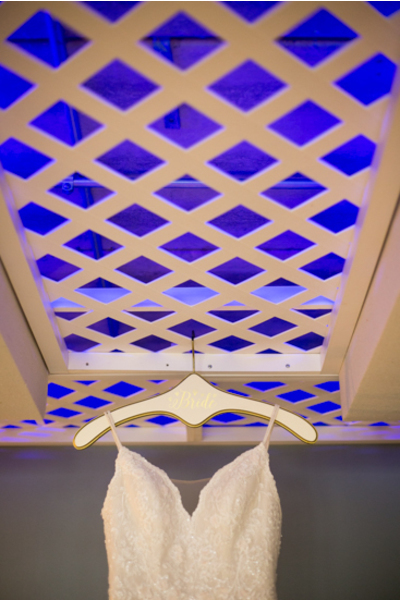 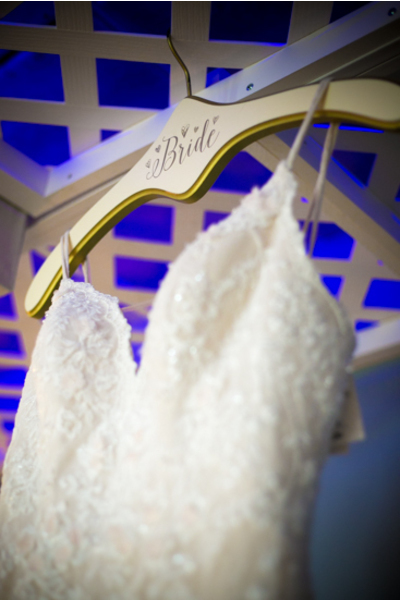 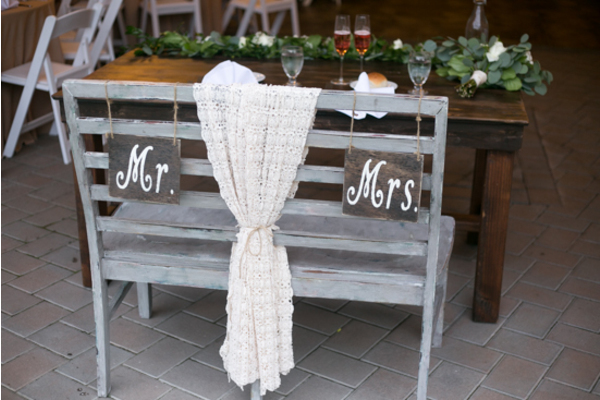 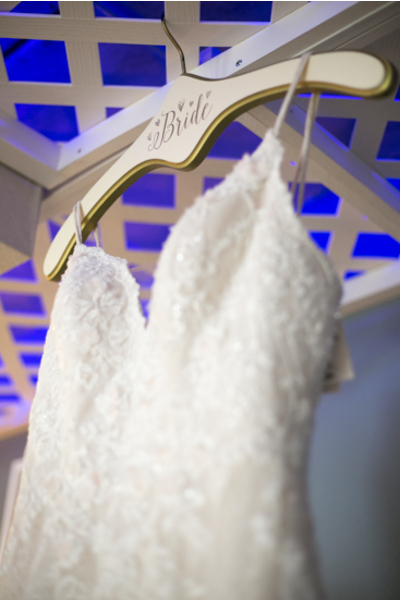 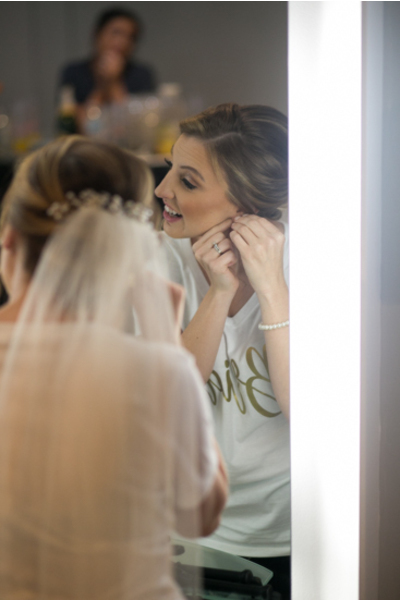 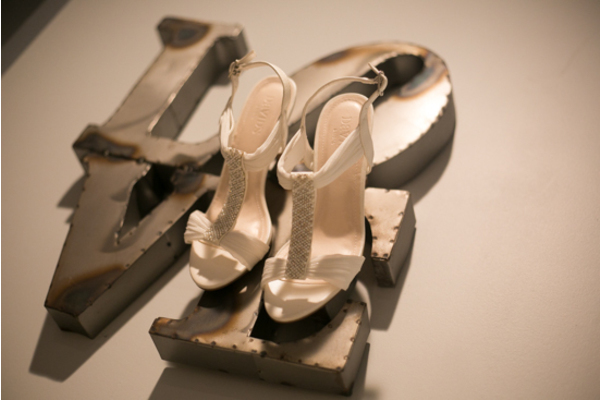 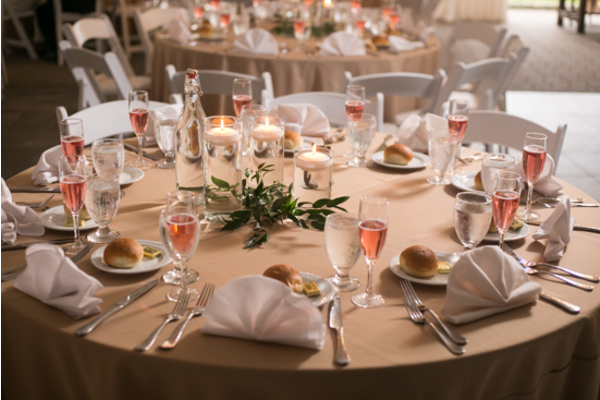 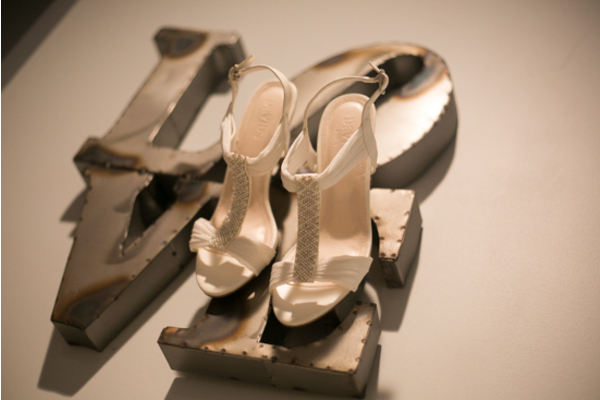 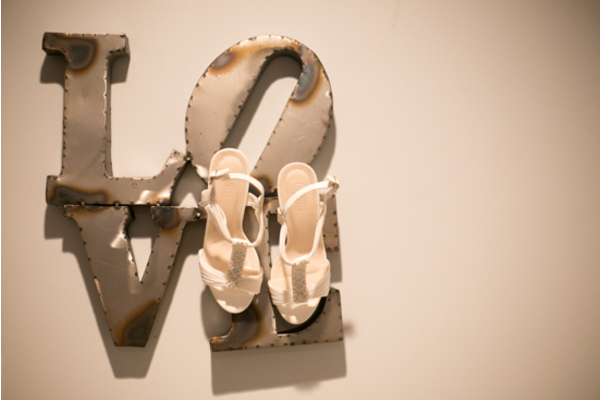 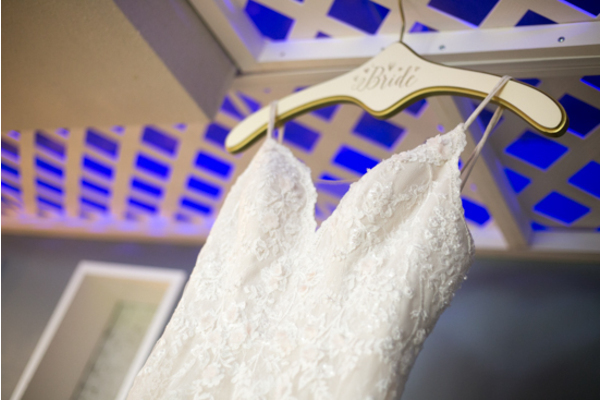 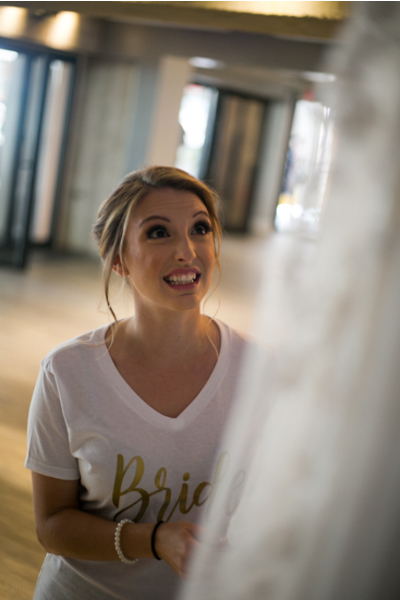 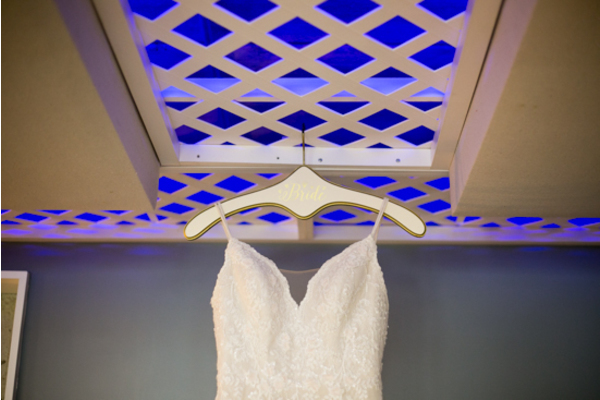 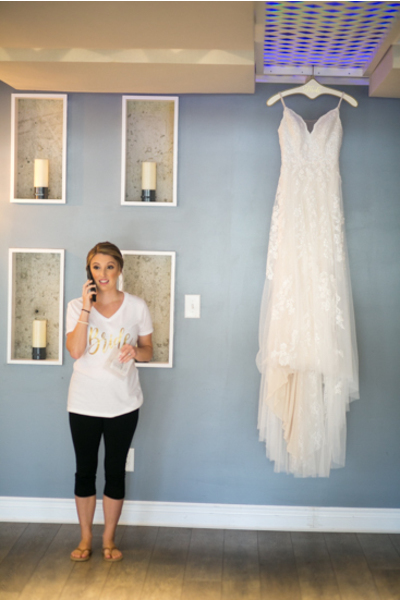 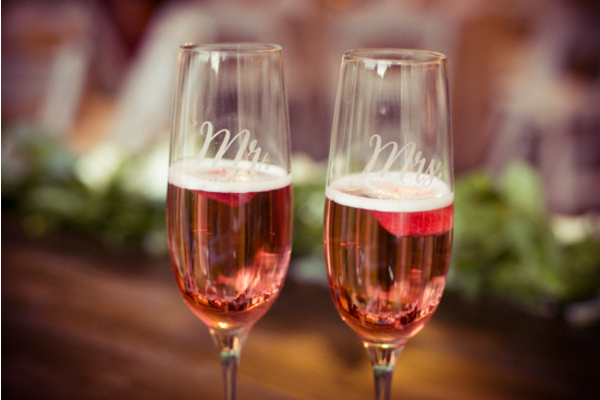 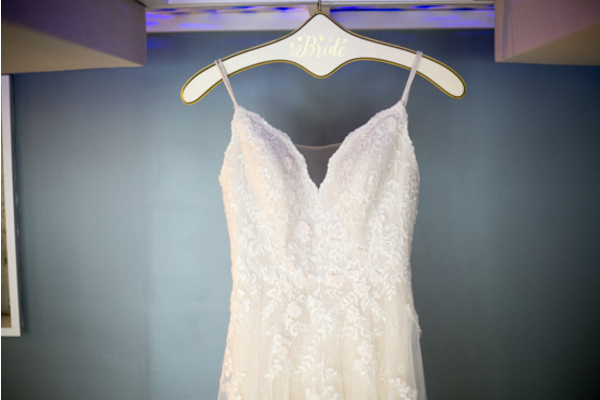 The bride and groom were ecstatic that their dream wedding celebration was finally here! 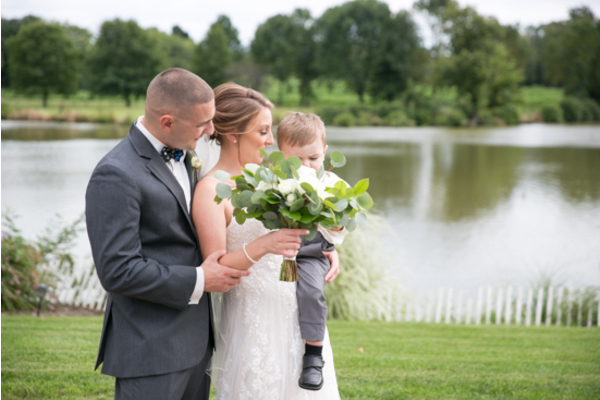 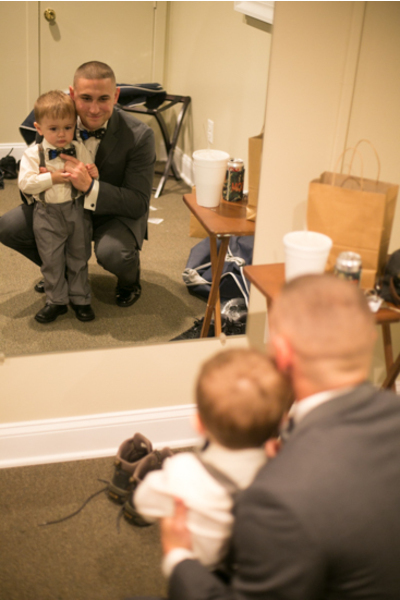 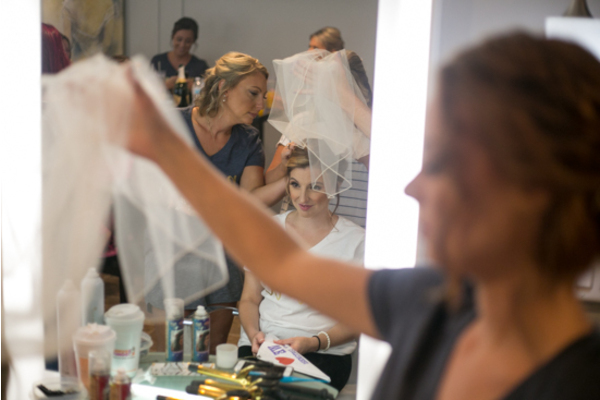 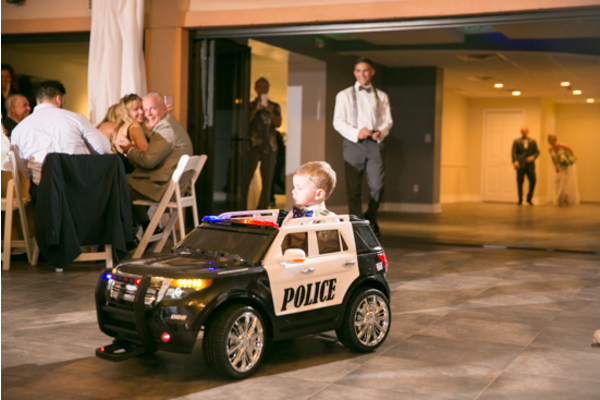 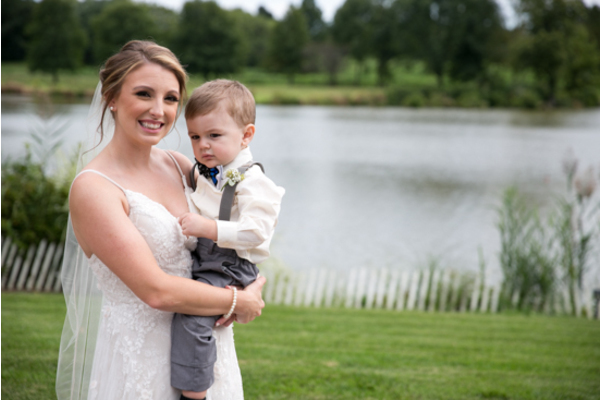 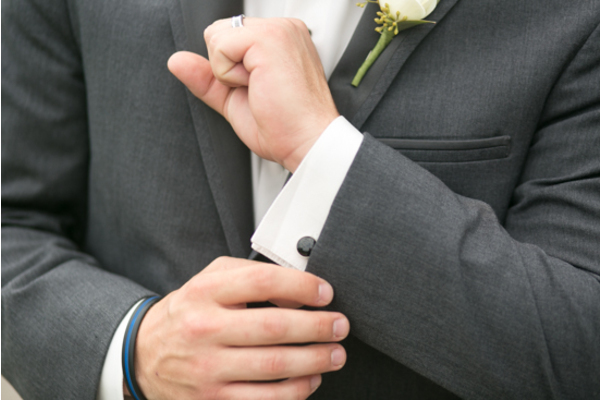 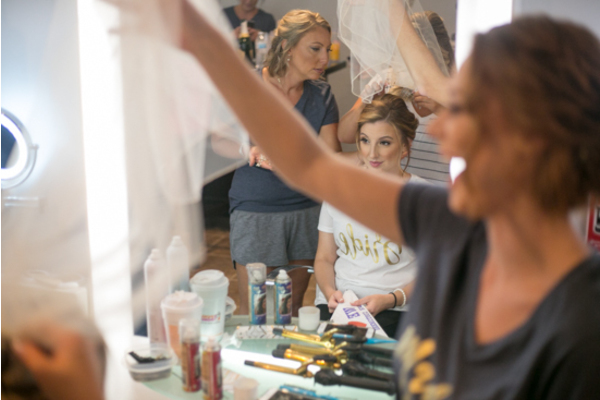 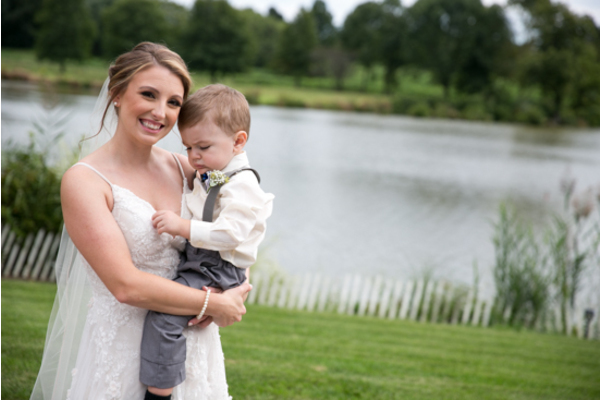 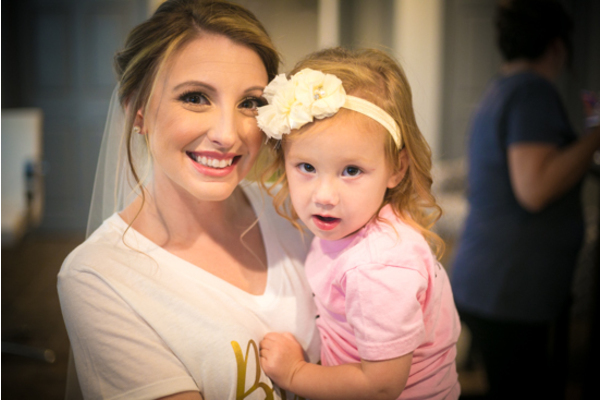 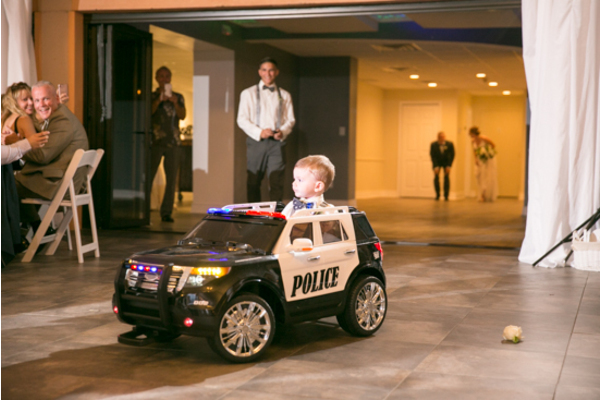 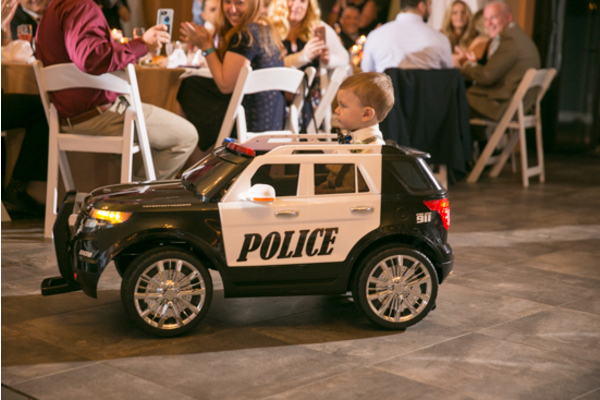 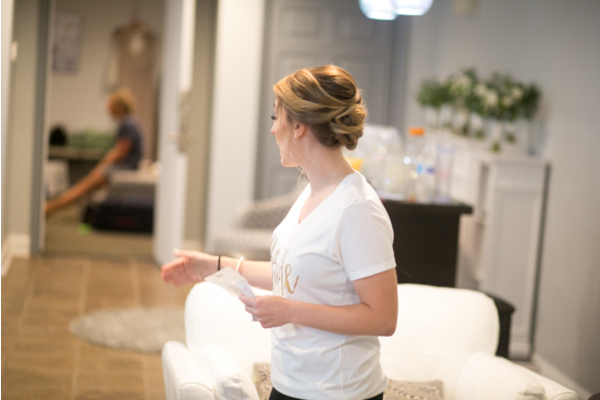 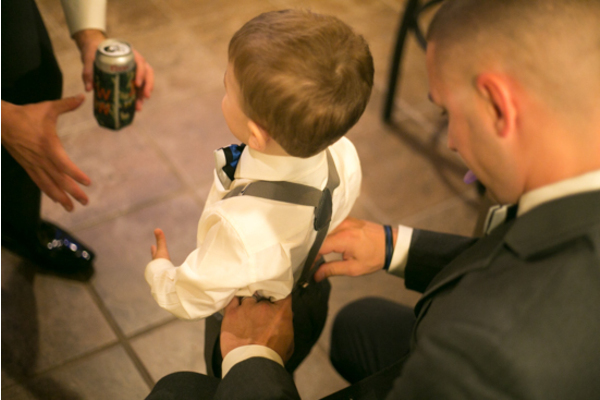 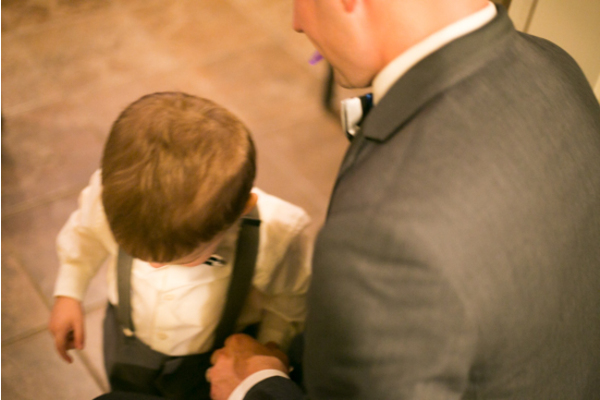 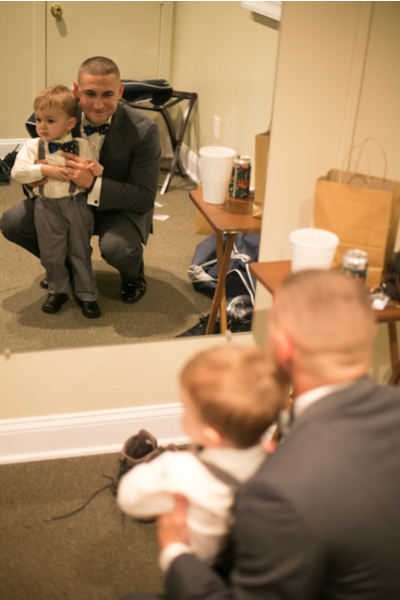 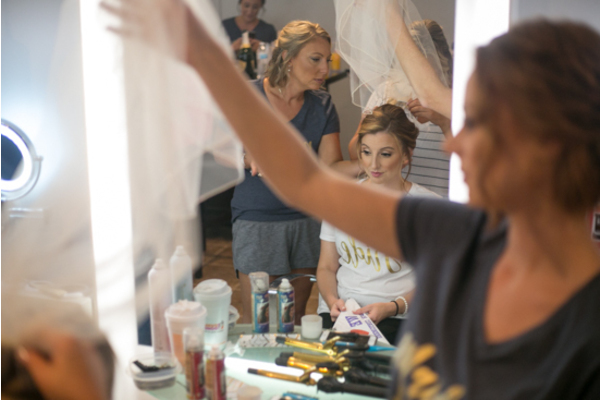 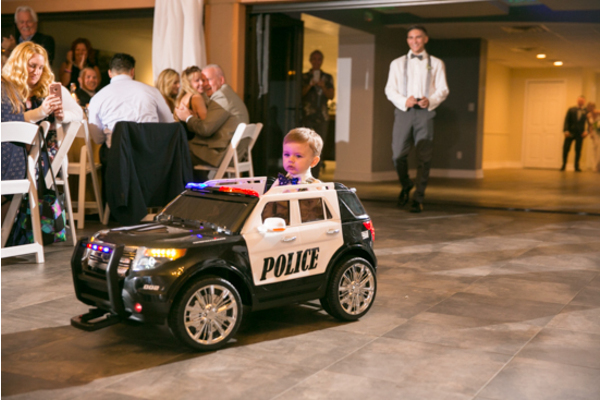 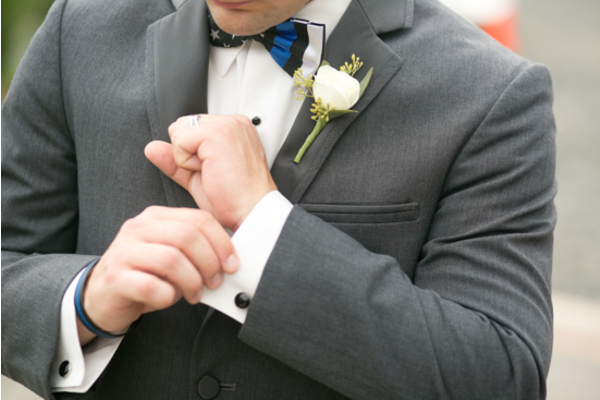 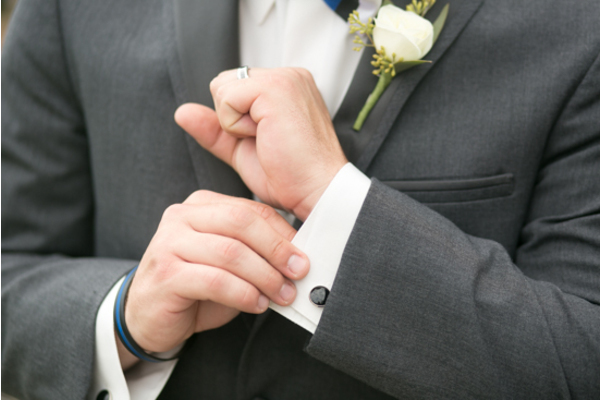 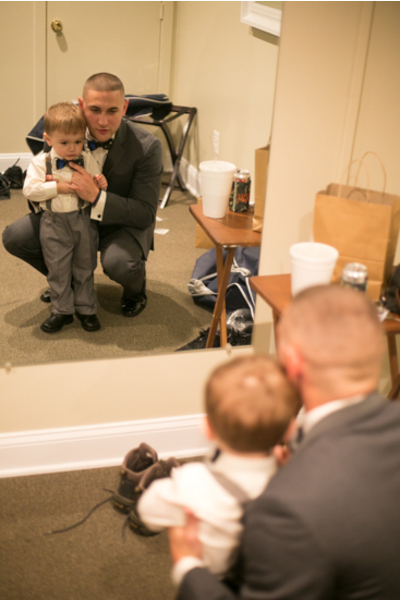 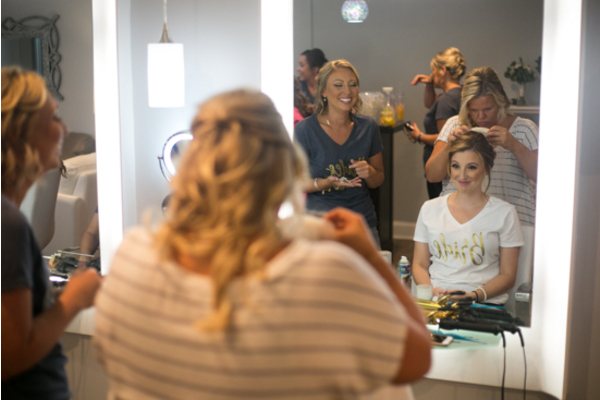 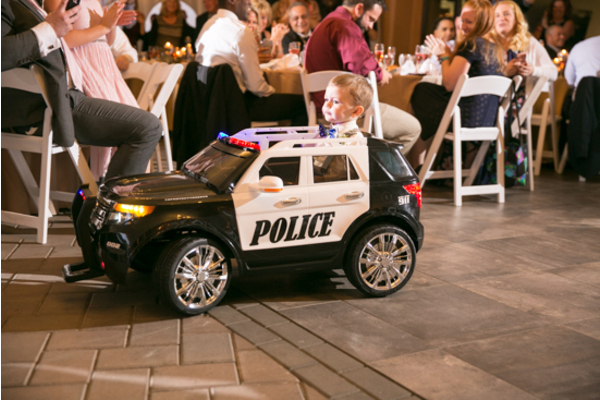 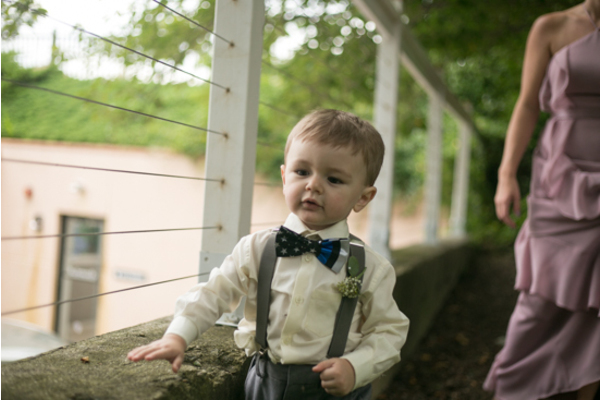 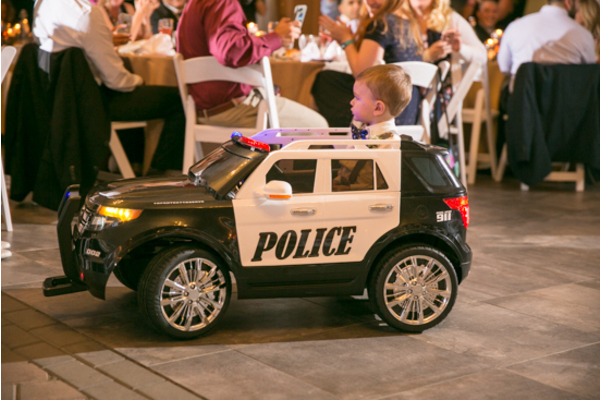 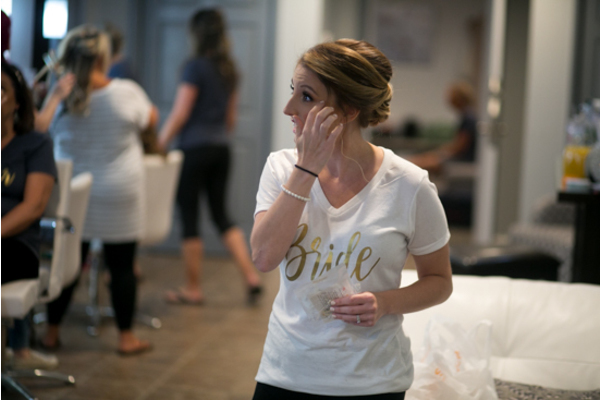 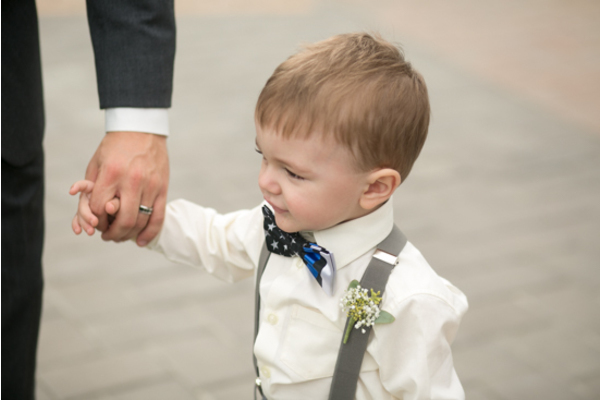 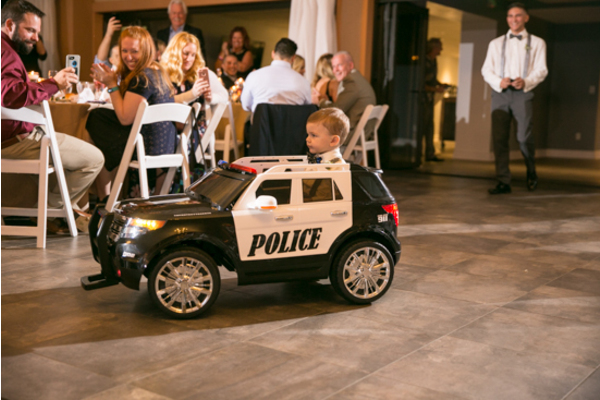 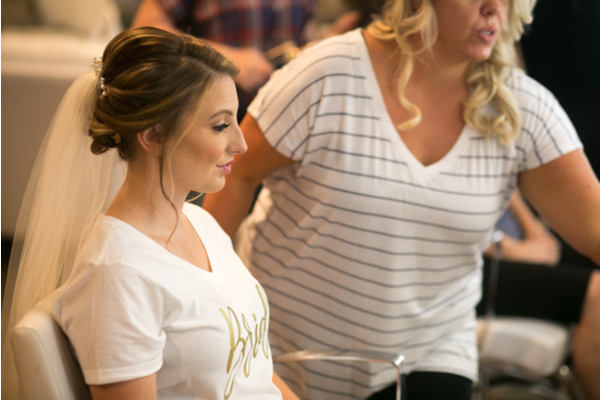 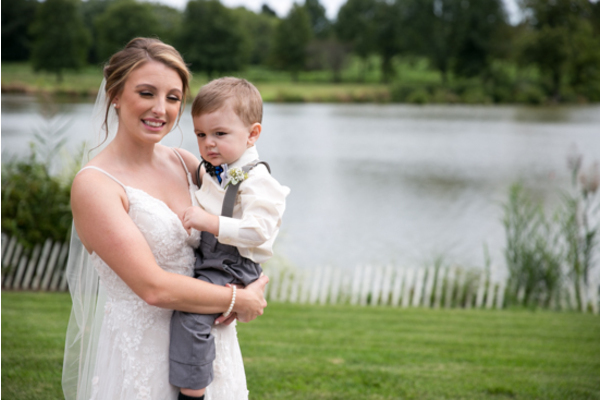 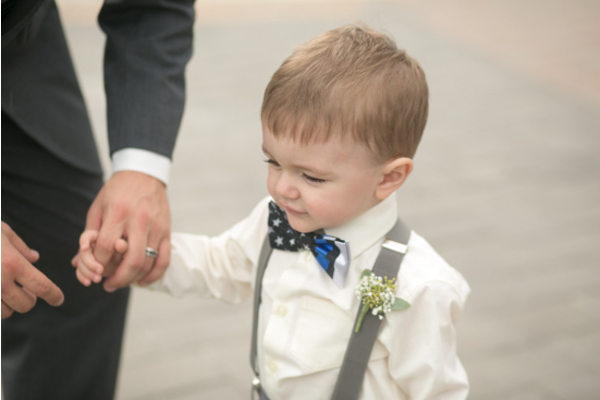 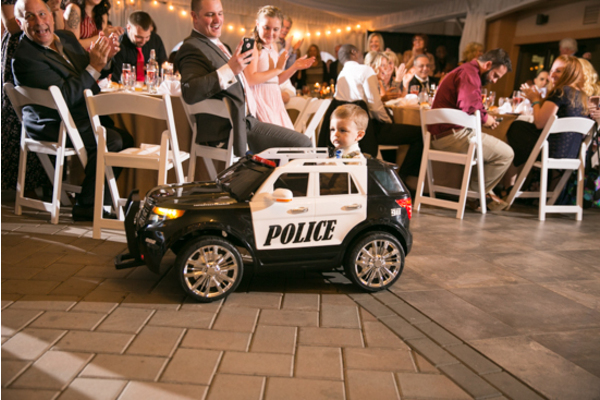 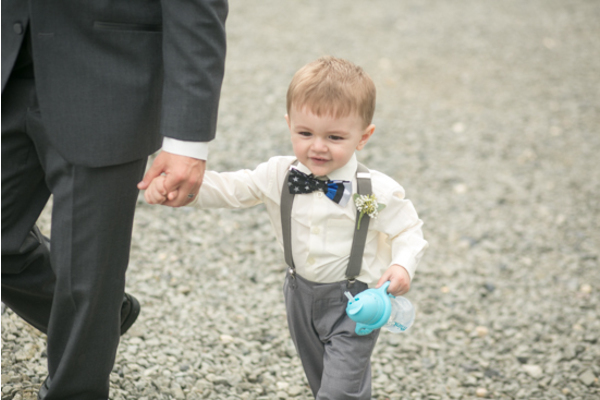 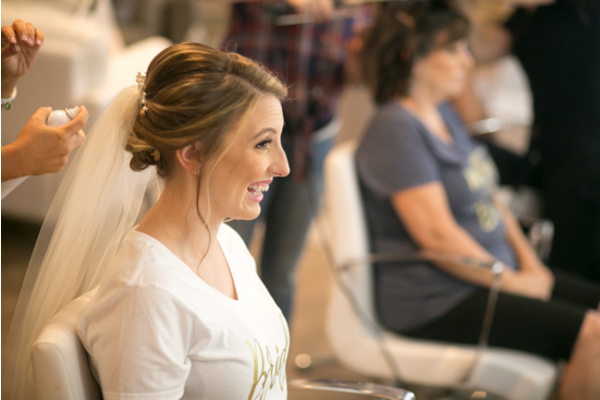 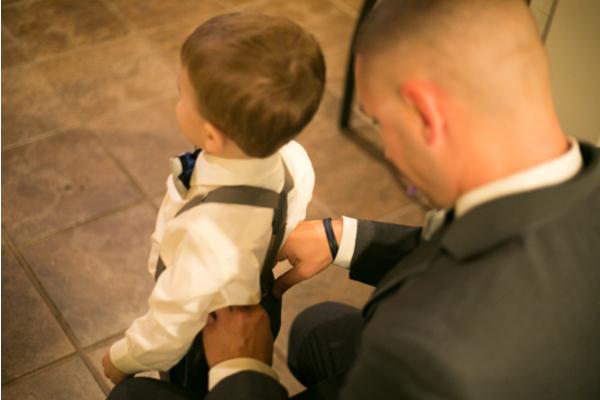 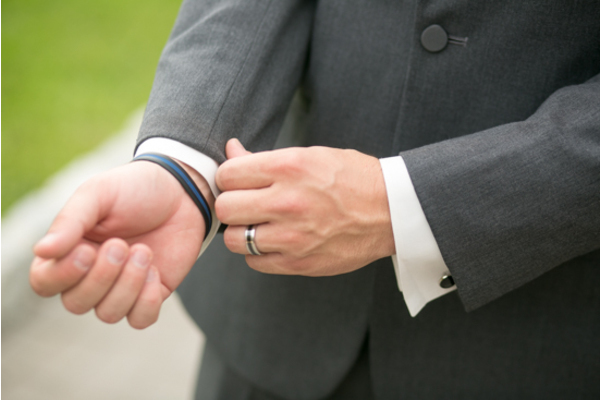 The couple prepped for the big day along with their adorable son Carson! 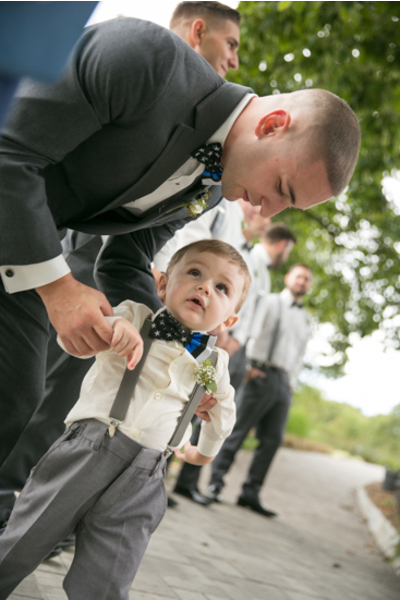 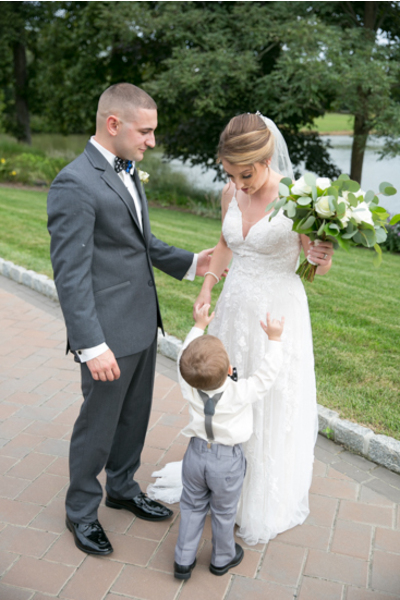 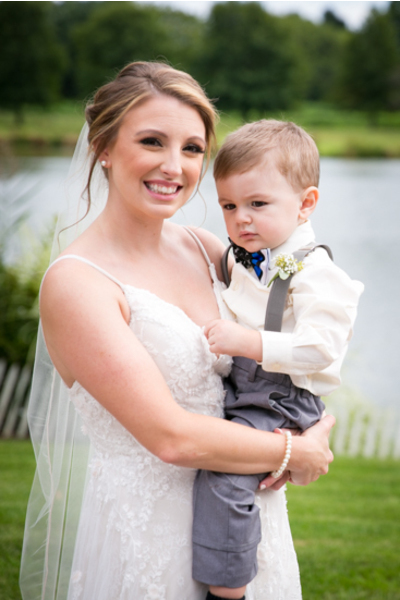 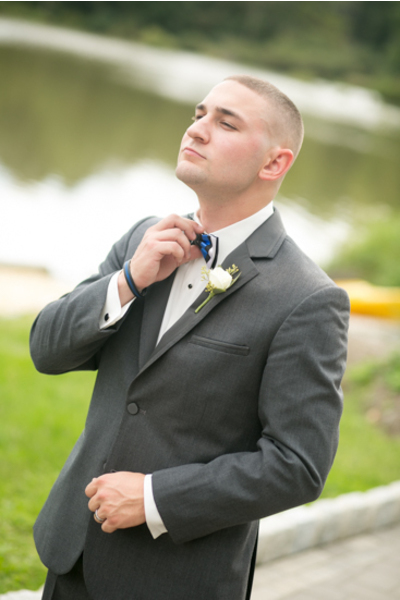 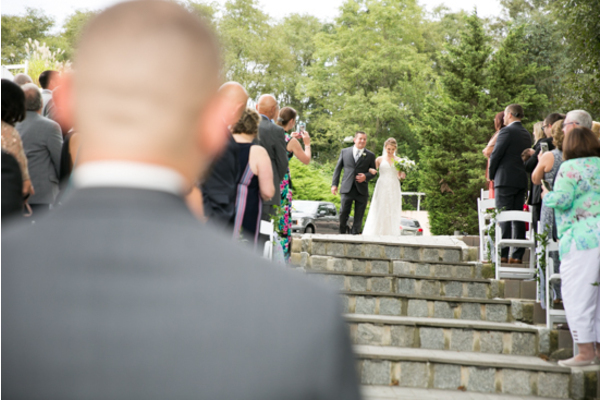 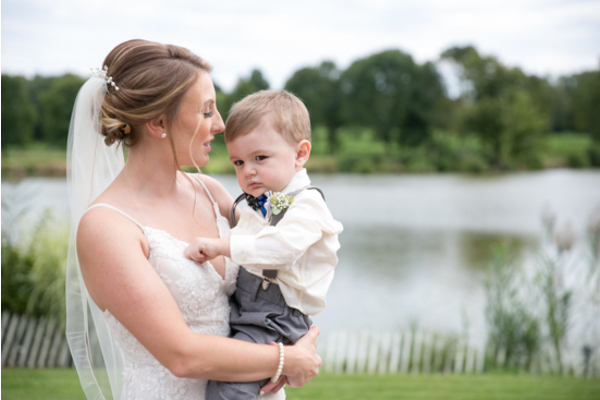 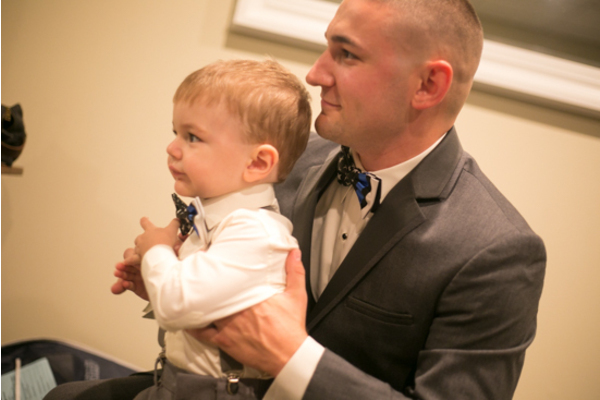 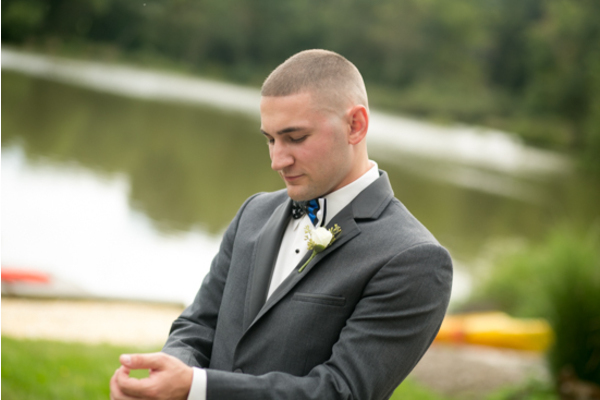 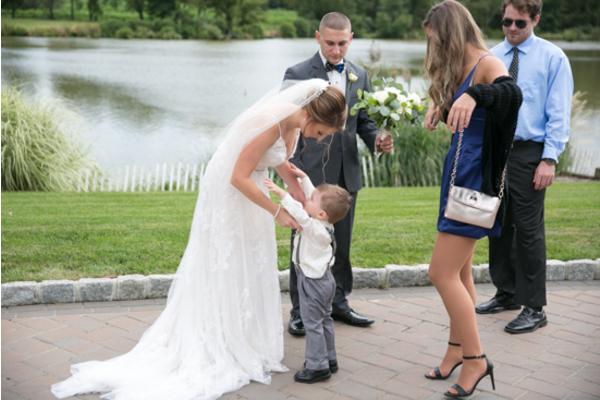 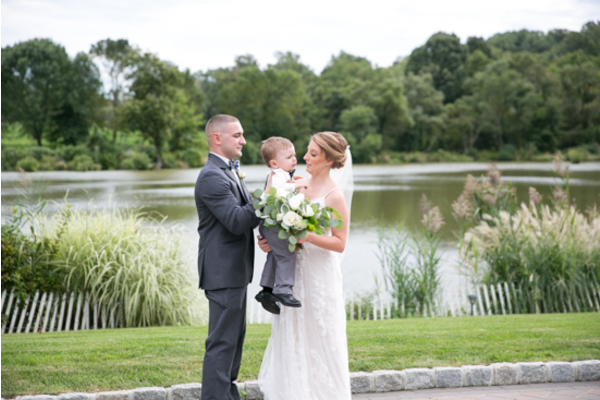 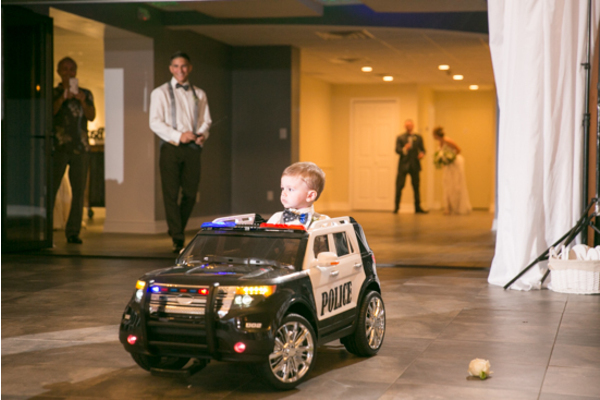 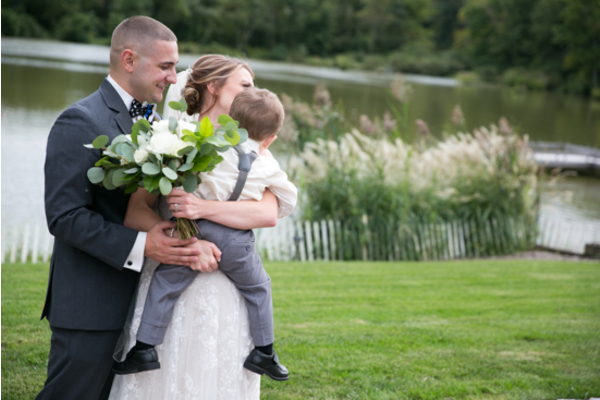 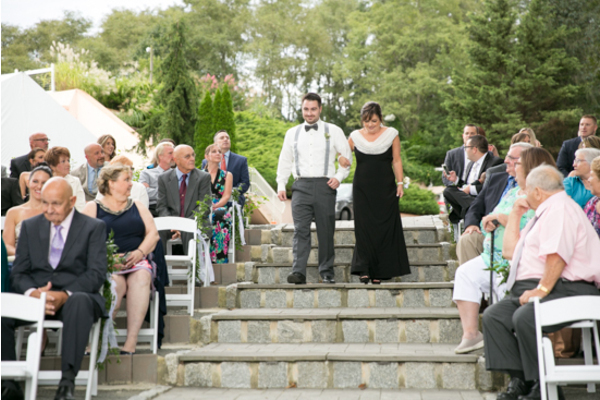 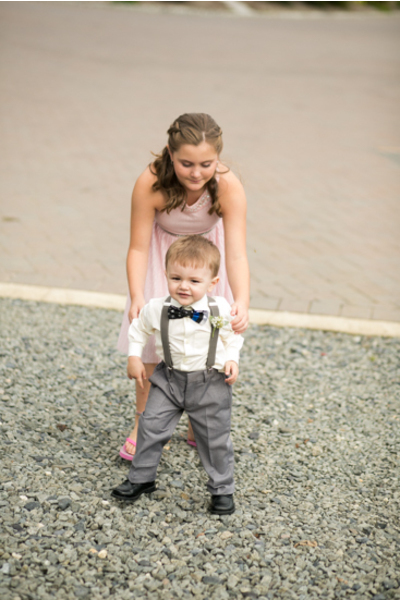 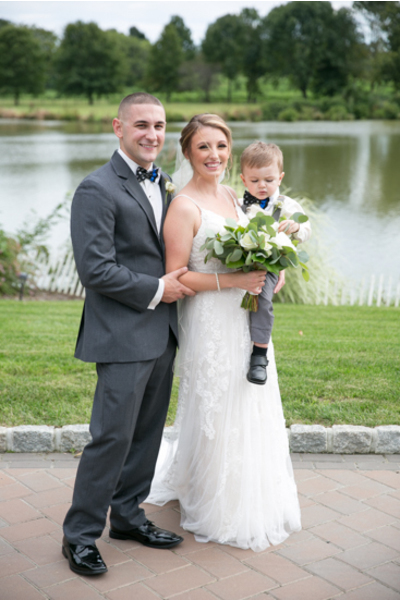 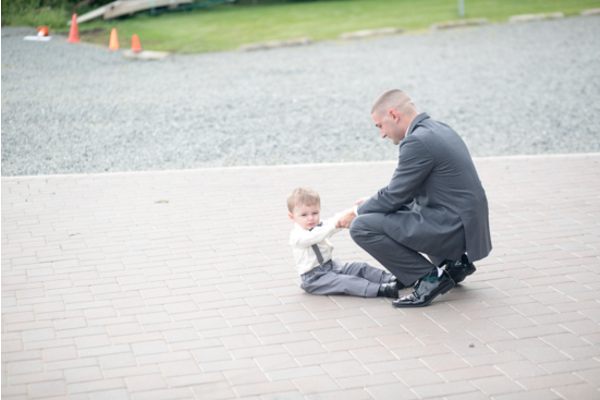 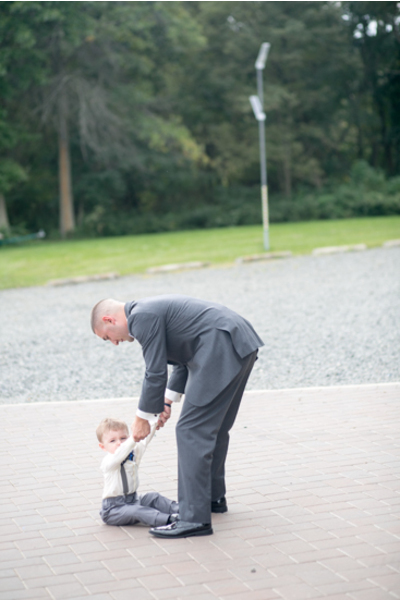 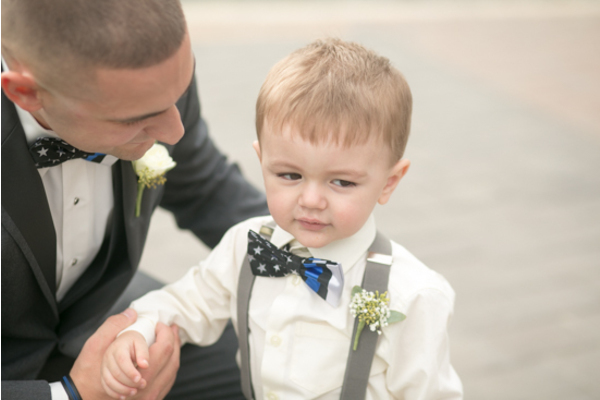 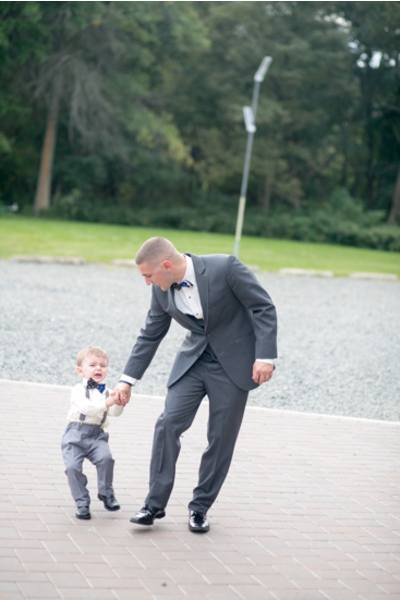 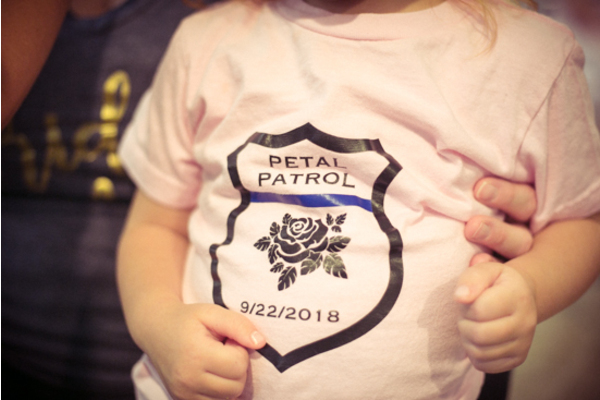 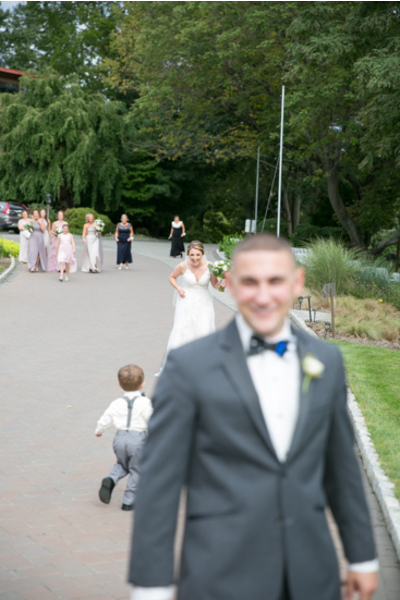 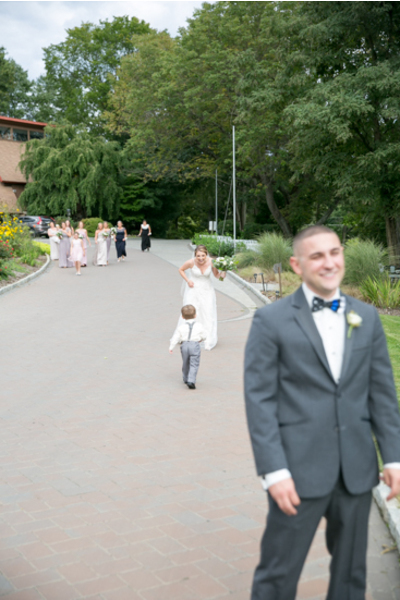 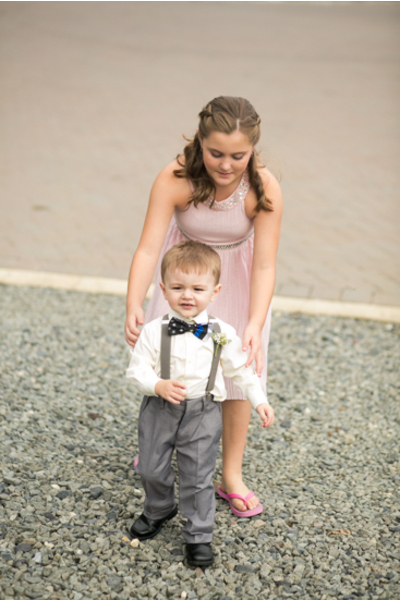 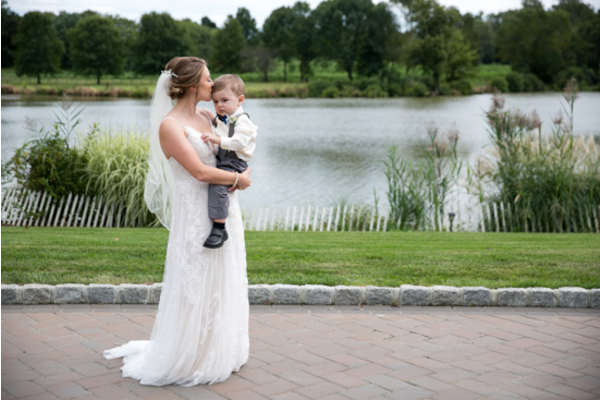 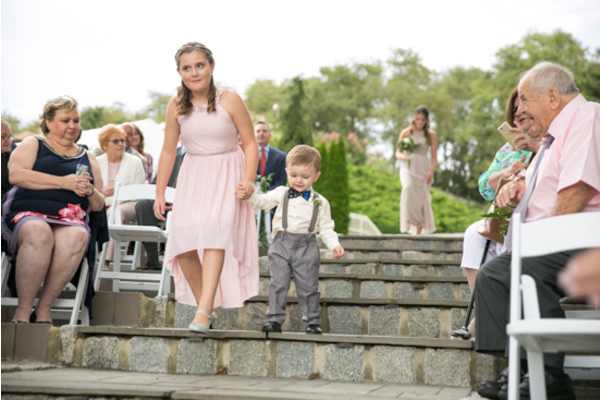 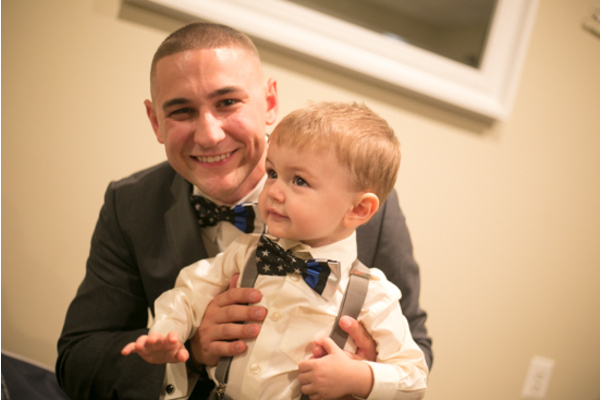 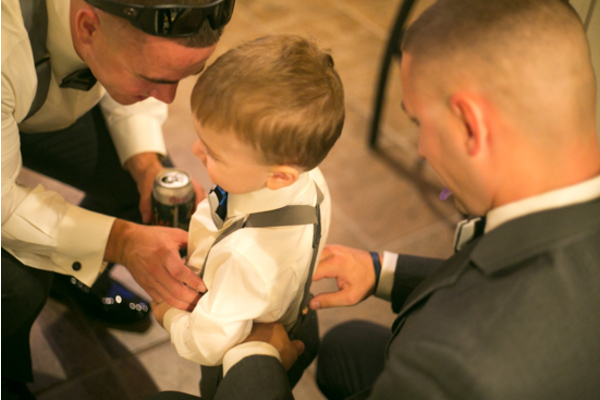 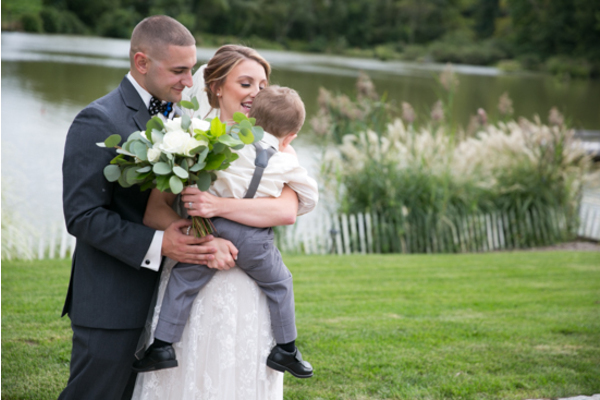 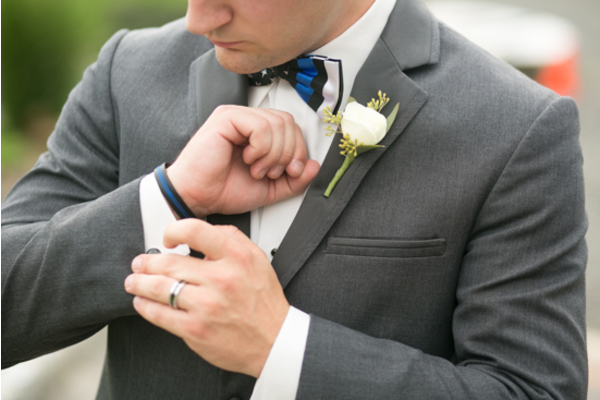 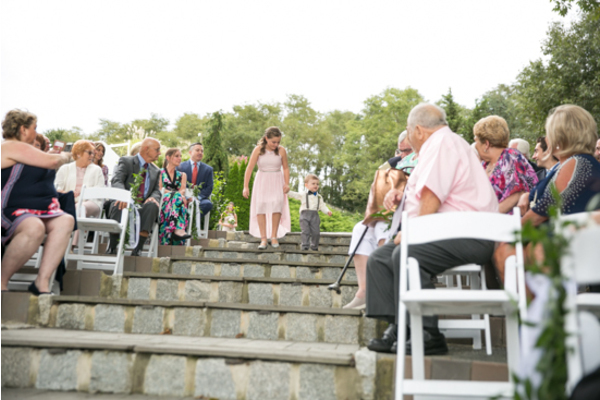 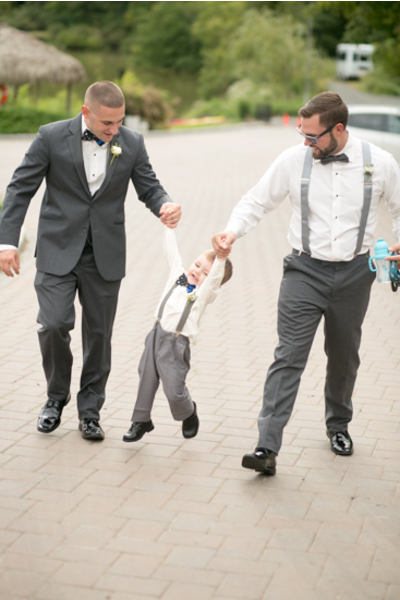 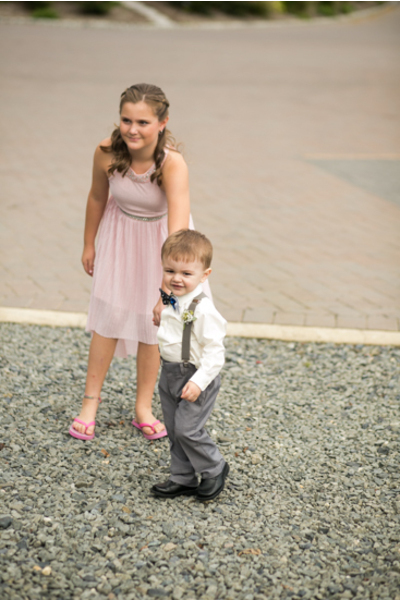 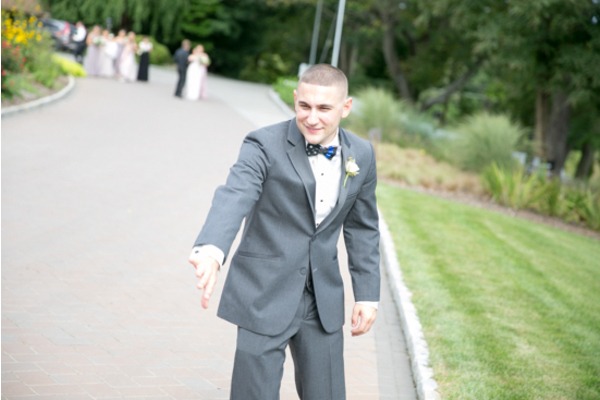 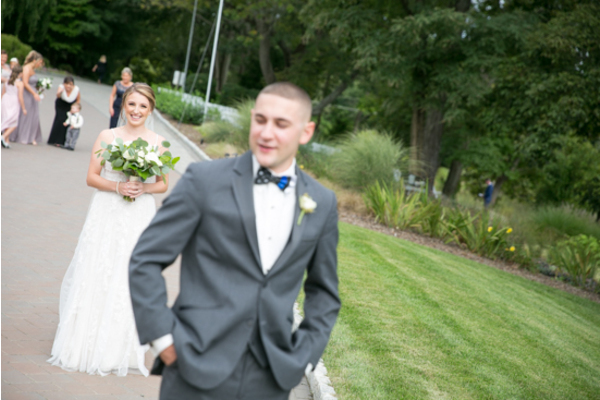 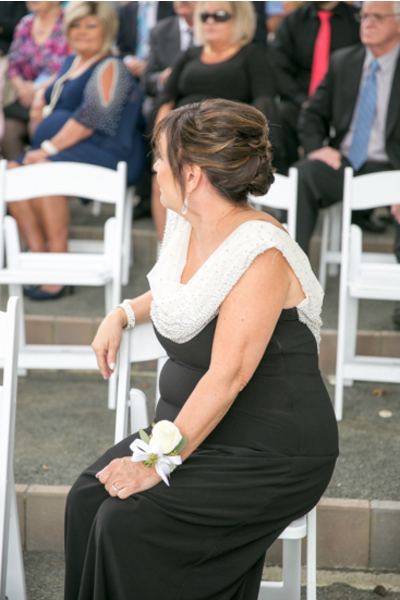 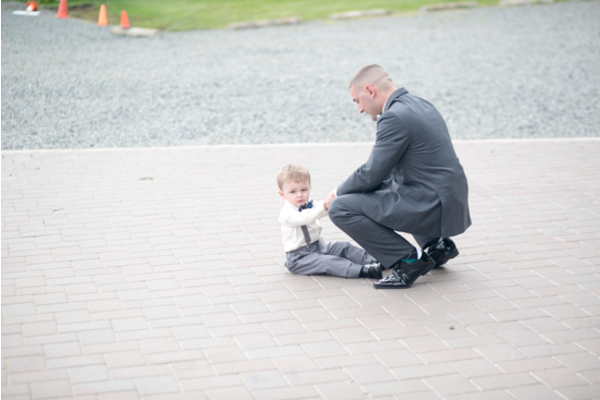 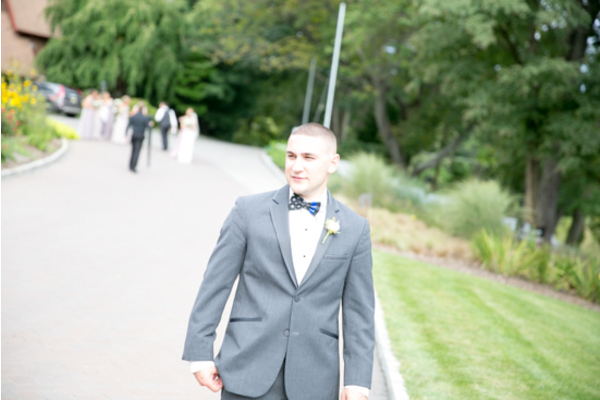 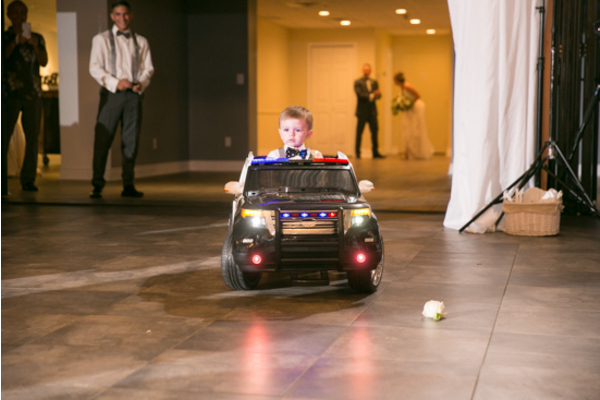 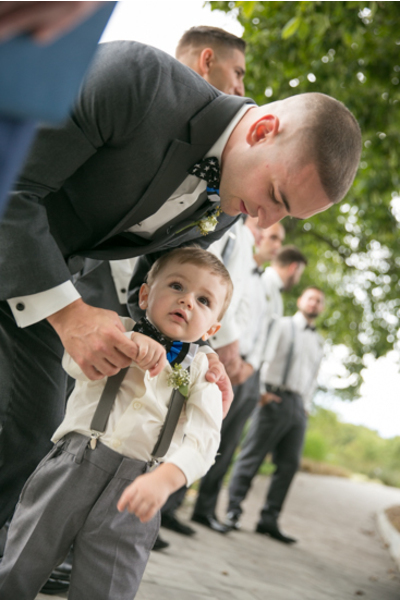 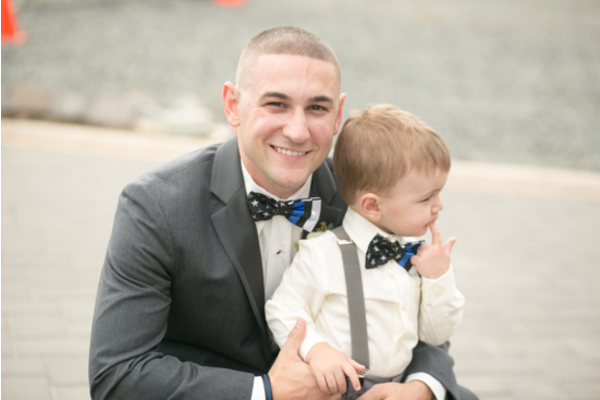 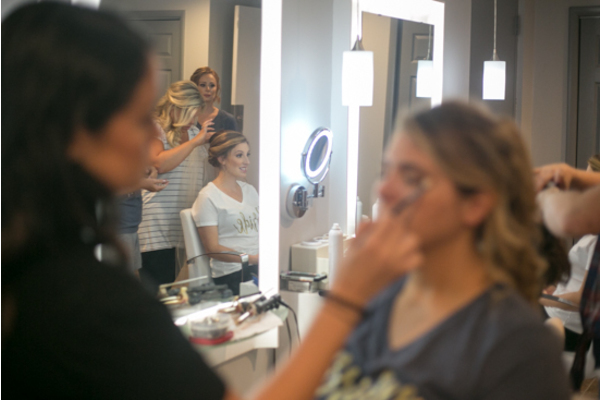 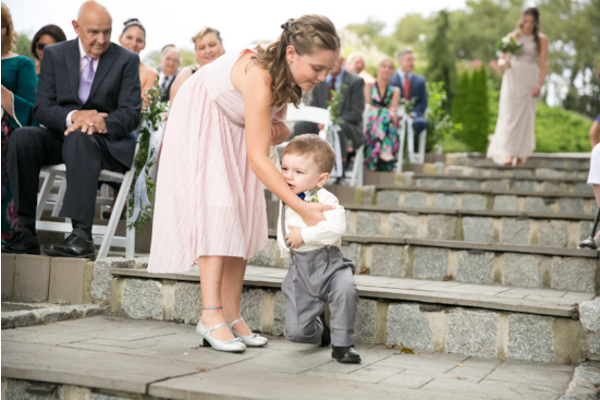 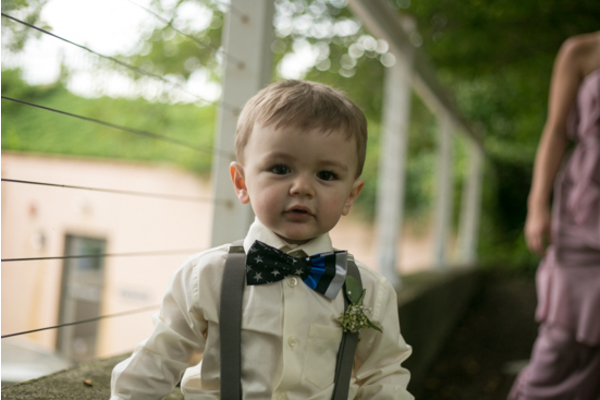 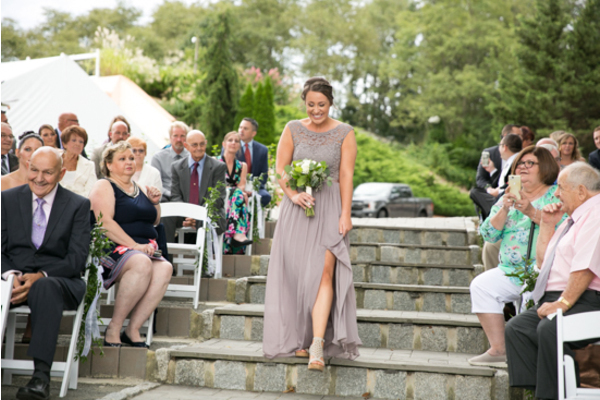 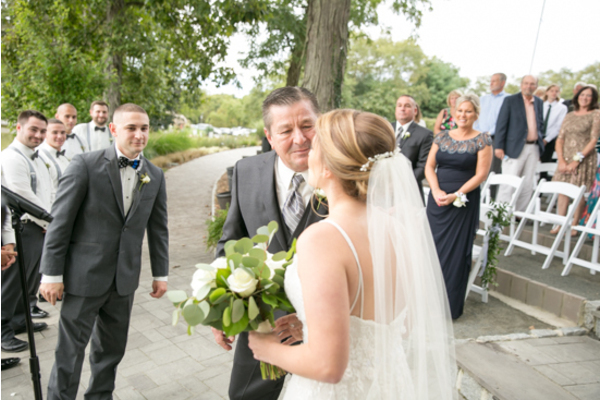 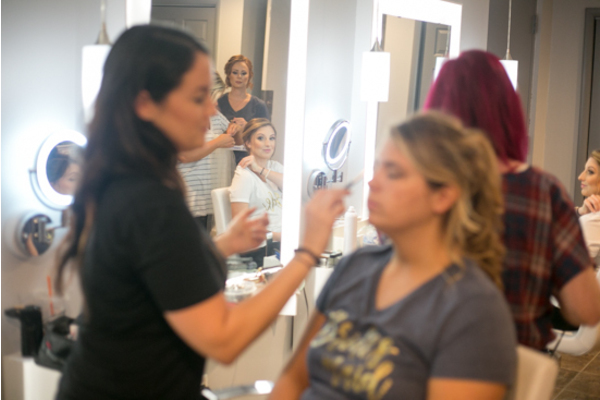 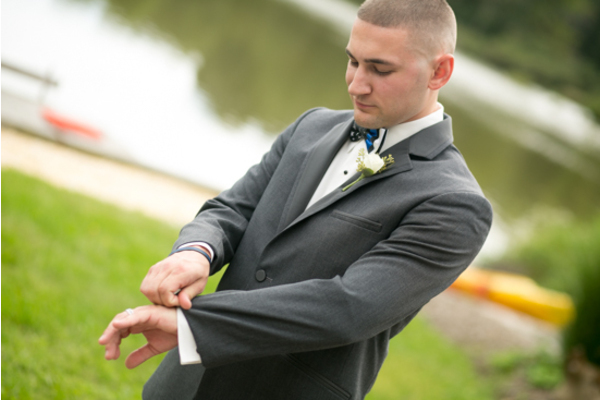 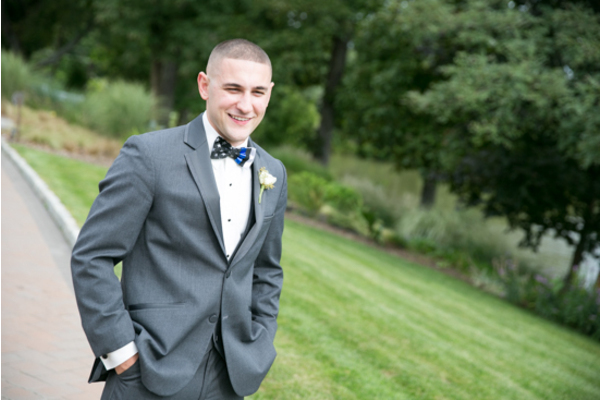 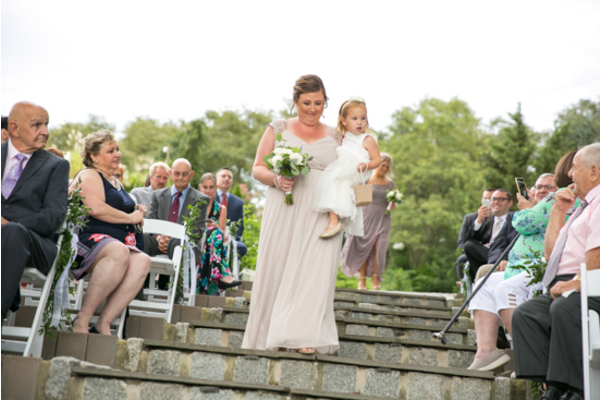 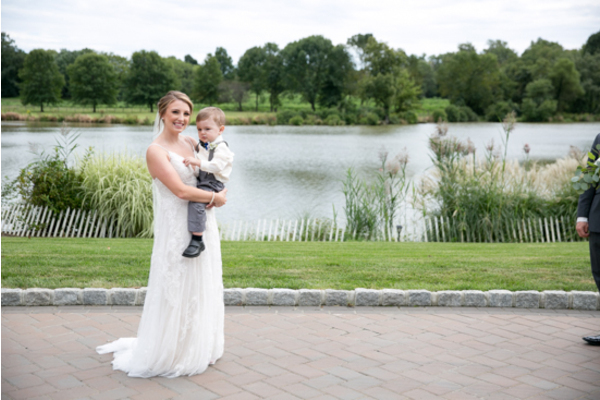 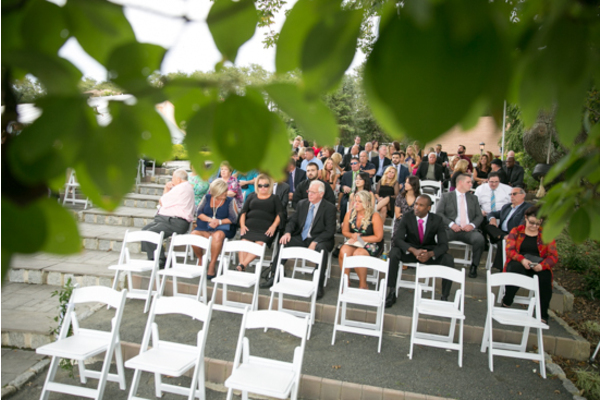 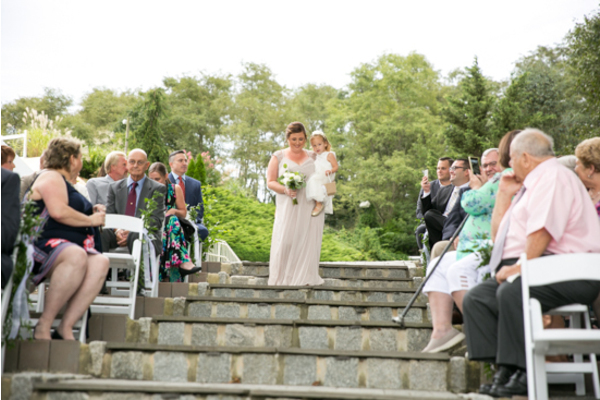 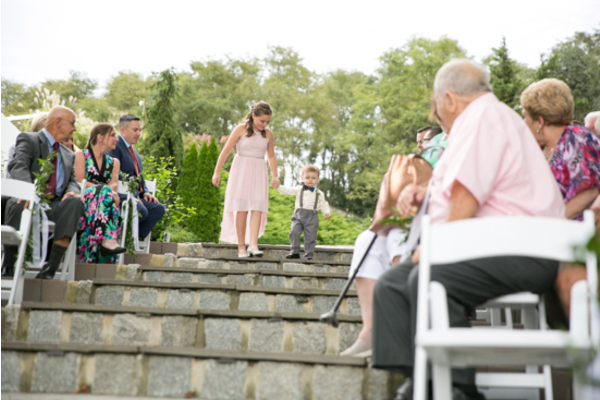 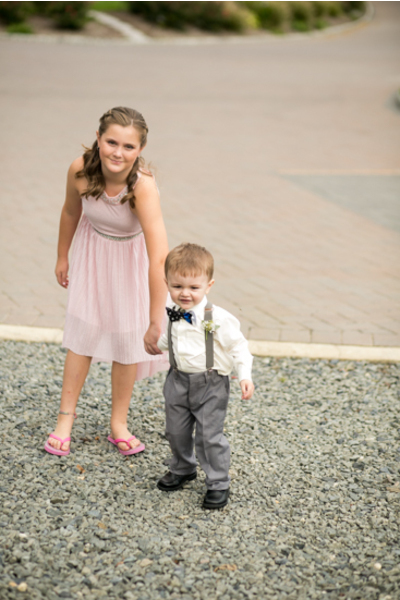 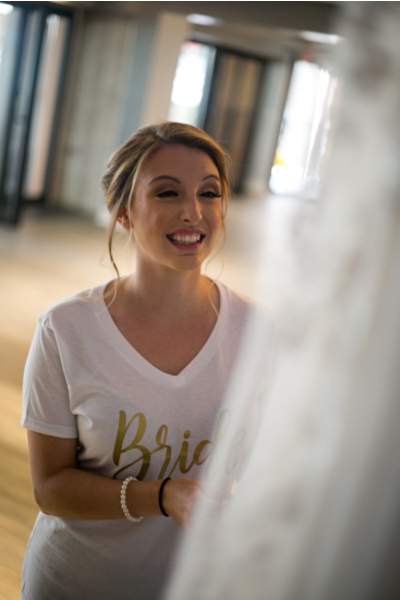 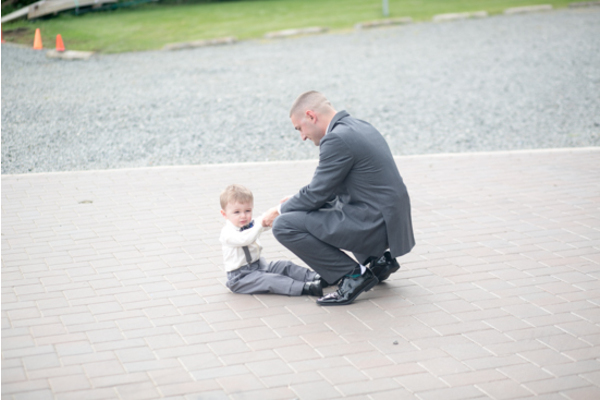 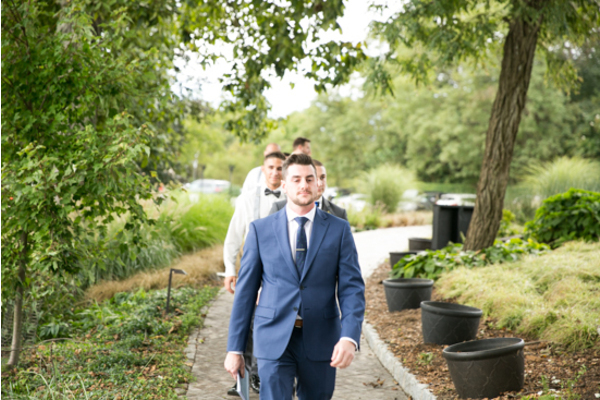 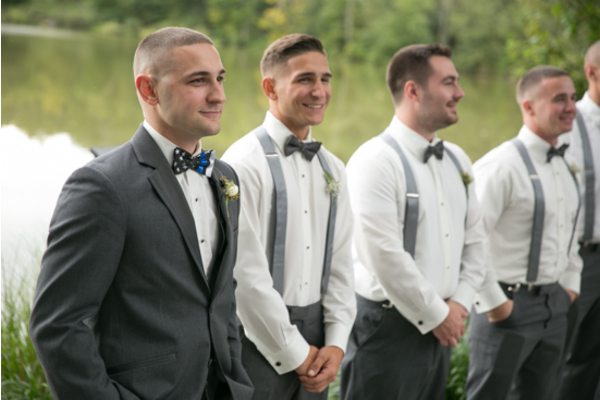 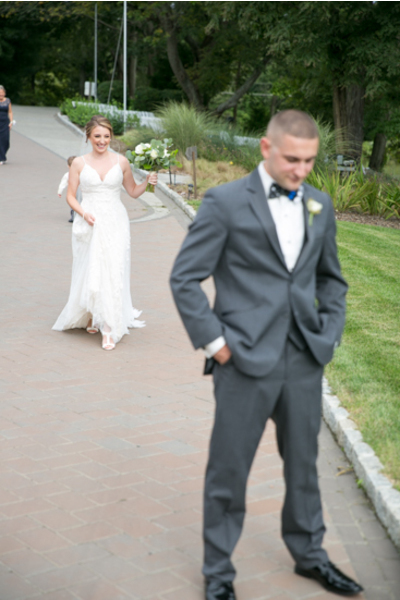 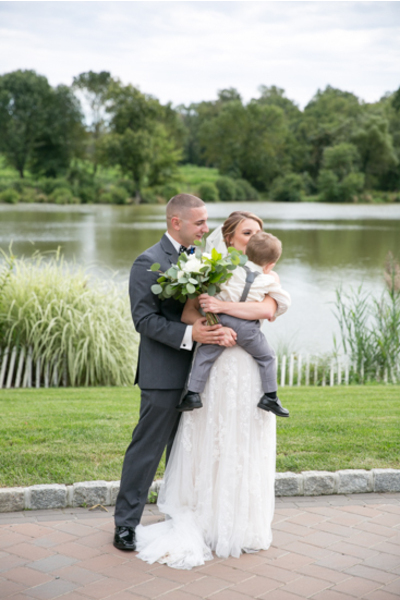 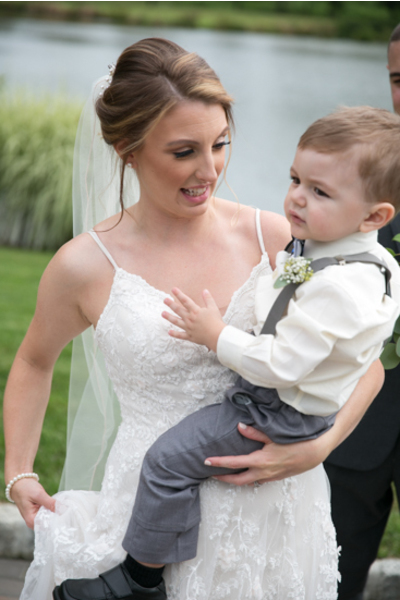 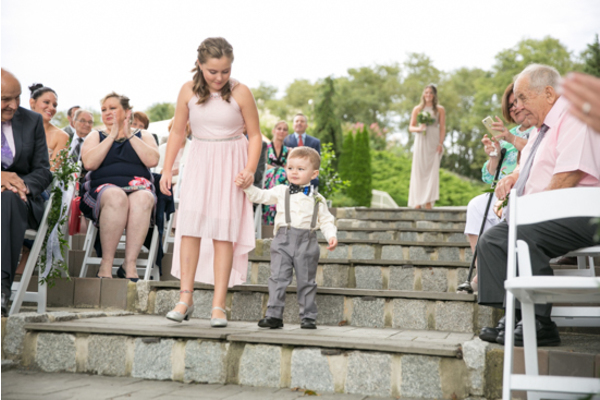 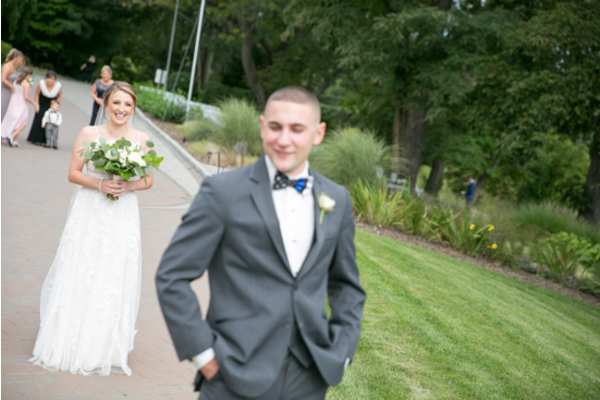 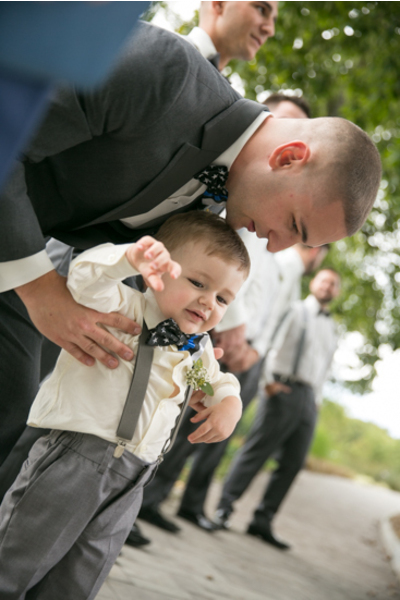 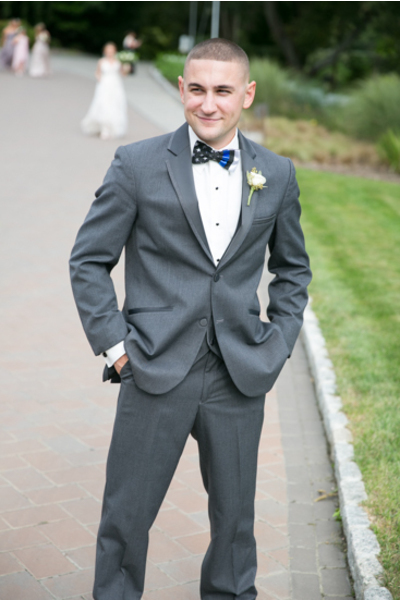 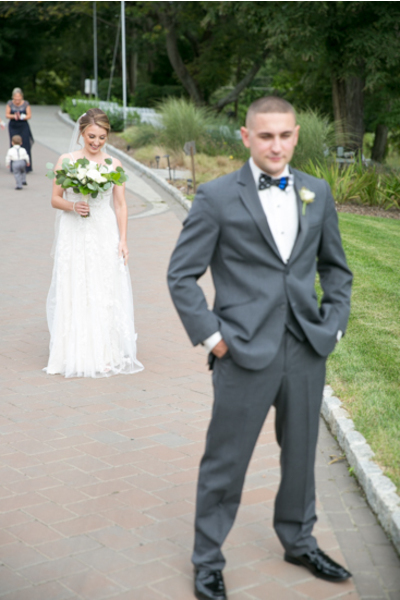 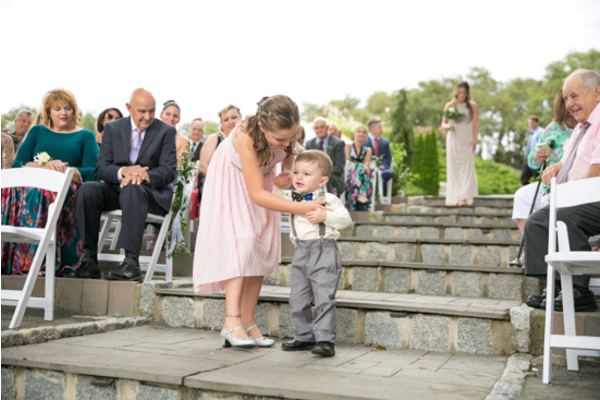 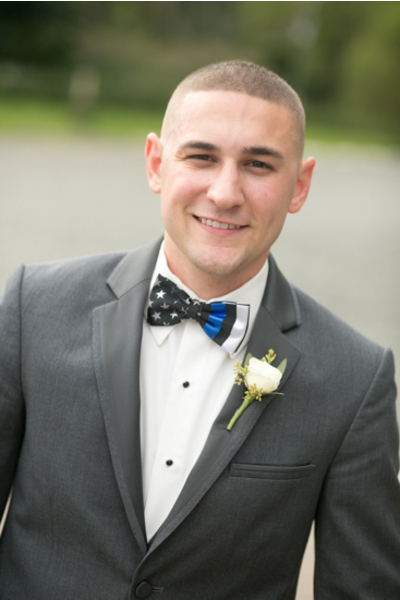 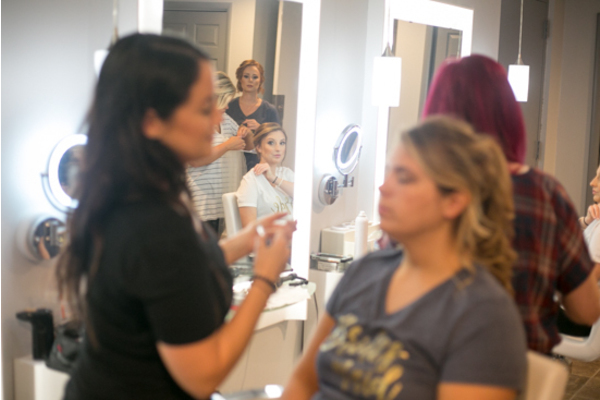 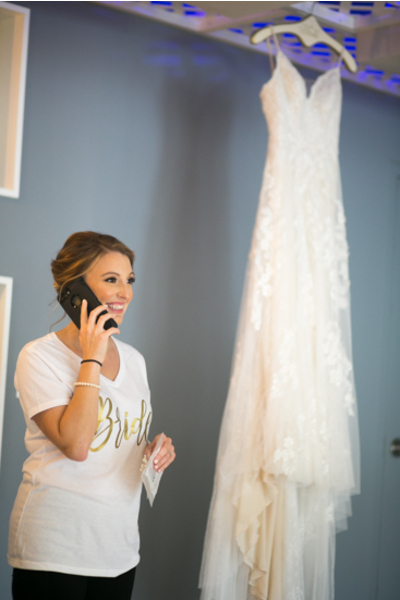 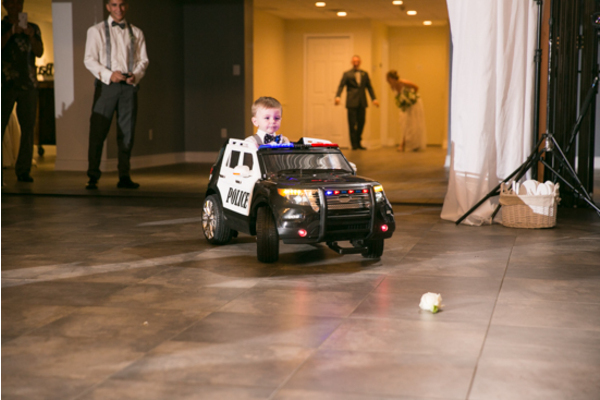 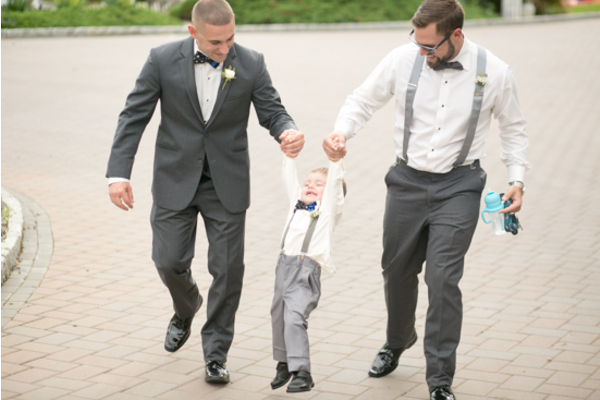 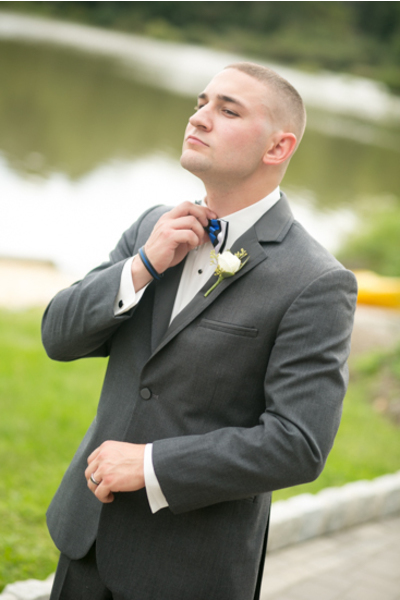 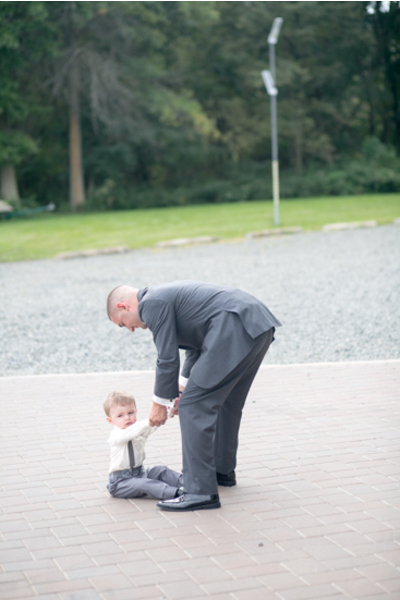 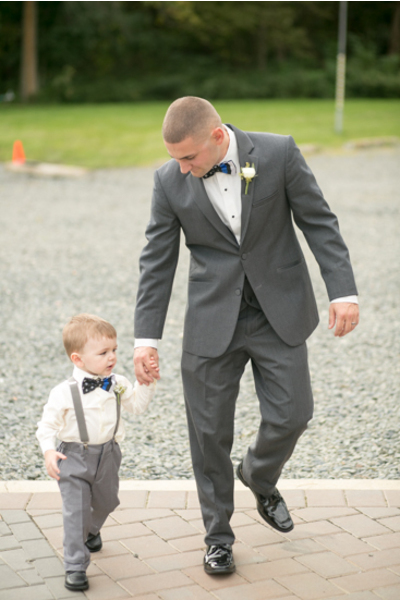 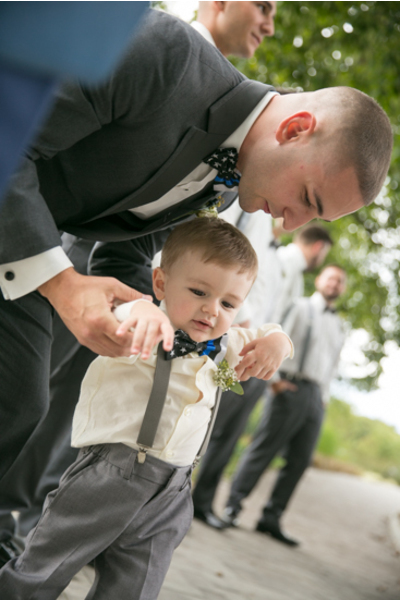 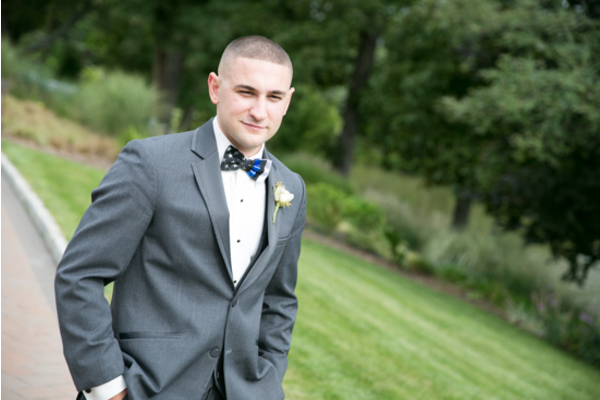 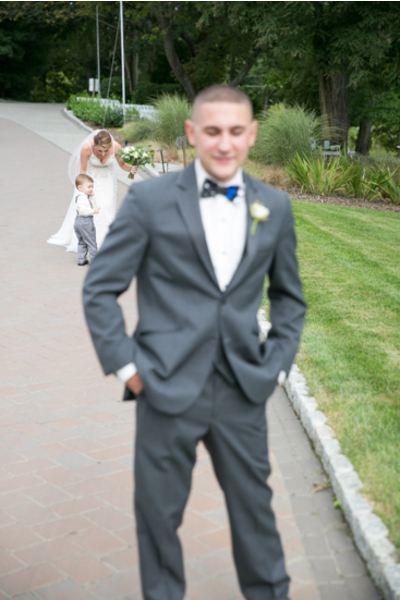 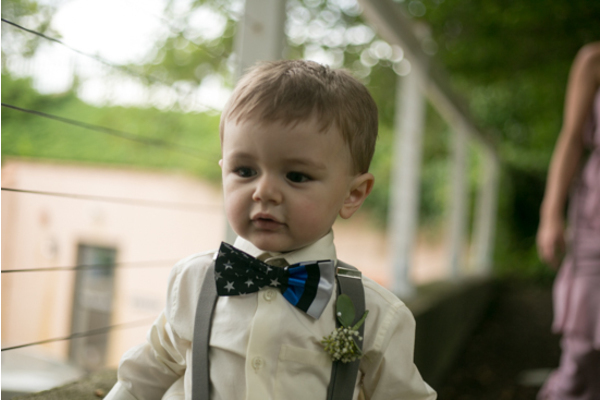 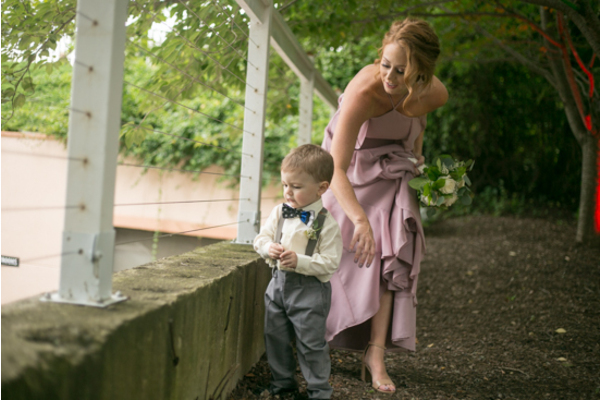 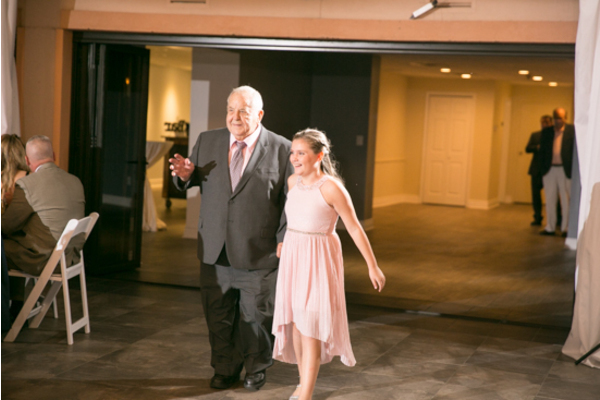 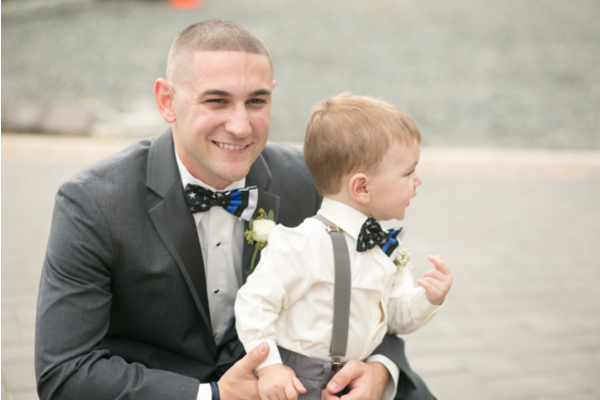 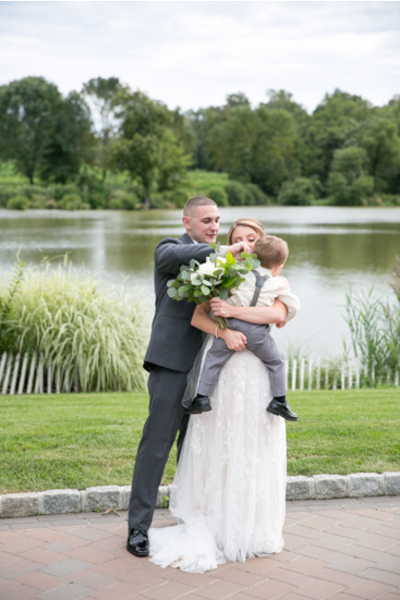 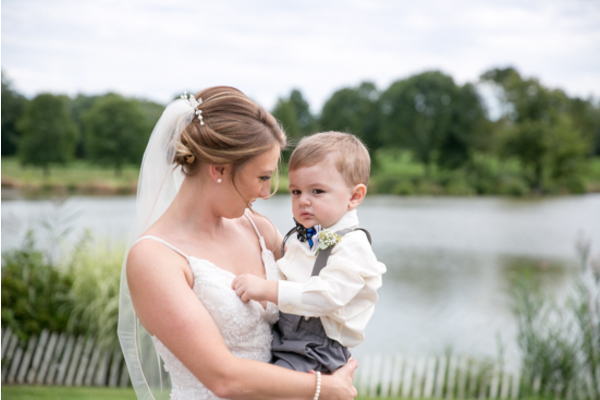 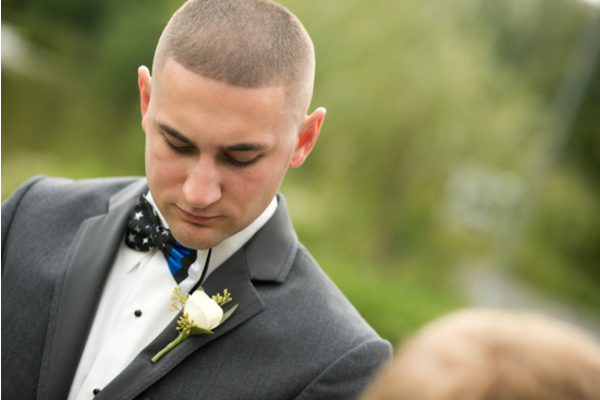 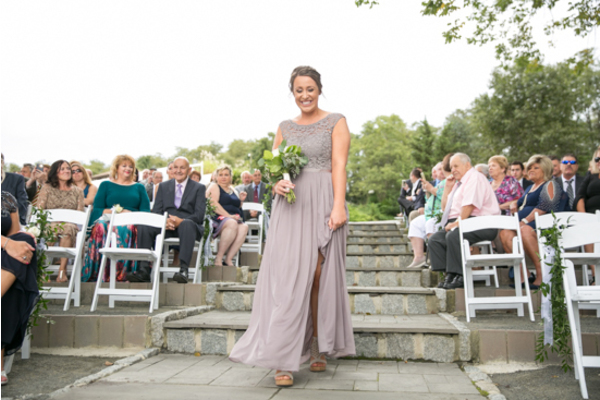 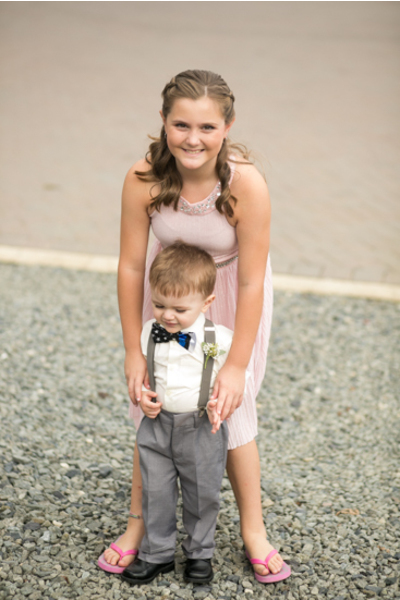 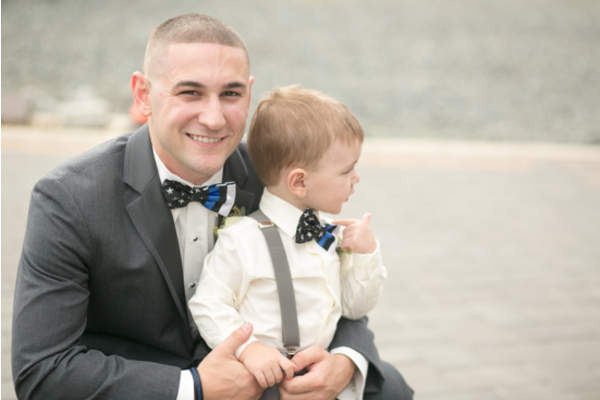 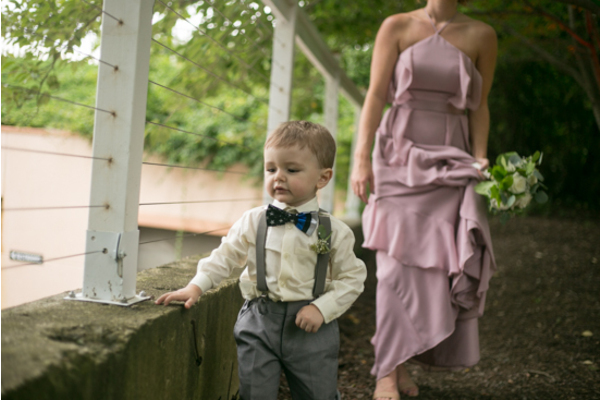 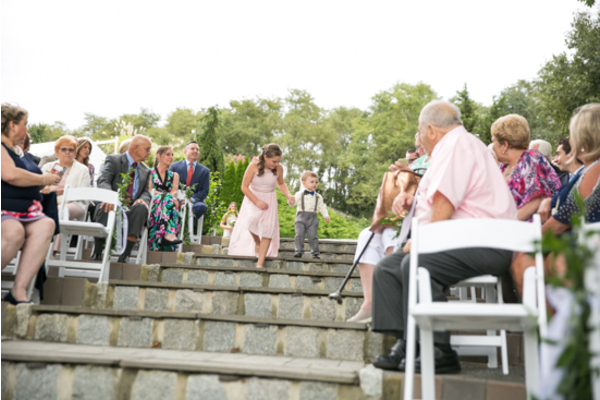 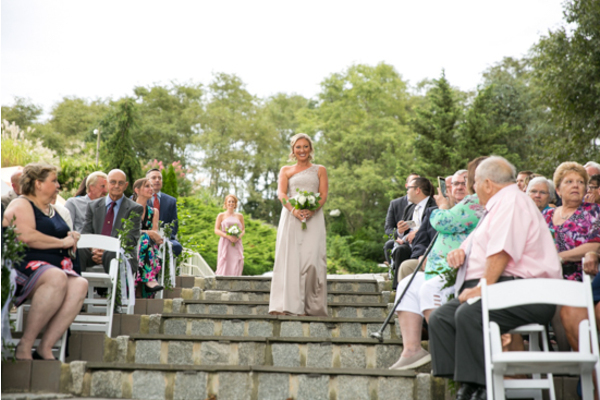 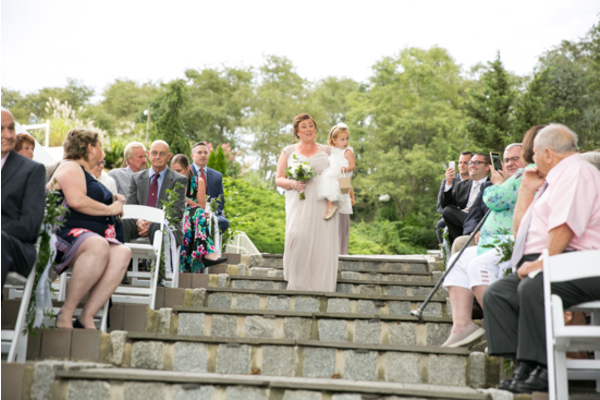 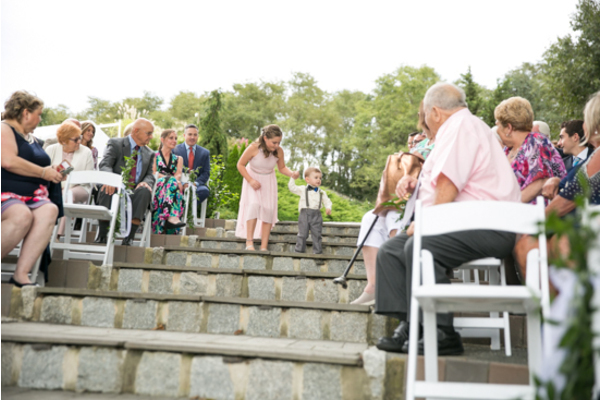 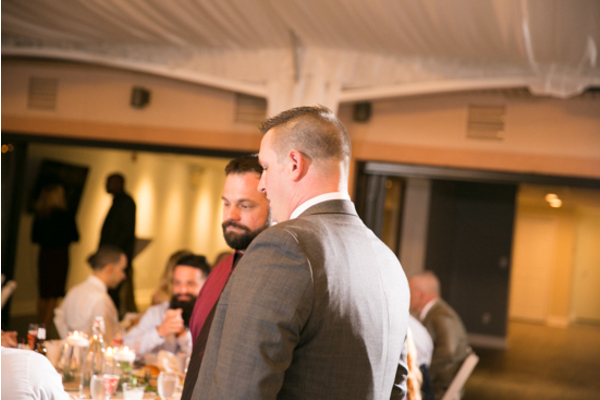 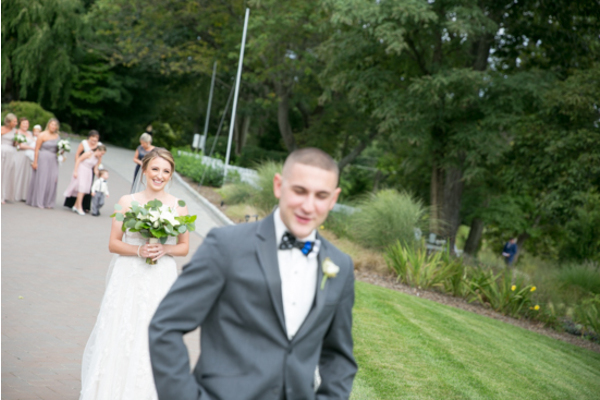 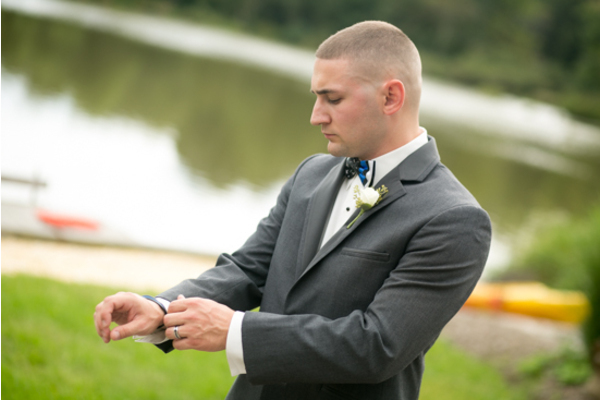 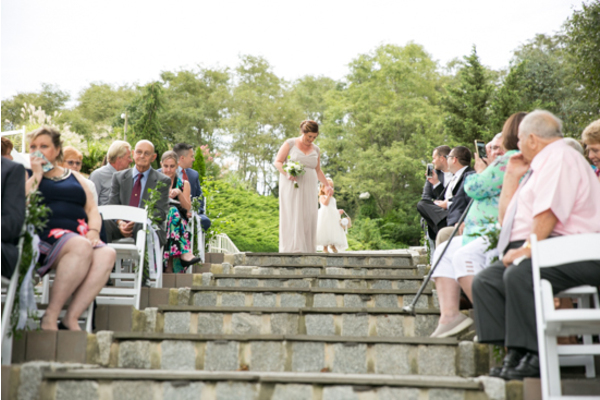 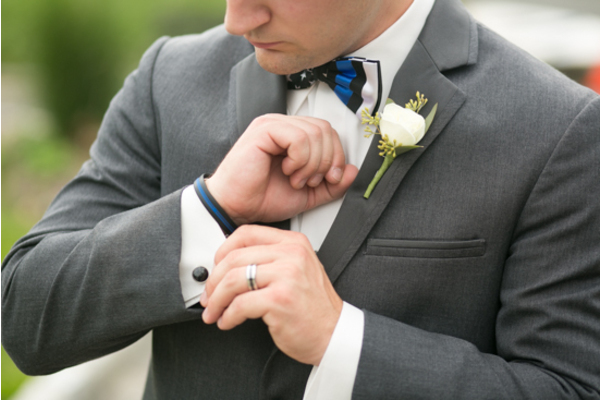 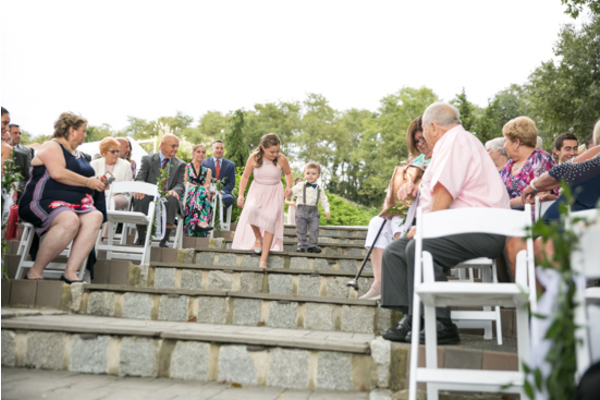 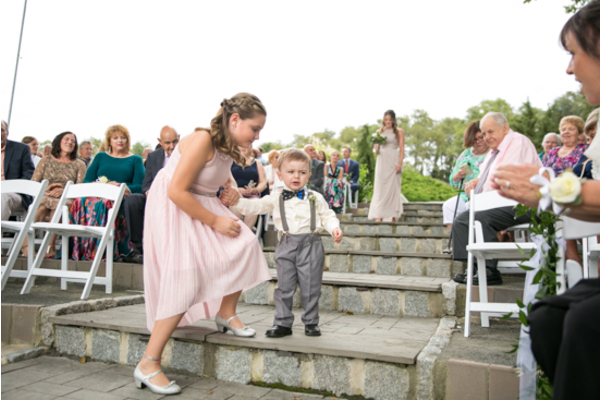 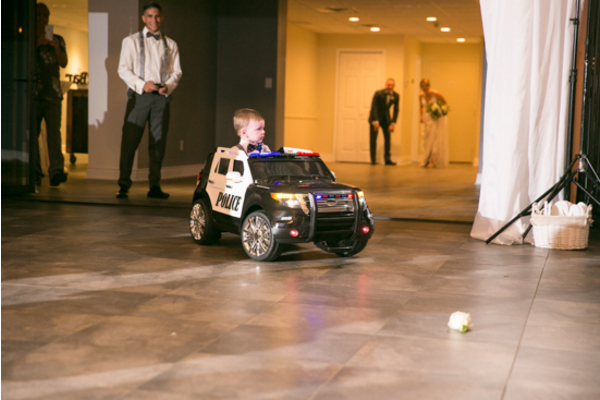 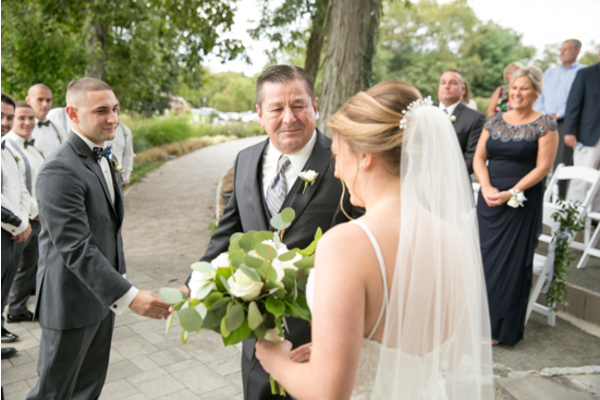 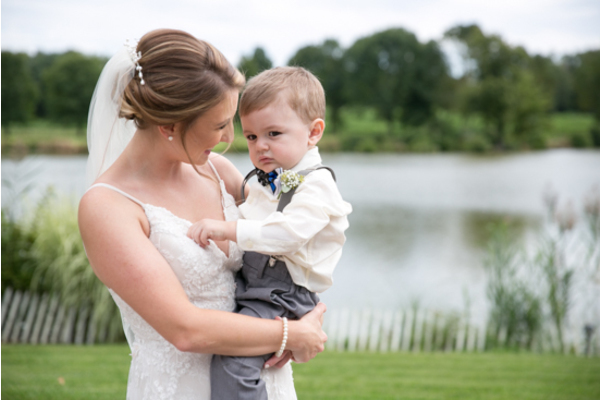 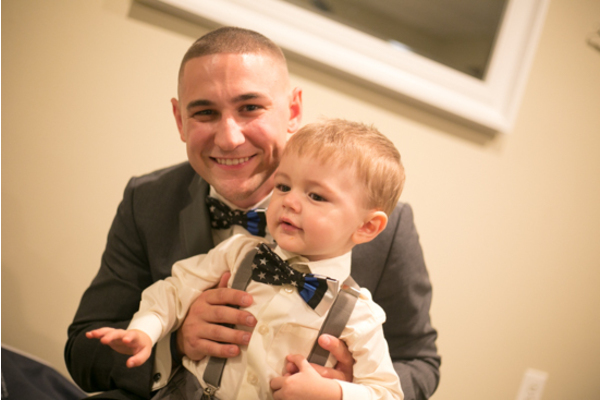 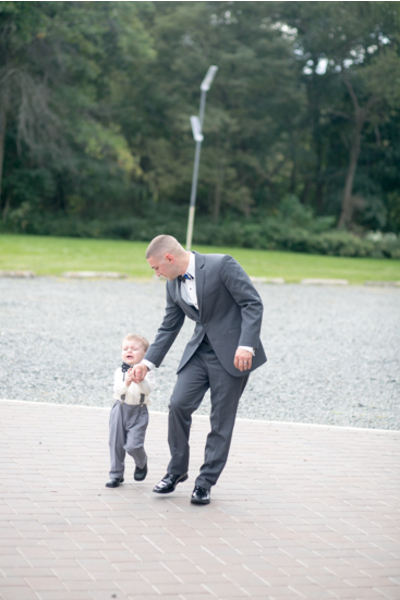 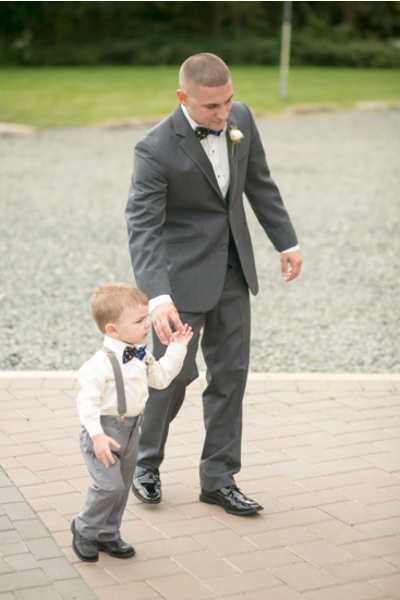 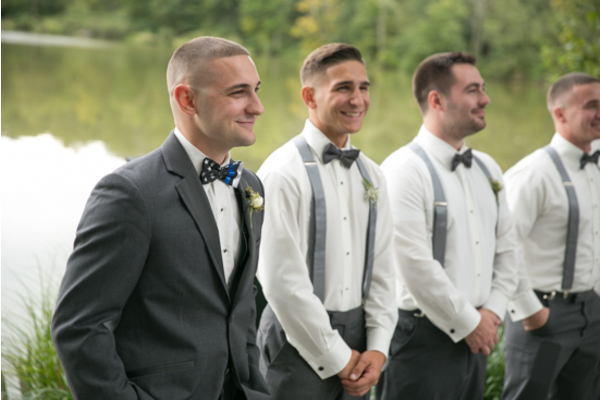 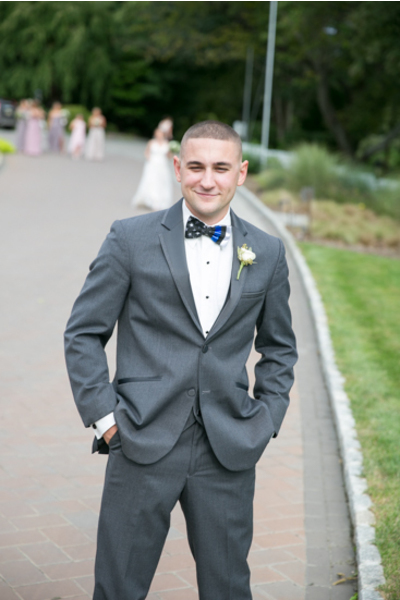 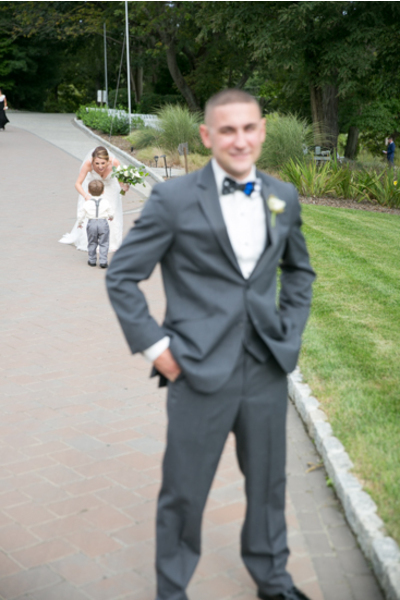 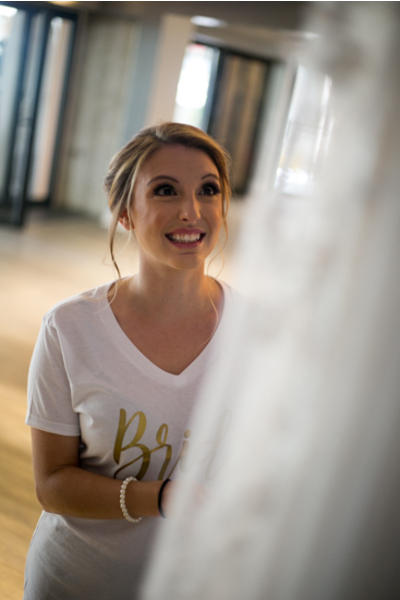 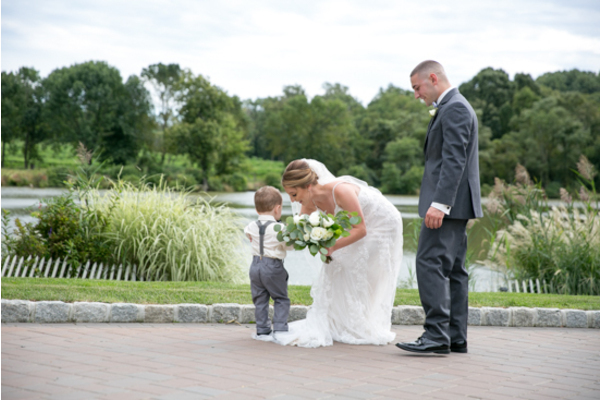 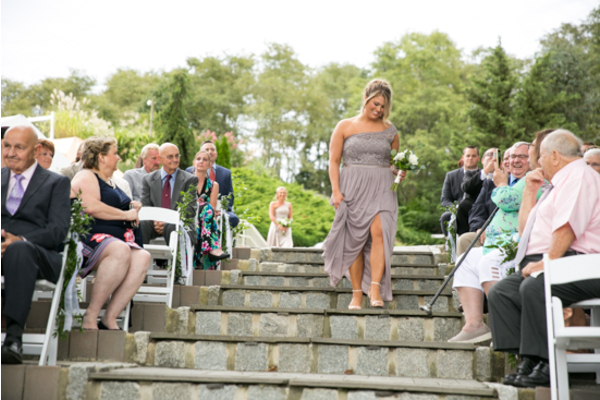 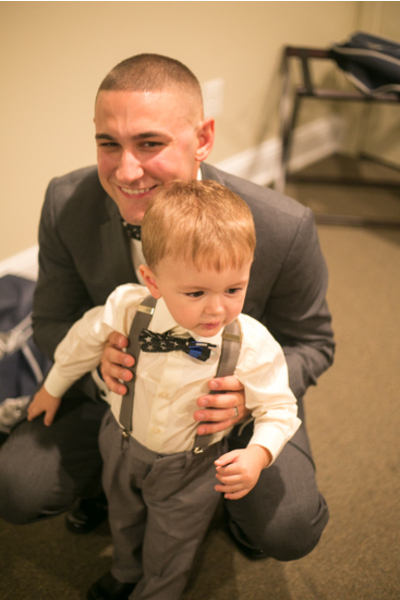 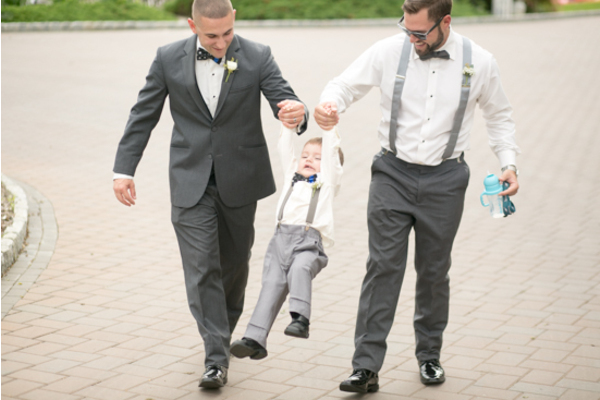 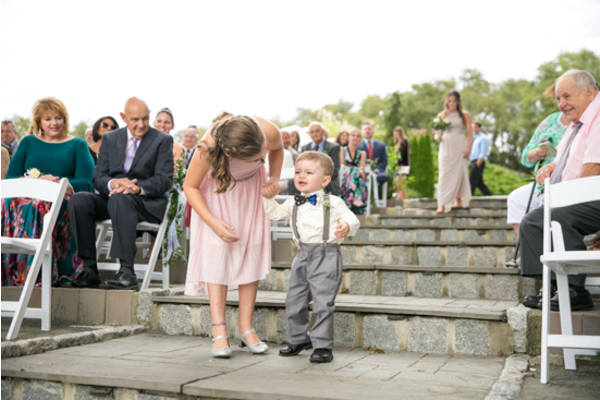 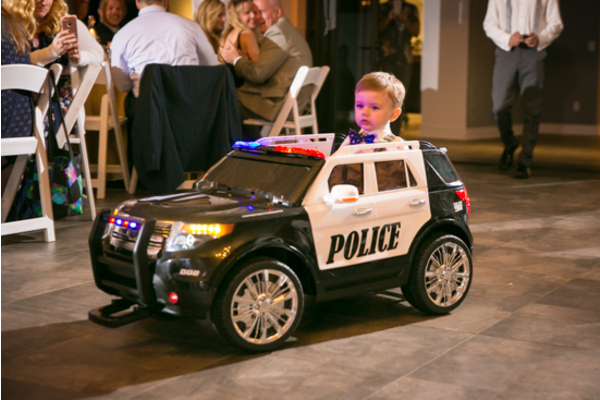 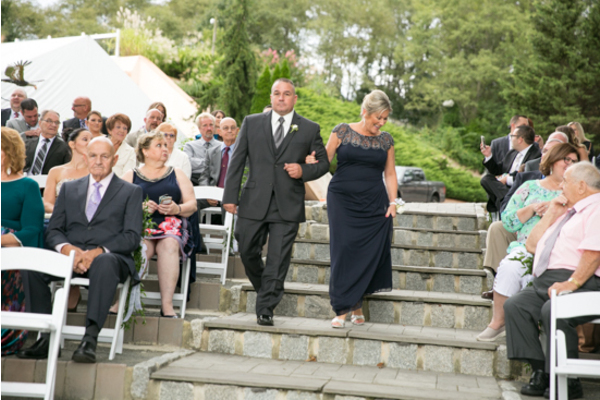 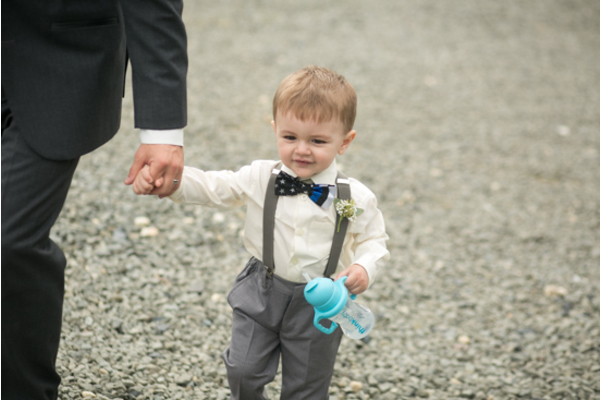 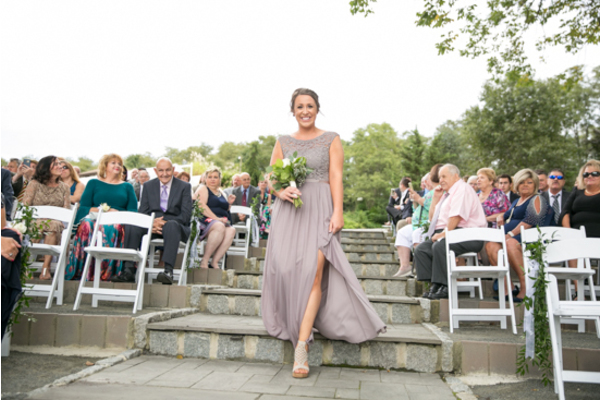 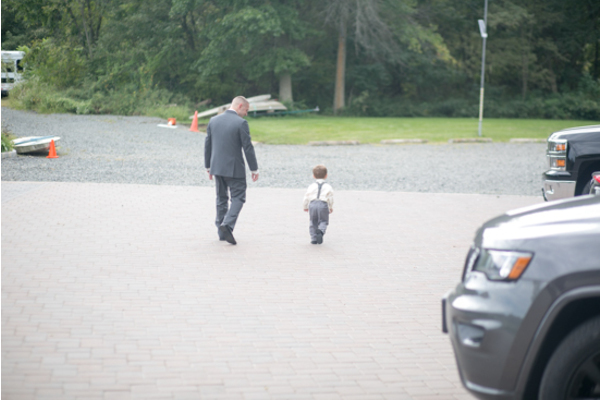 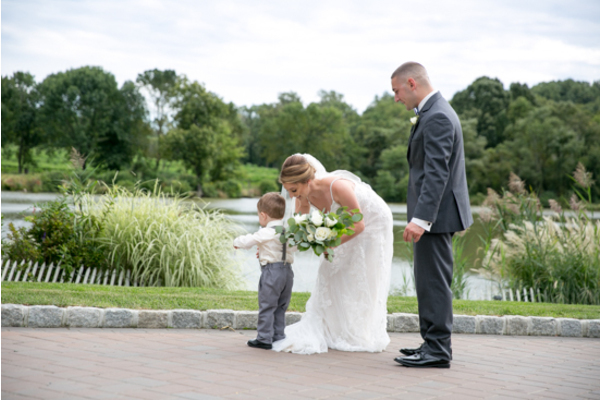 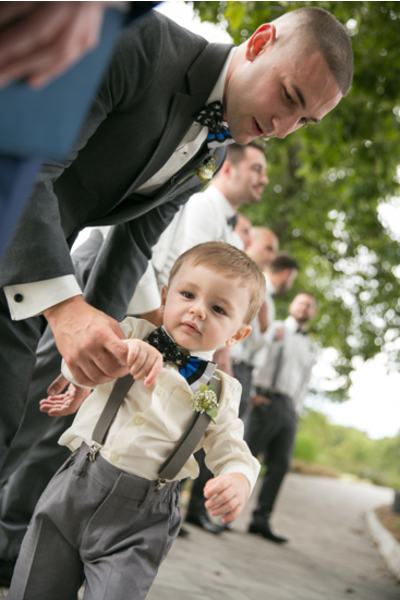 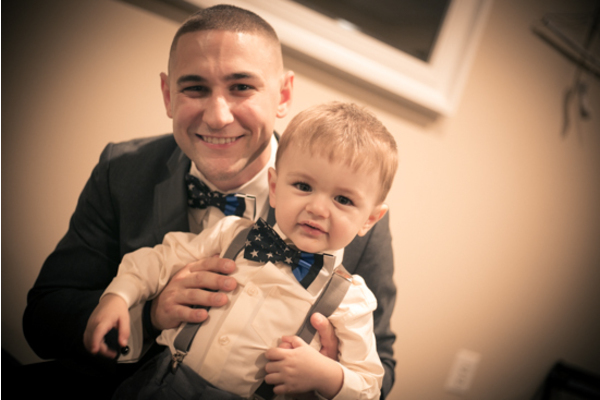 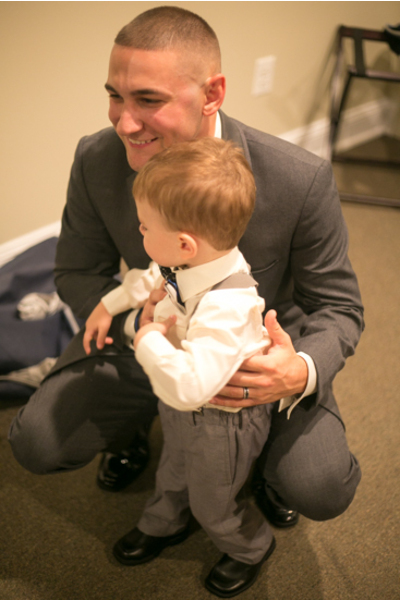 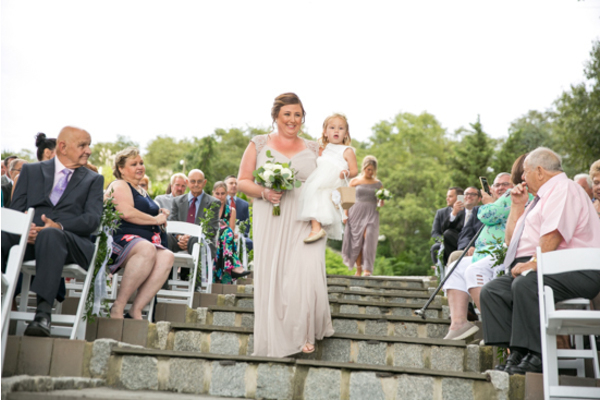 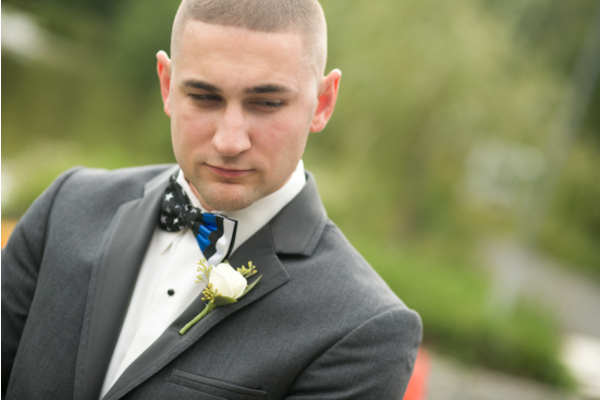 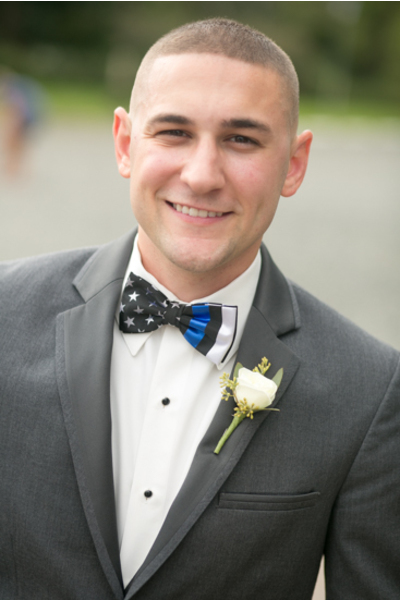 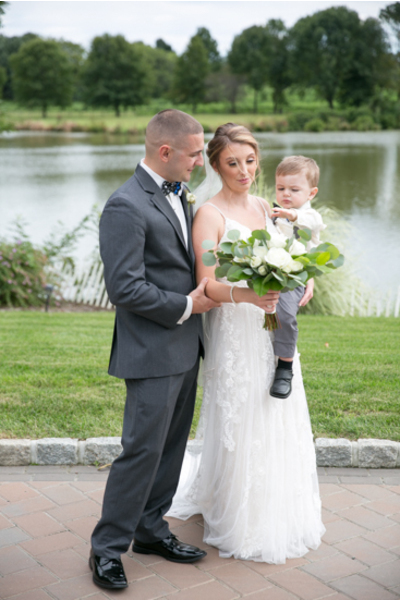 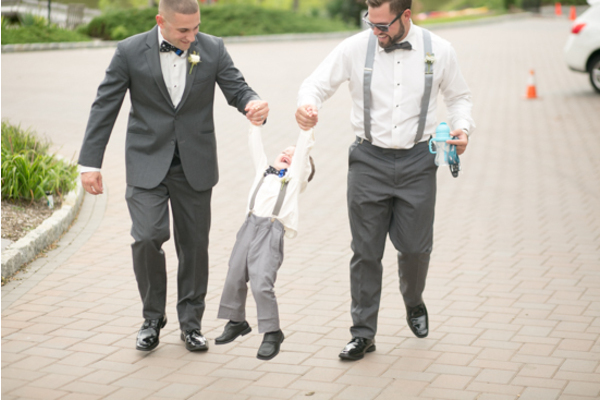 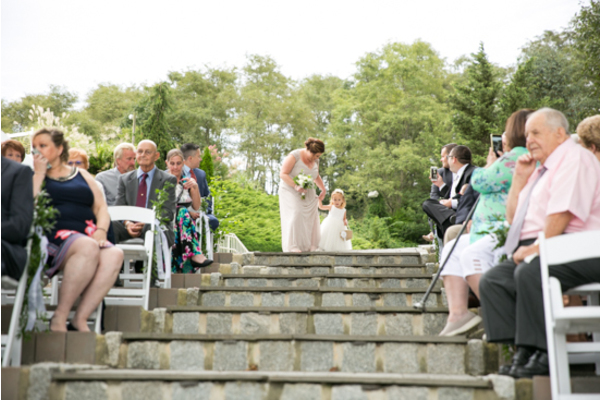 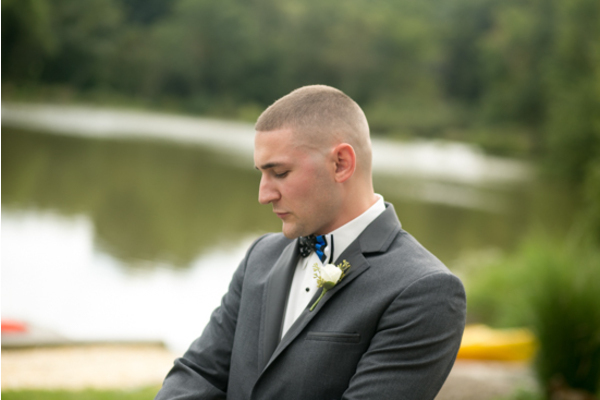 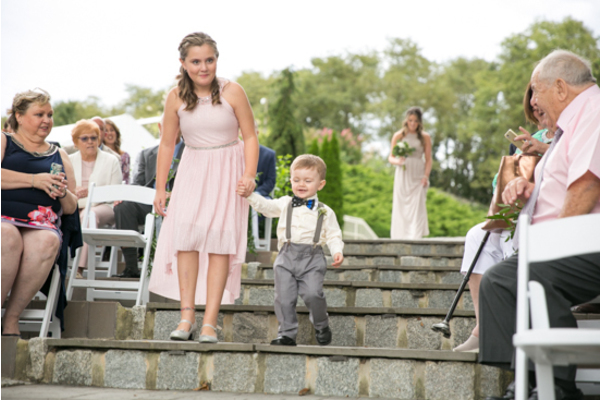 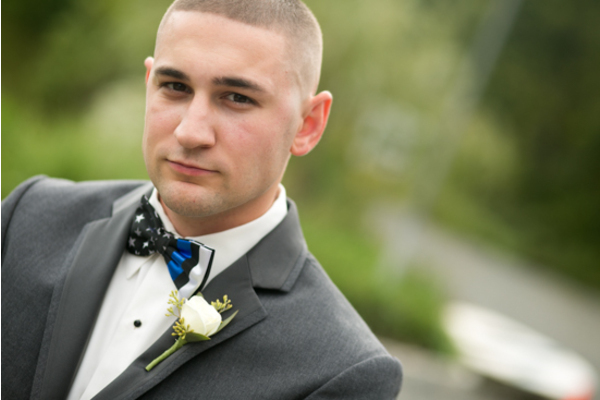 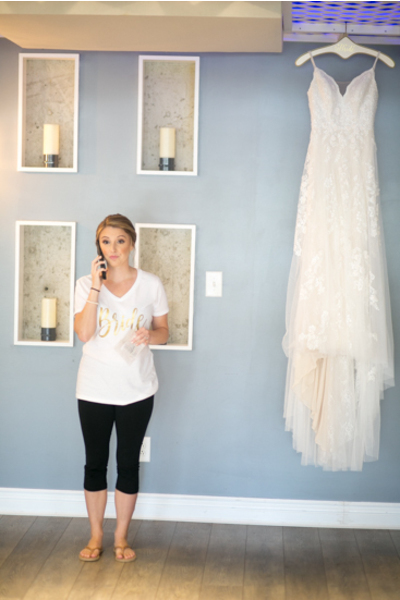 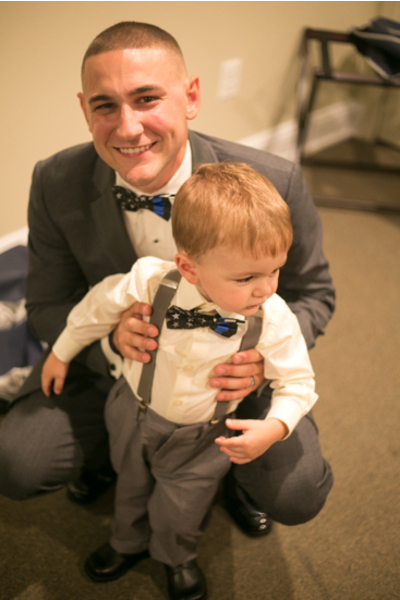 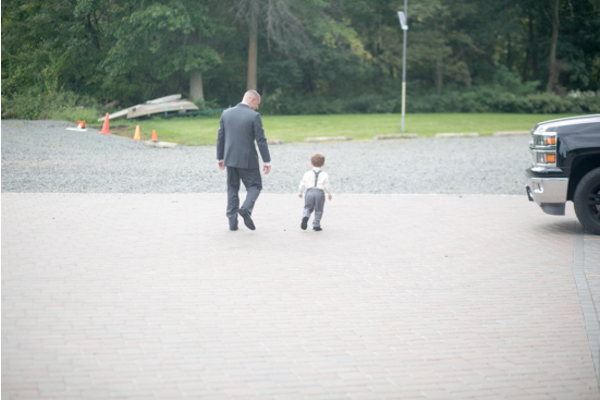 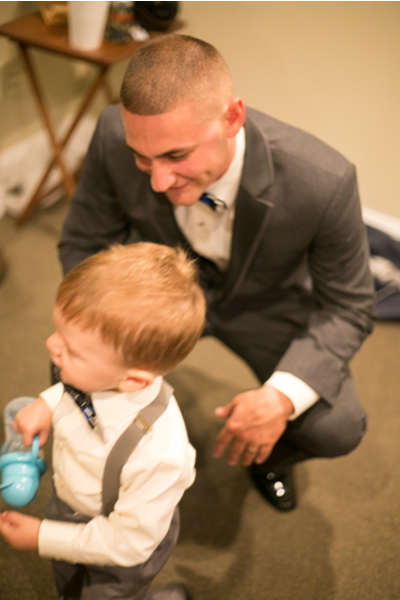 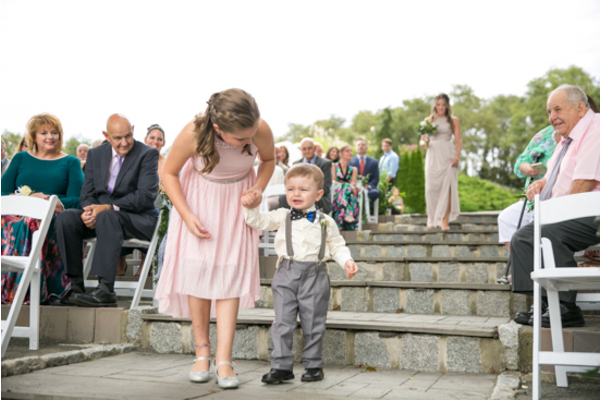 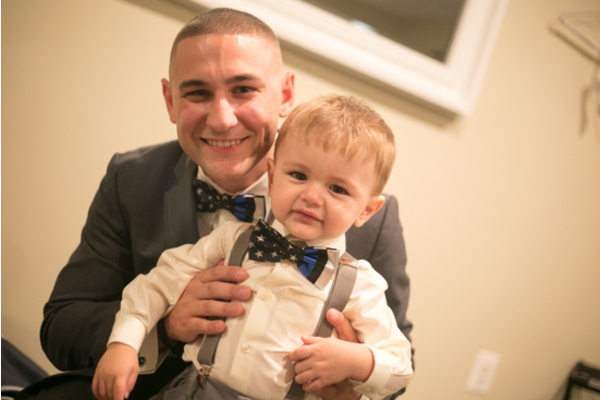 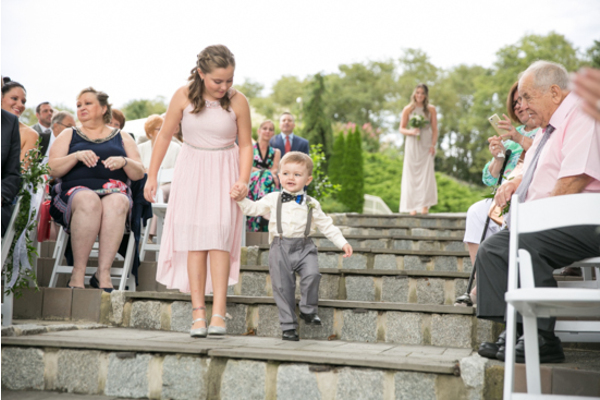 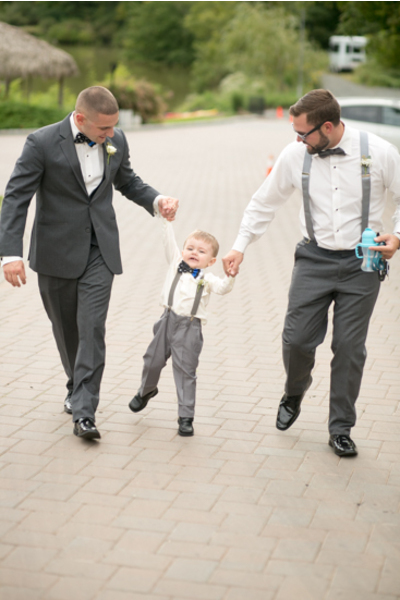 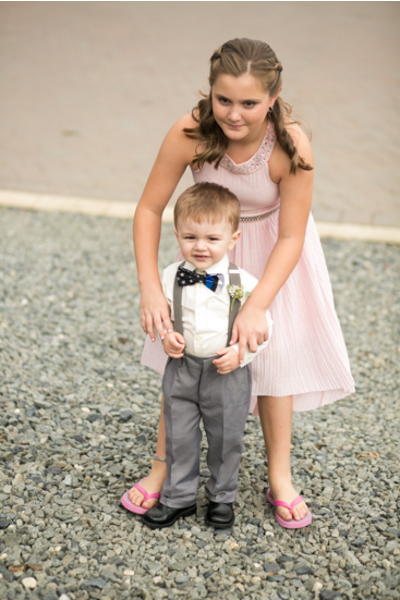 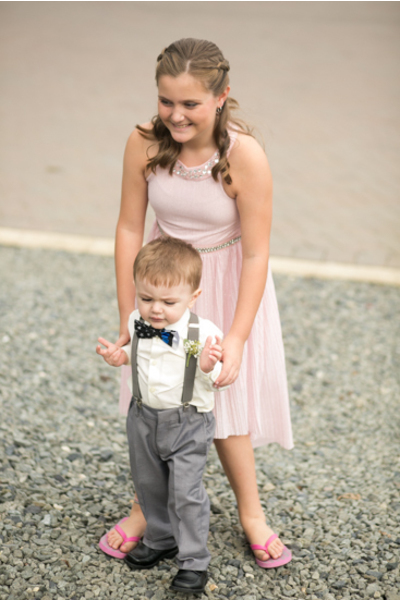 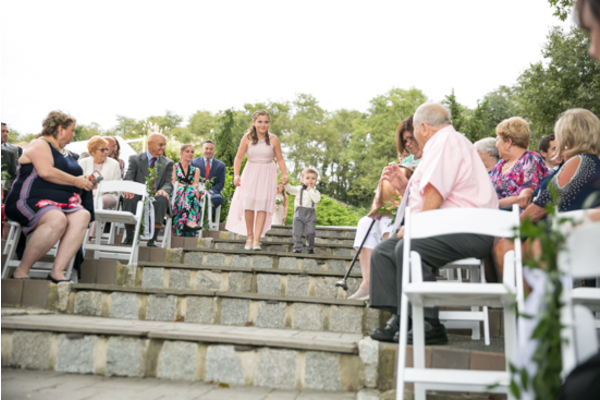 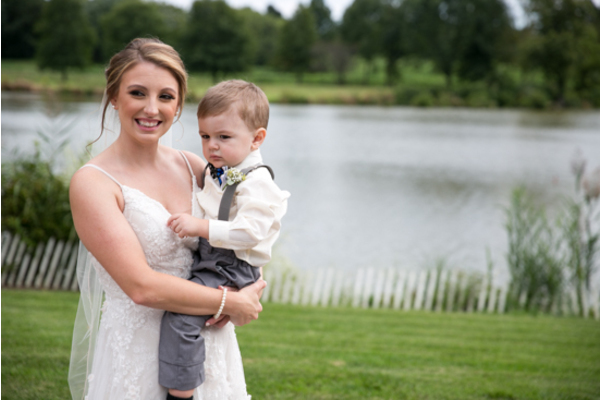 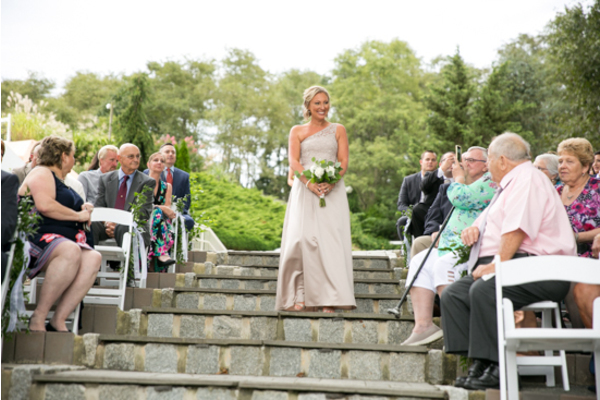 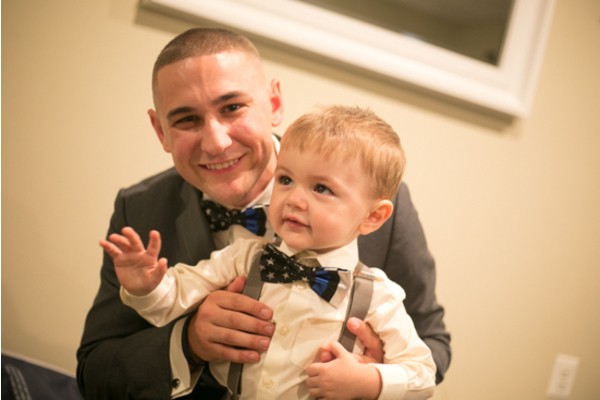 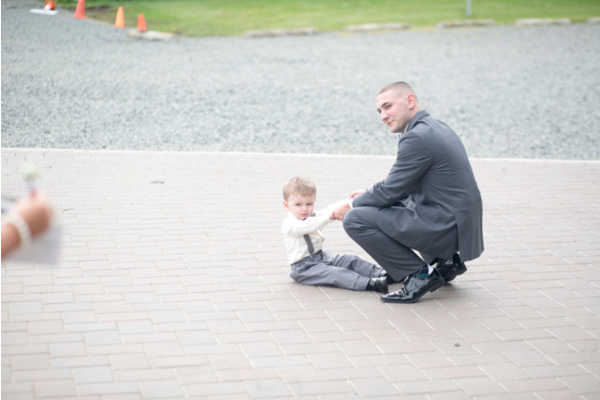 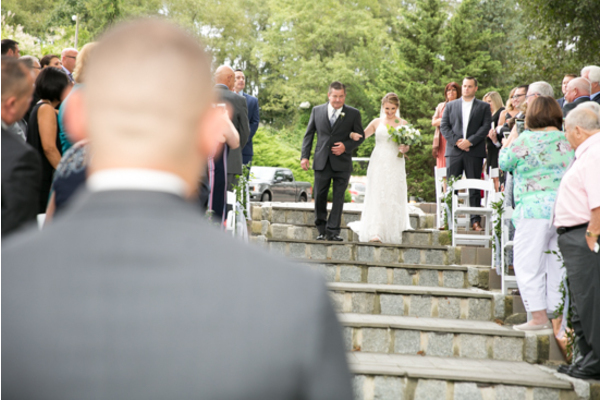 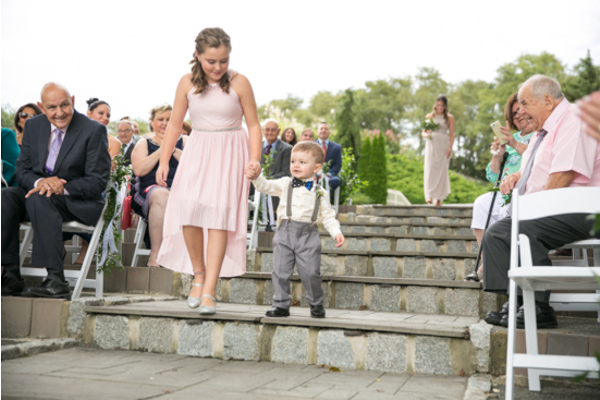 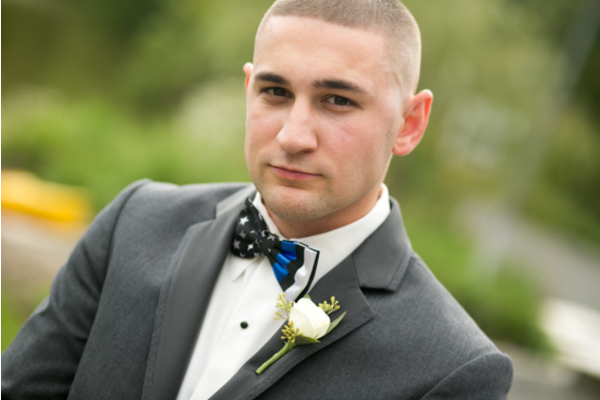 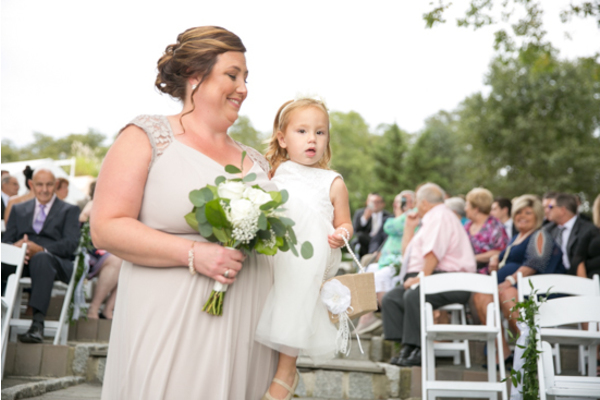 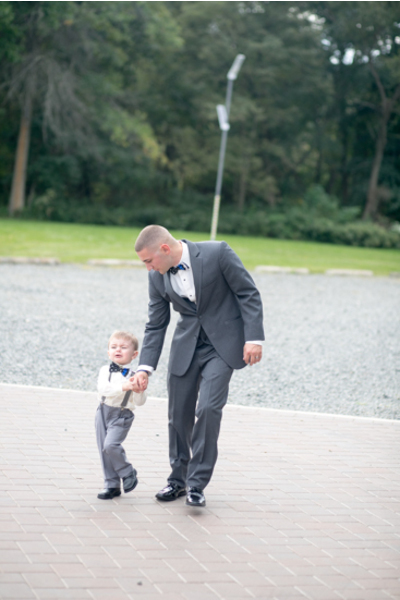 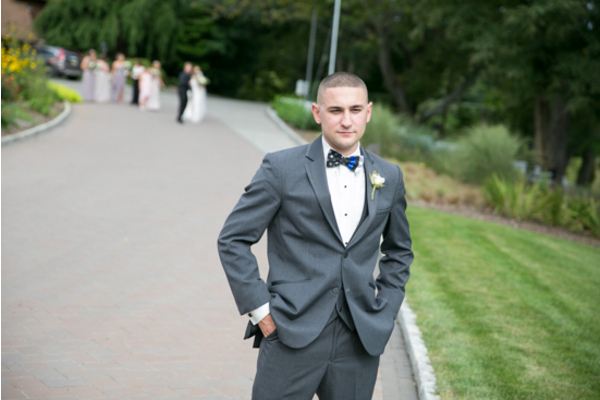 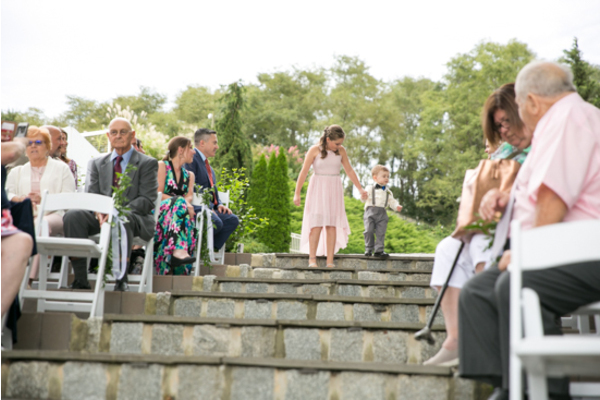 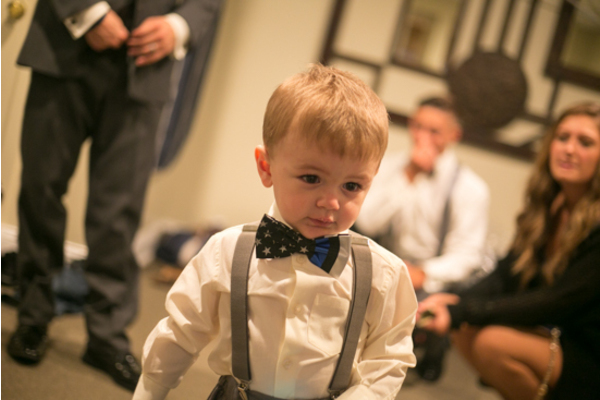 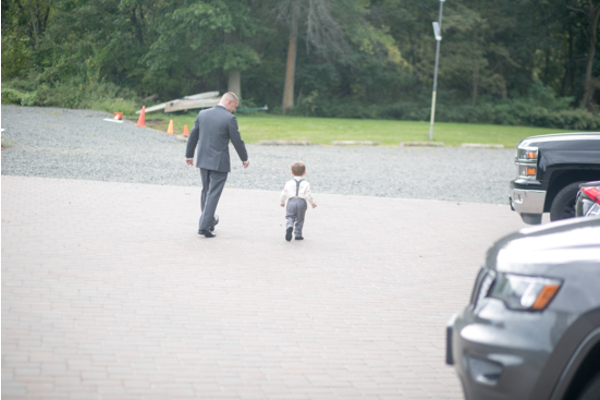 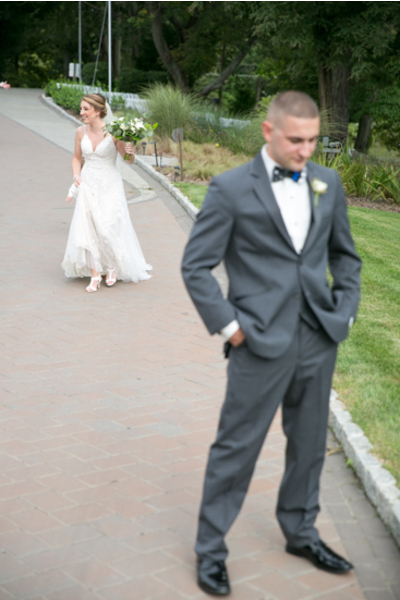 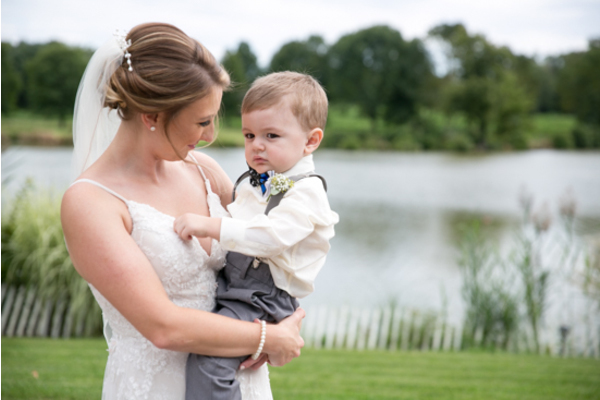 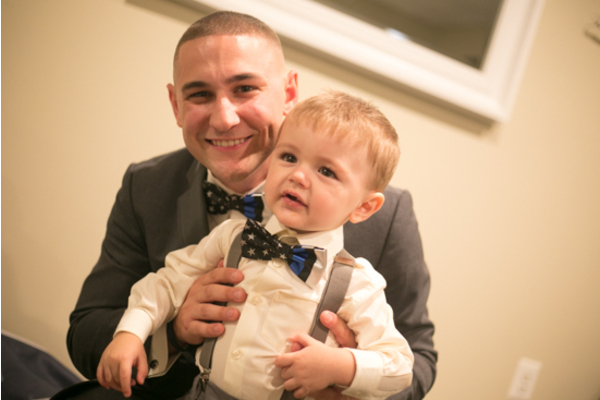 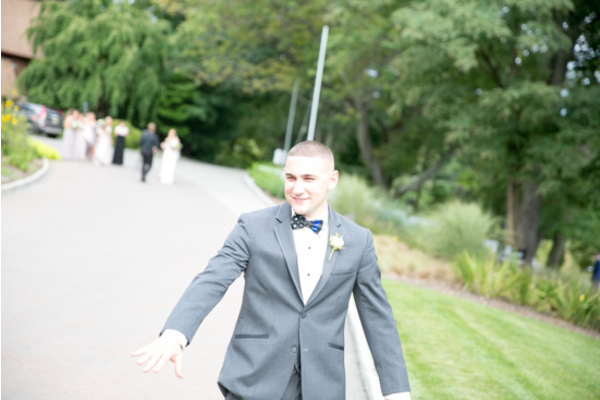 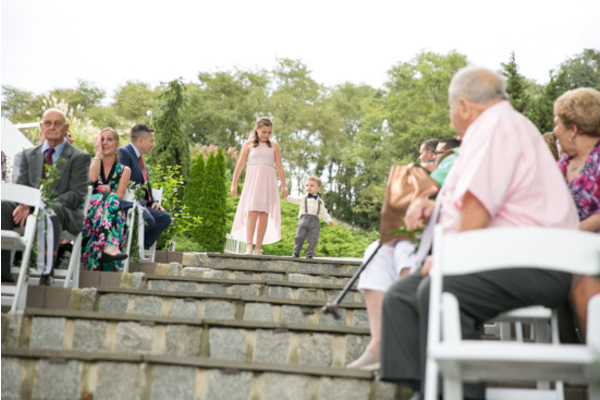 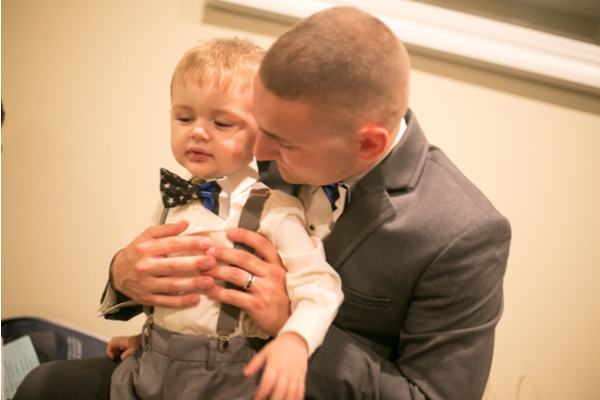 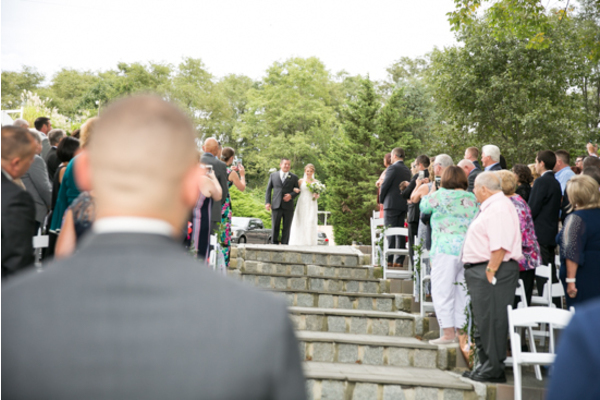 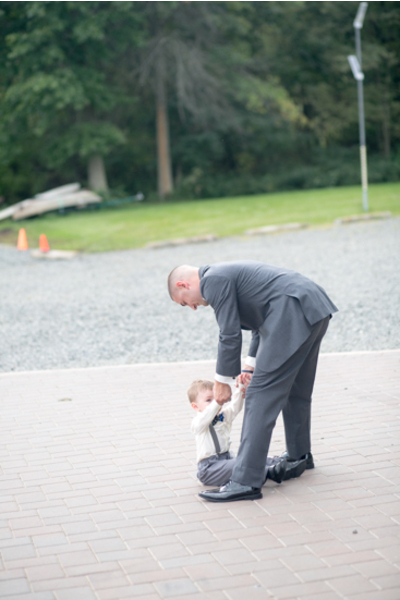 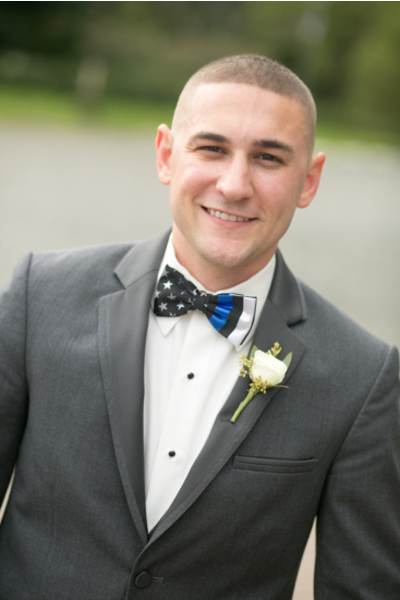 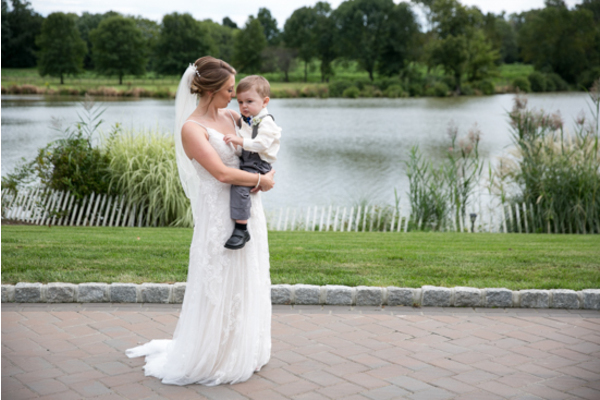 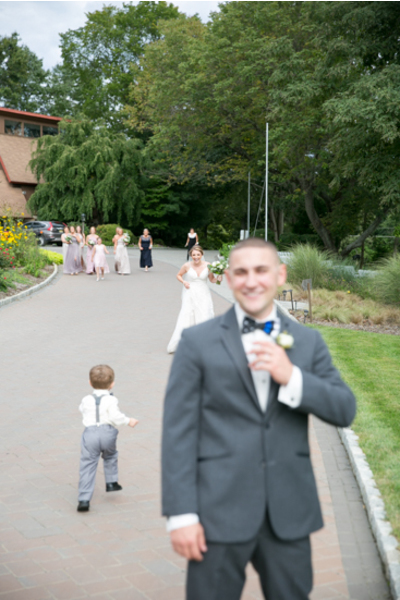 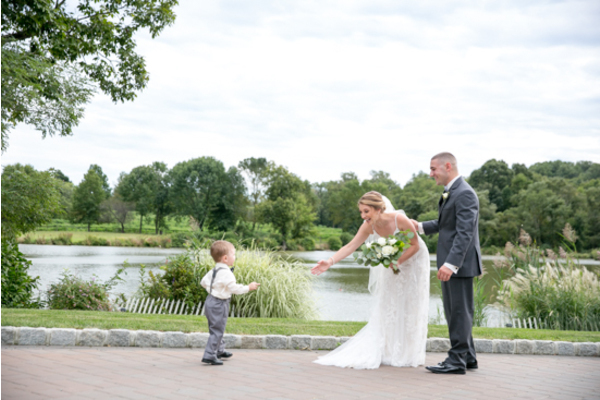 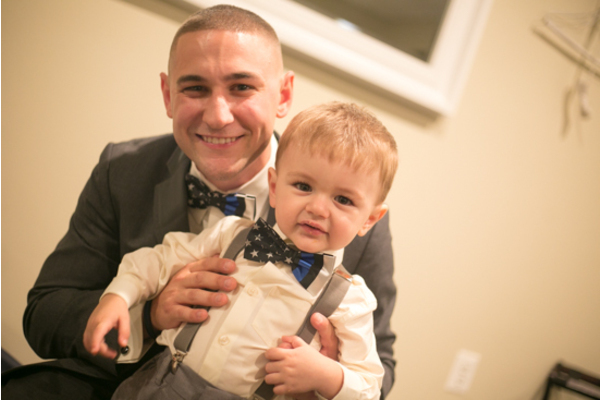 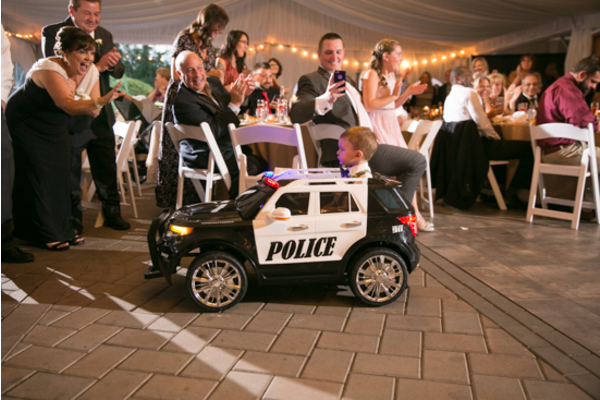 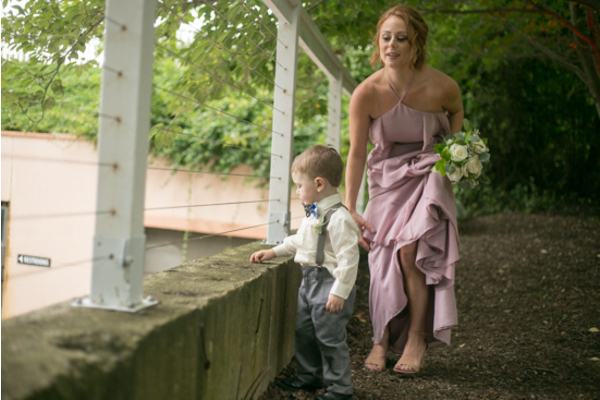 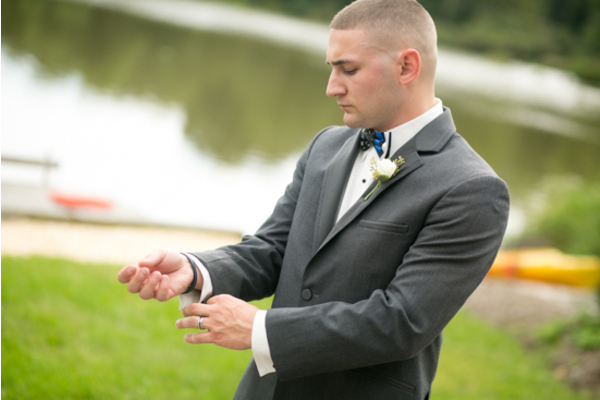 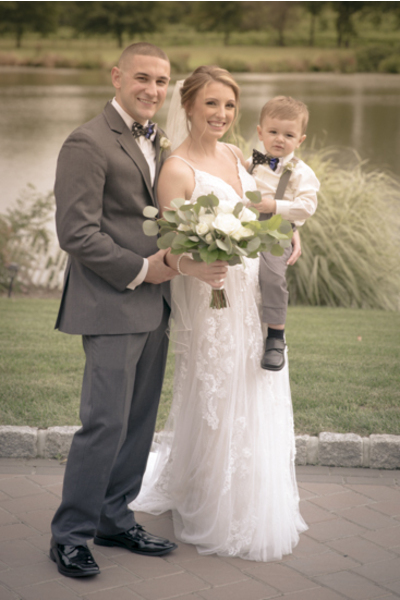 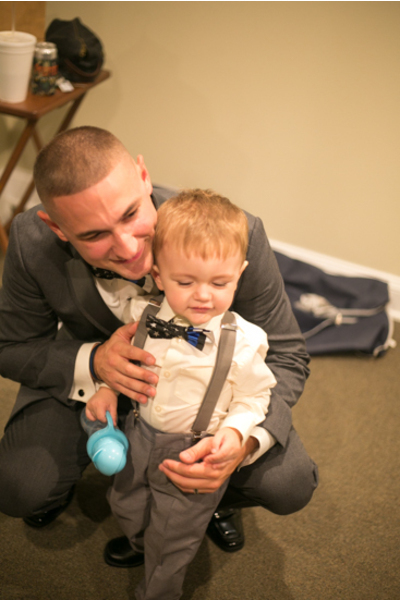 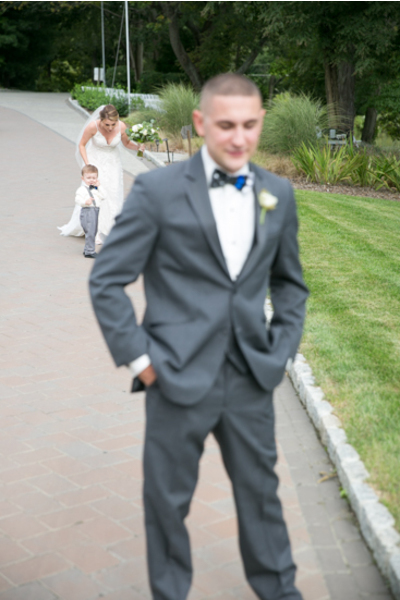 Our NJ Wedding Photographer was along for the ride to capture all the heartwarming moments for the family. 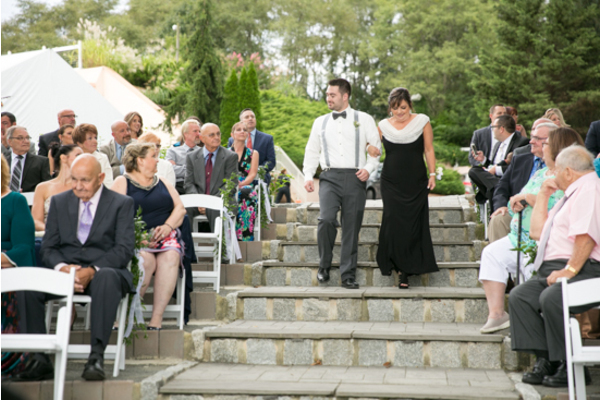 The ceremony was absolutely stunning. 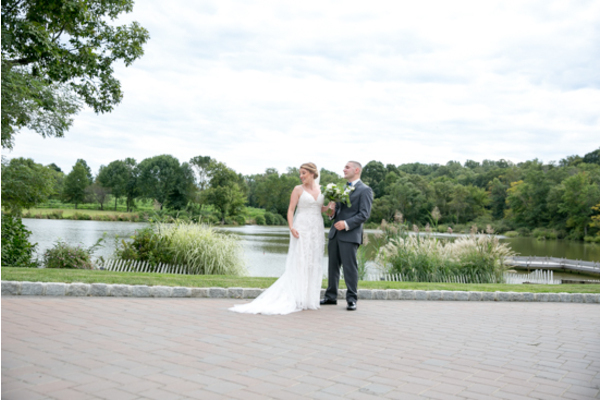 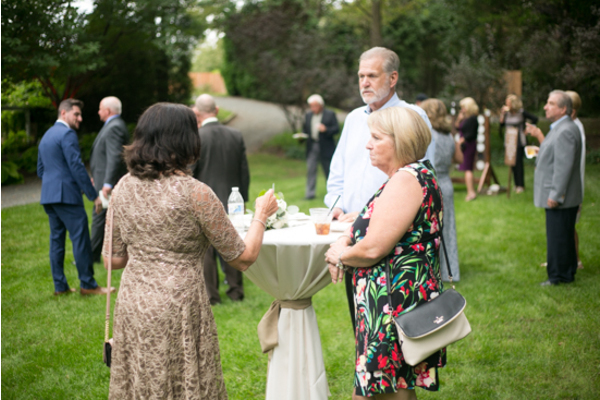 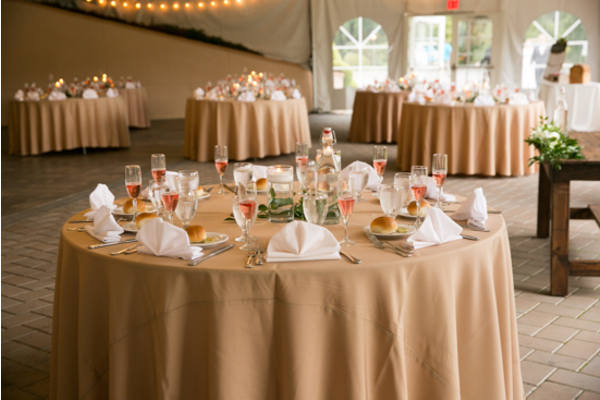 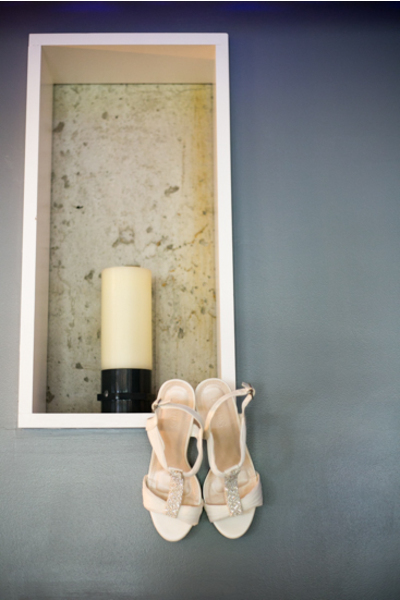 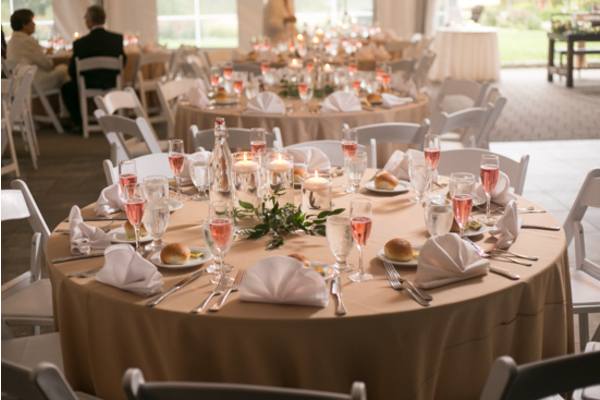 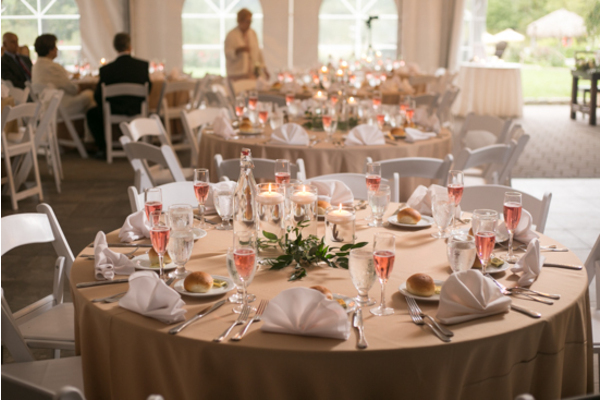 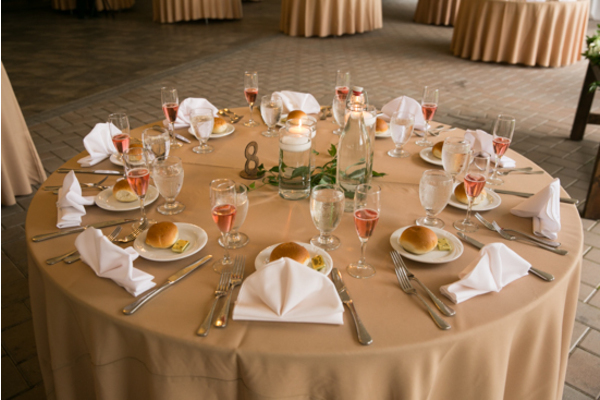 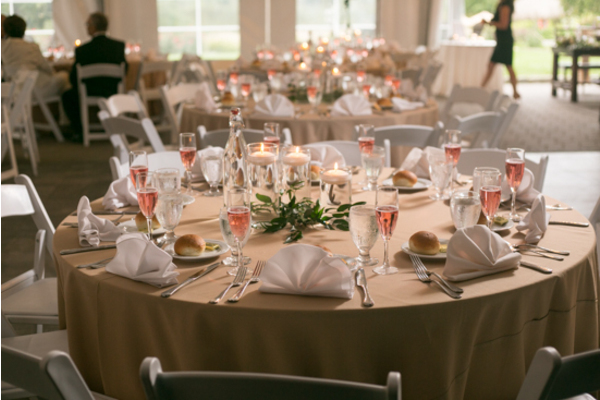 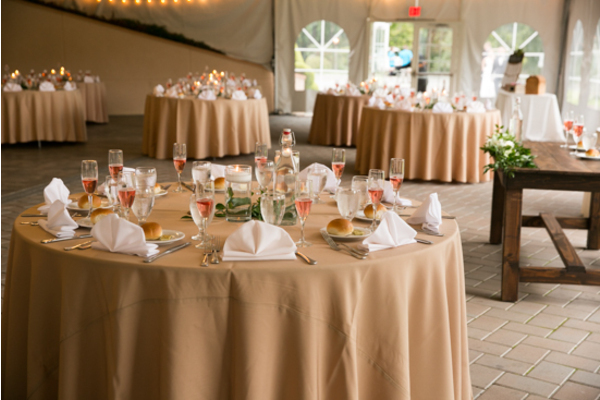 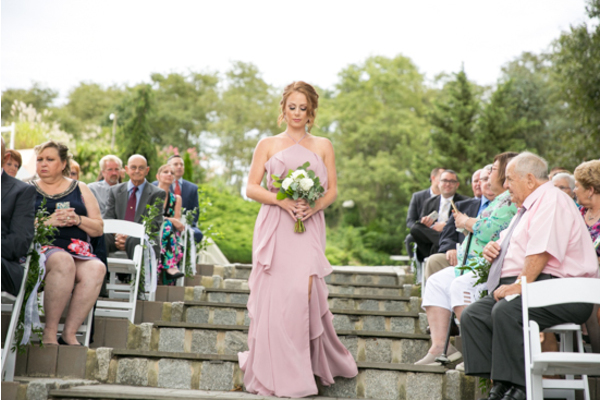 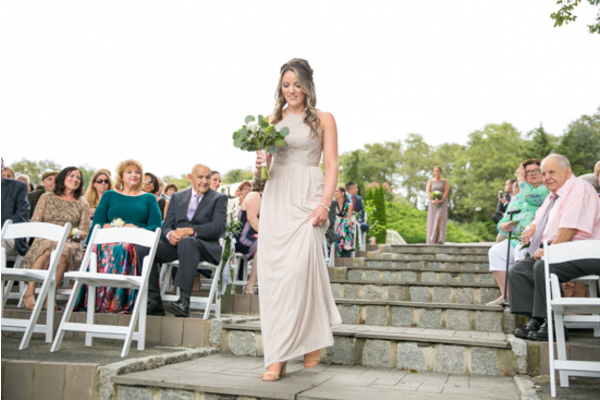 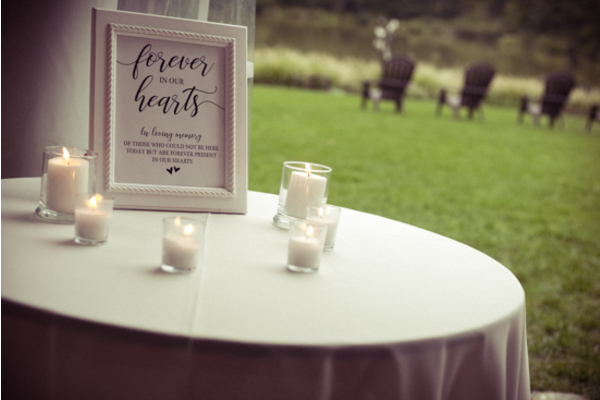 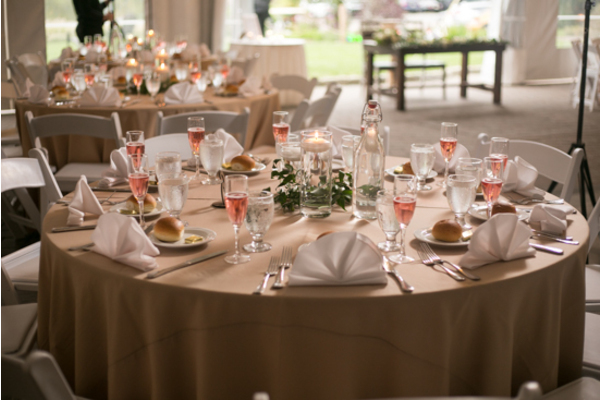 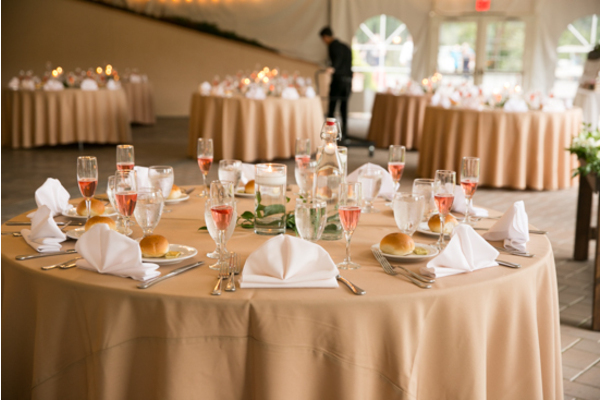 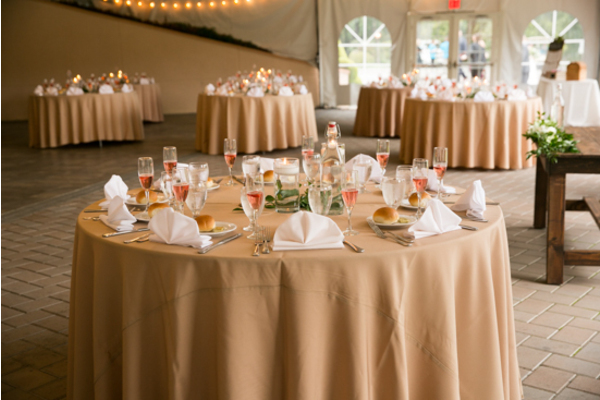 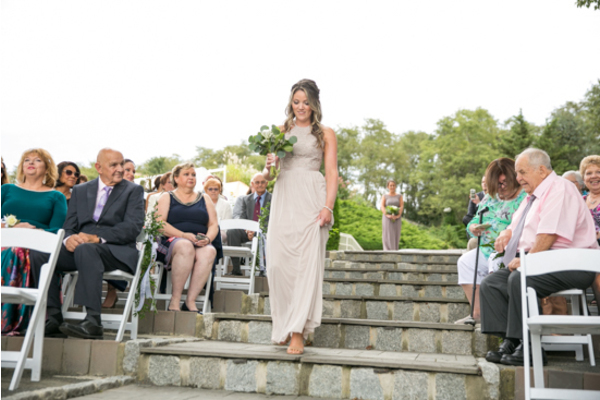 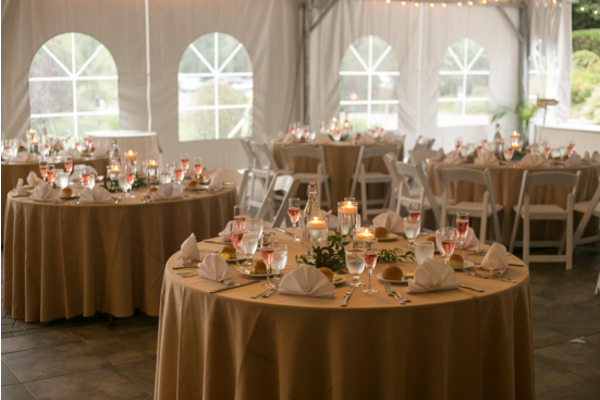 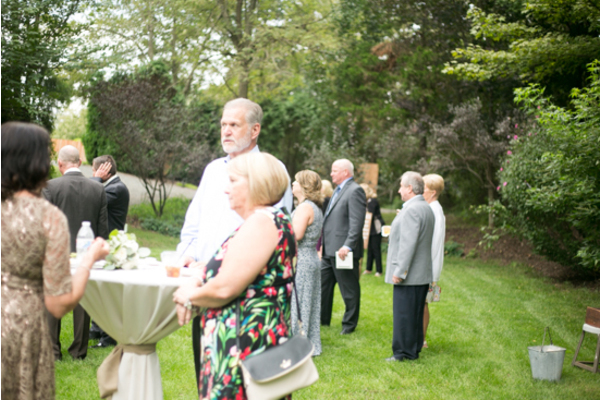 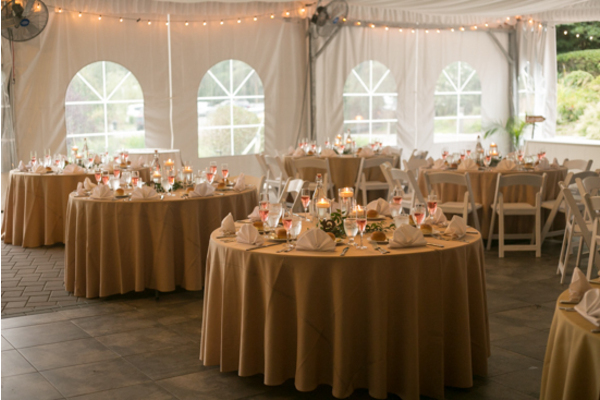 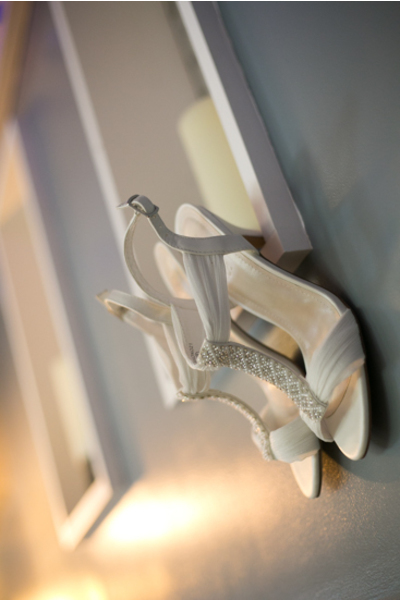 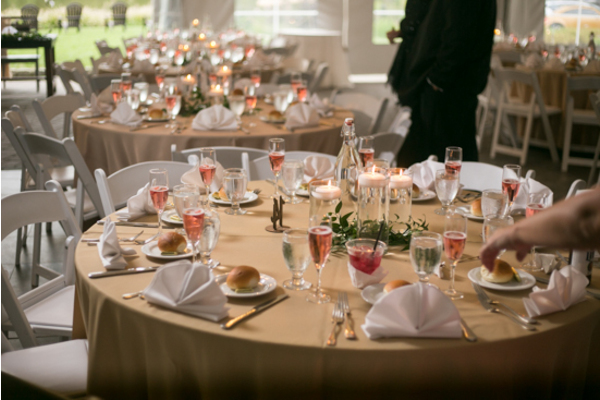 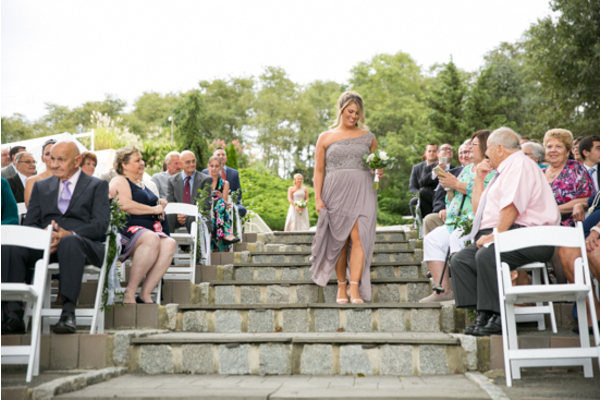 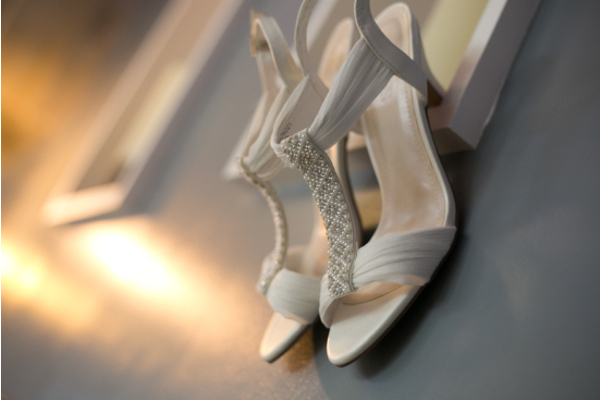 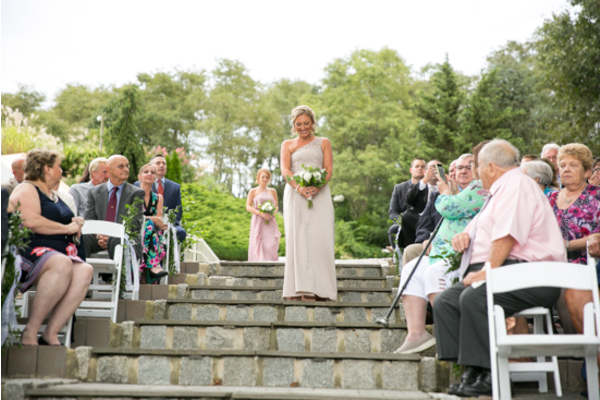 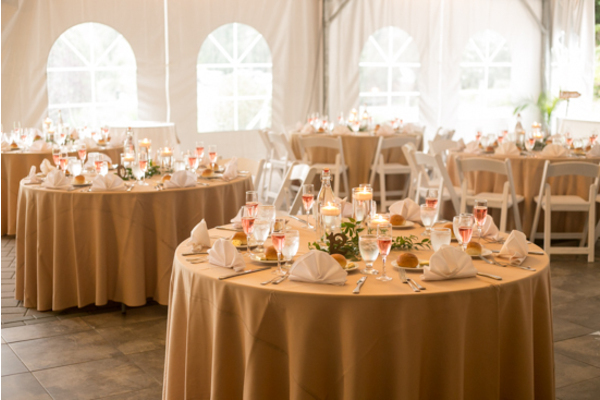 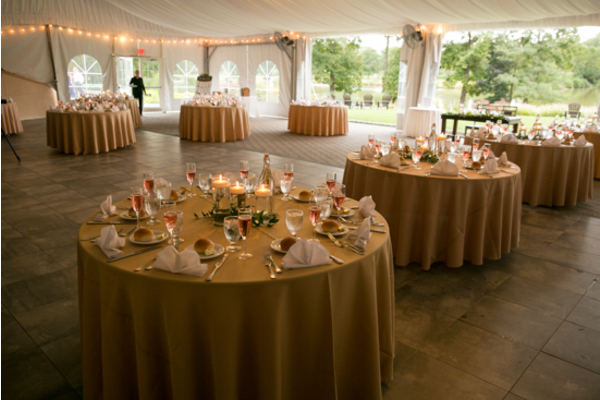 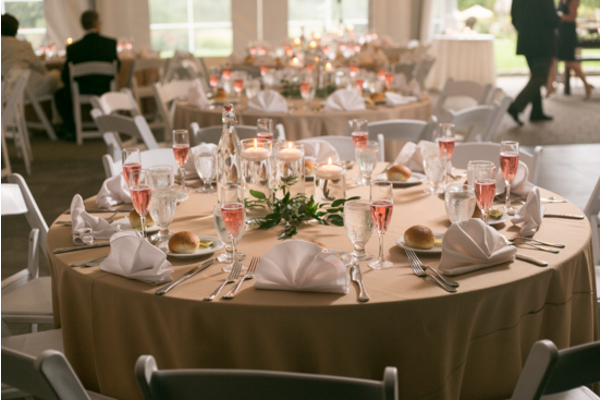 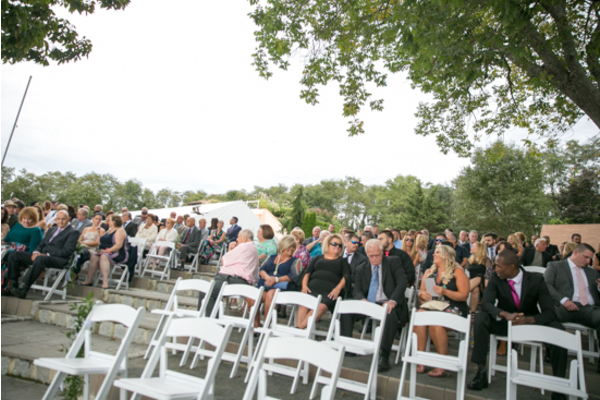 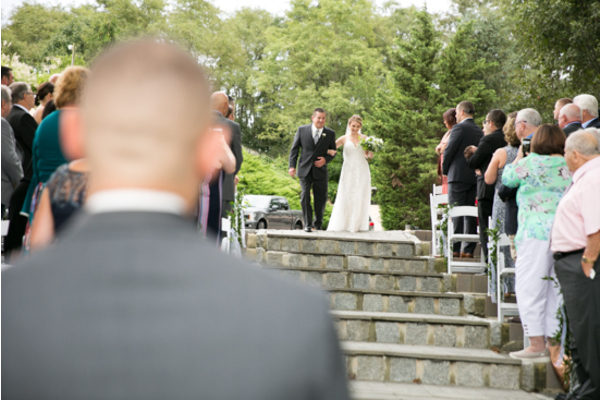 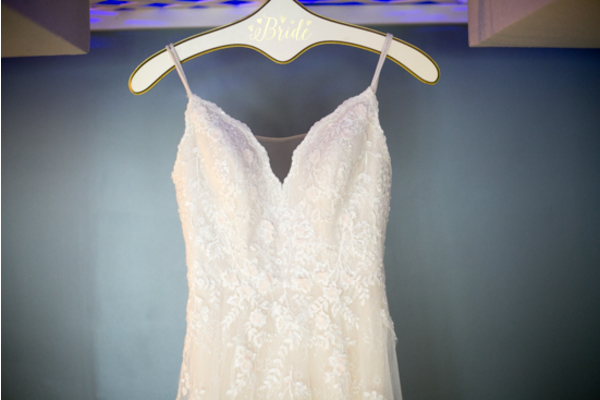 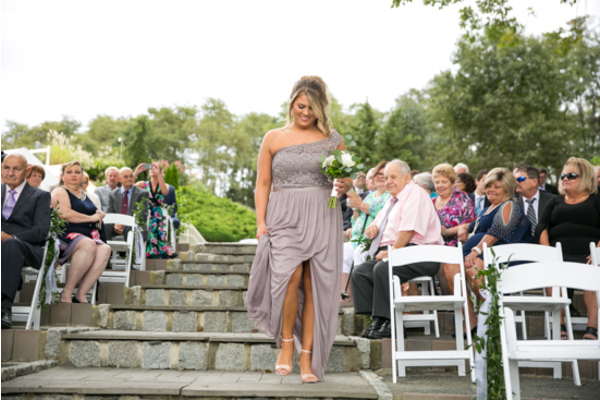 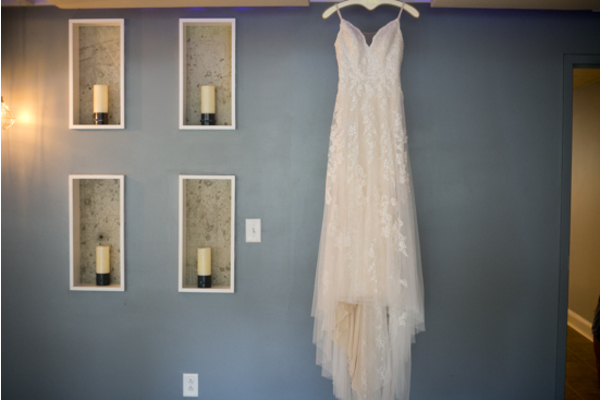 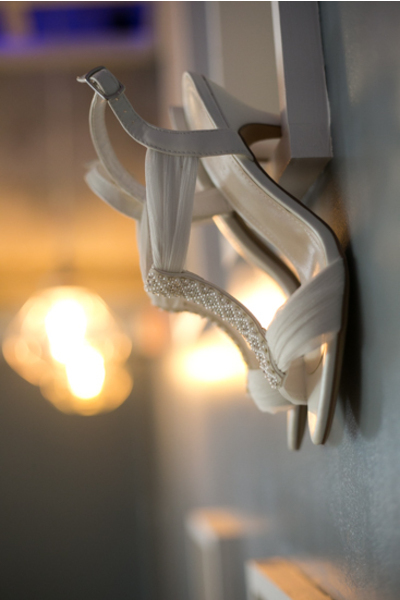 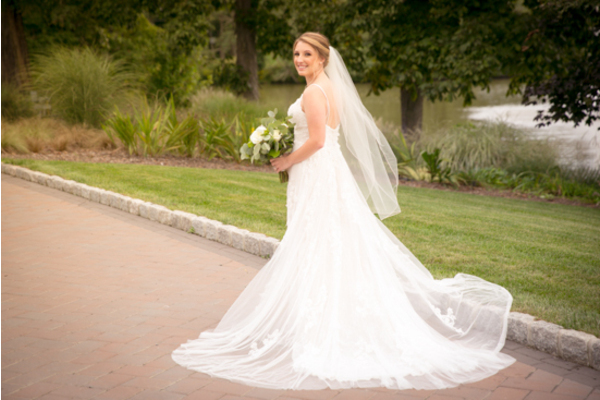 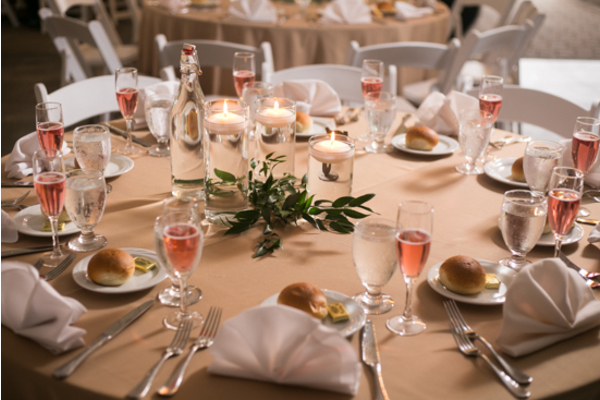 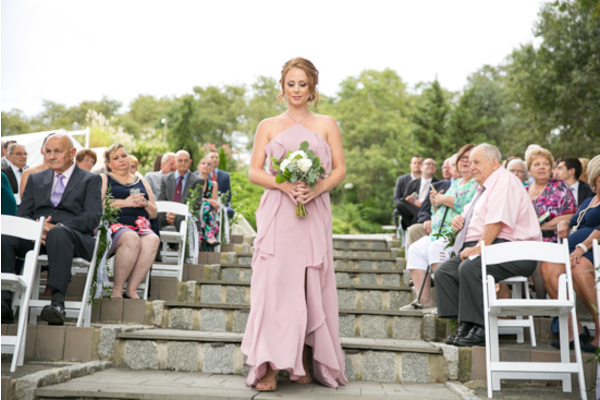 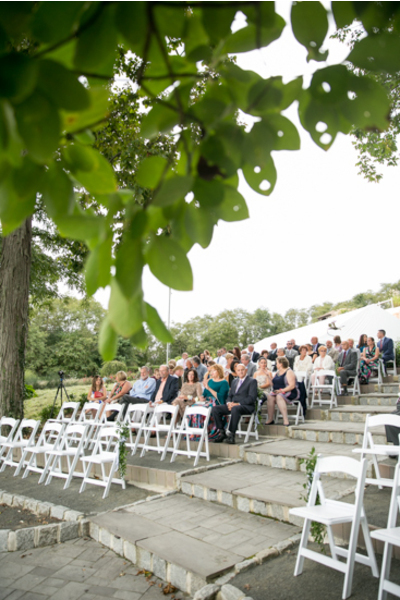 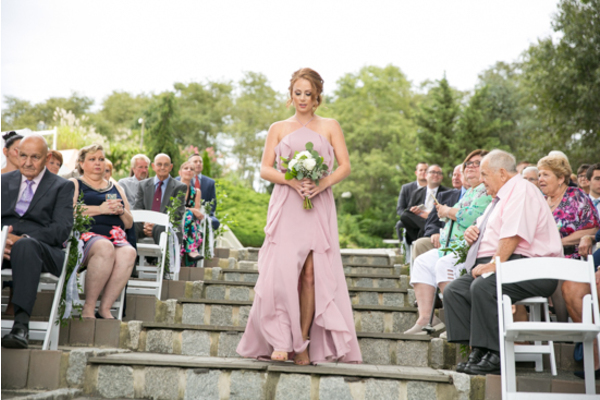 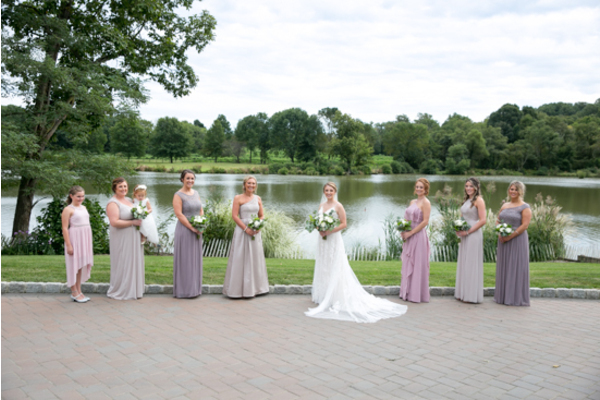 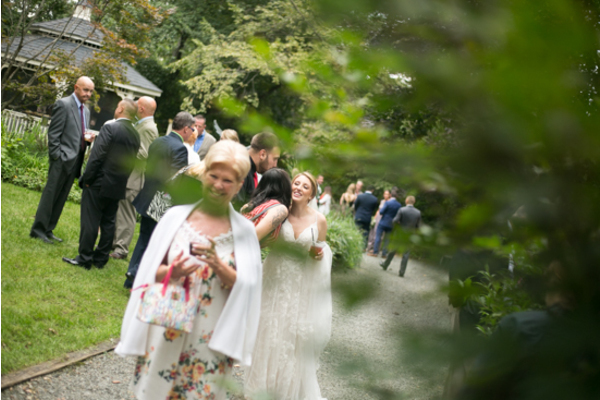 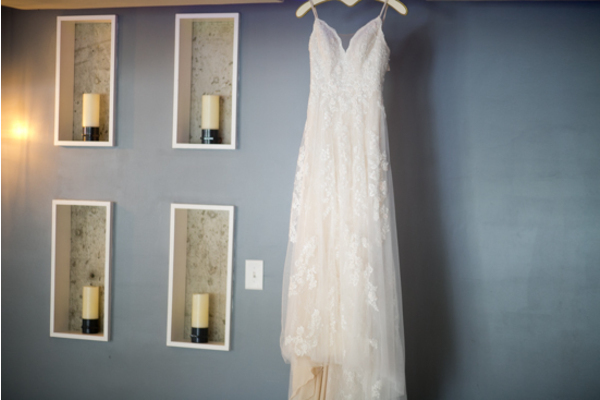 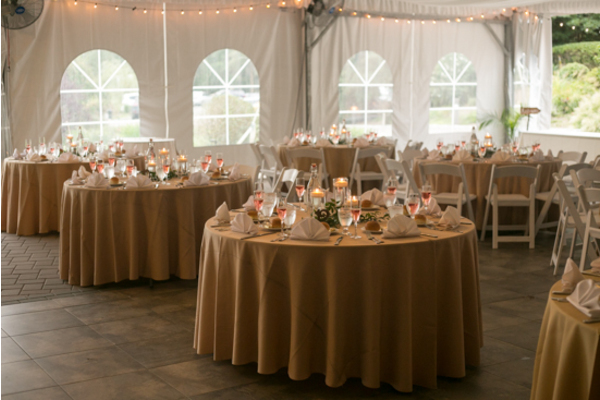 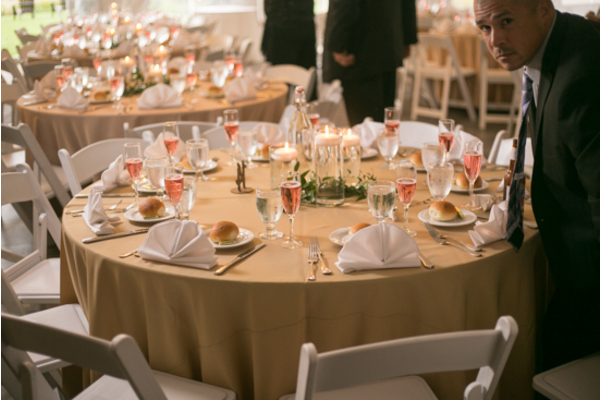 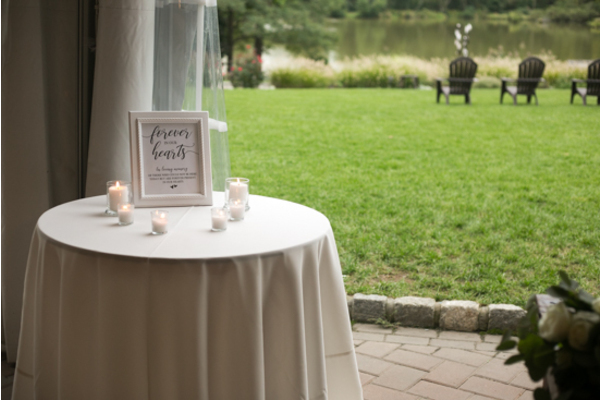 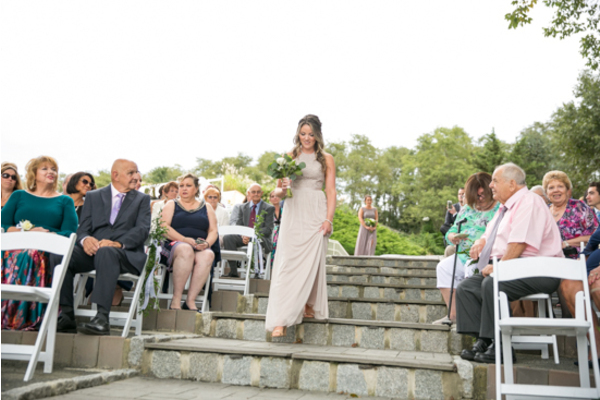 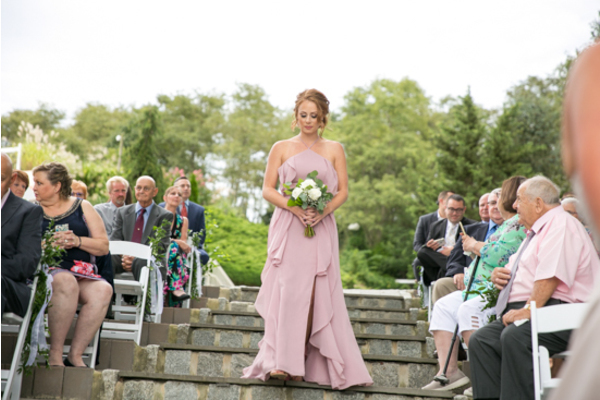 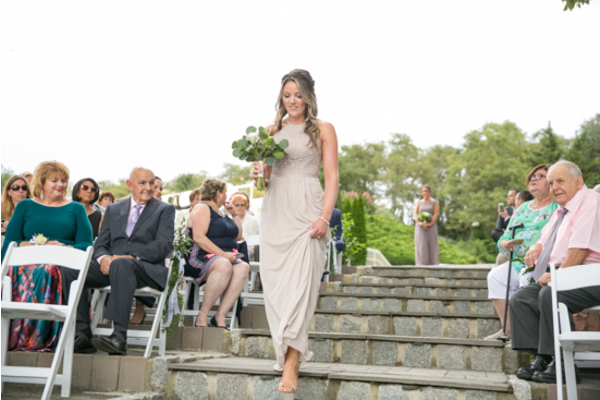 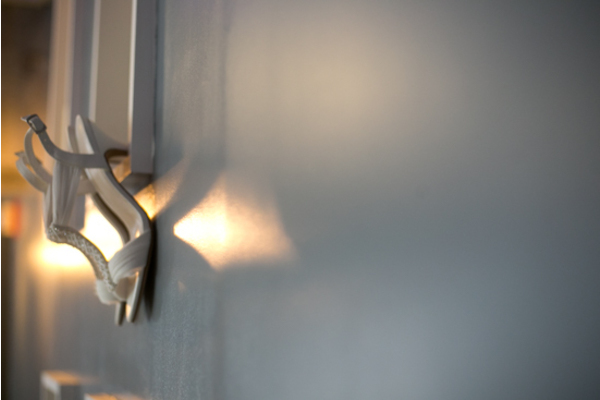 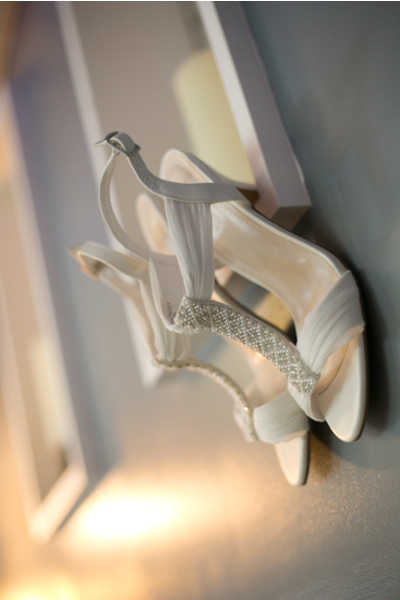 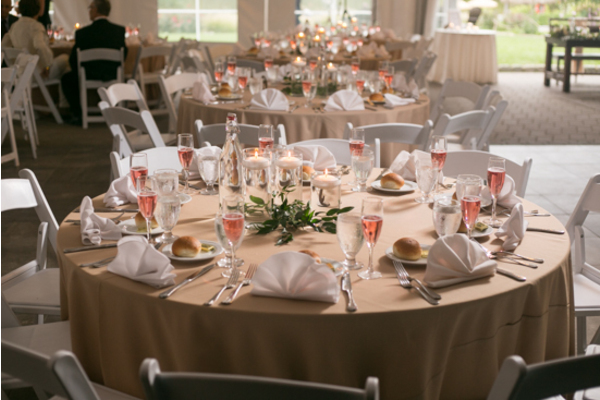 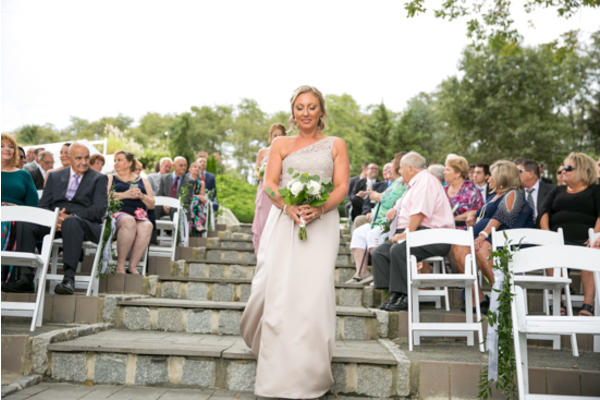 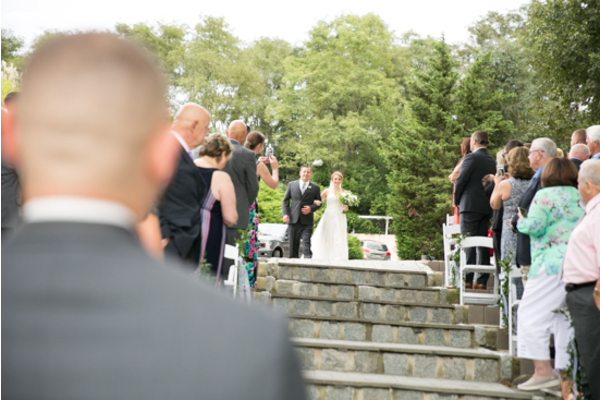 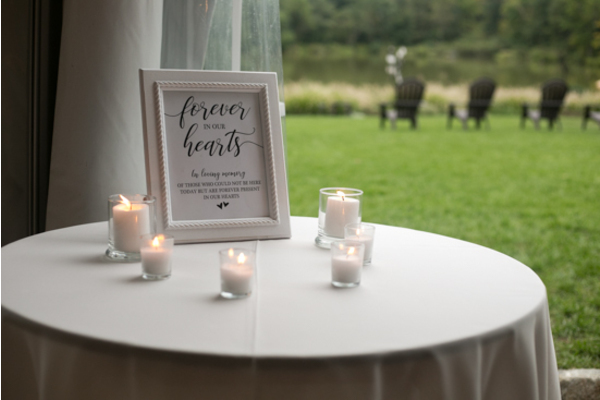 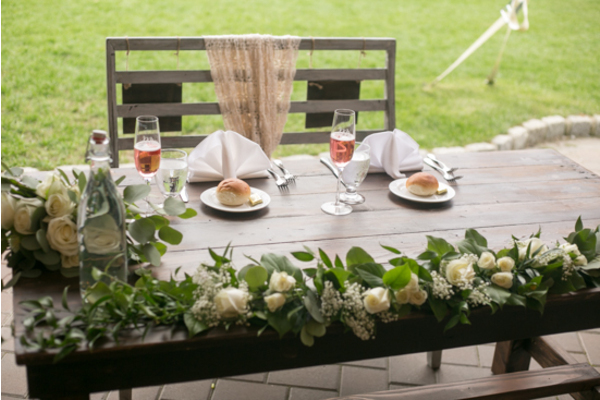 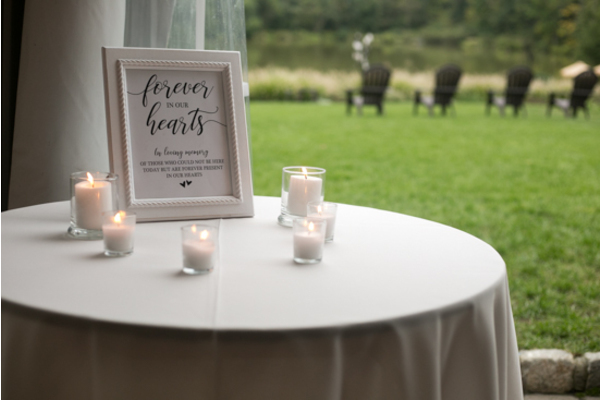 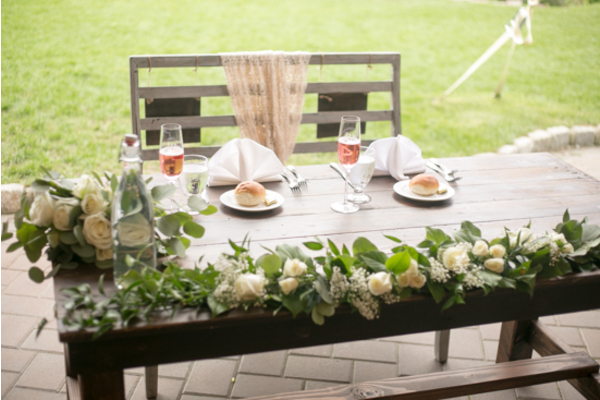 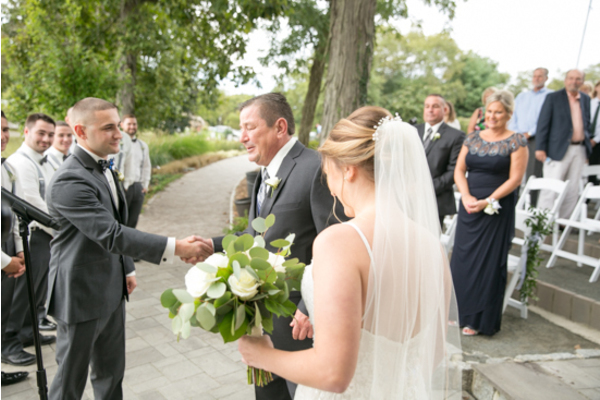 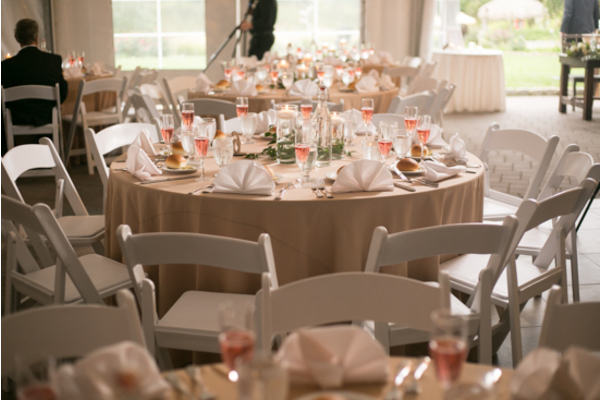 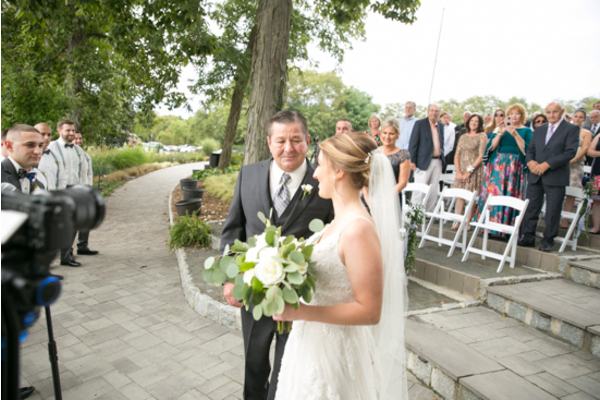 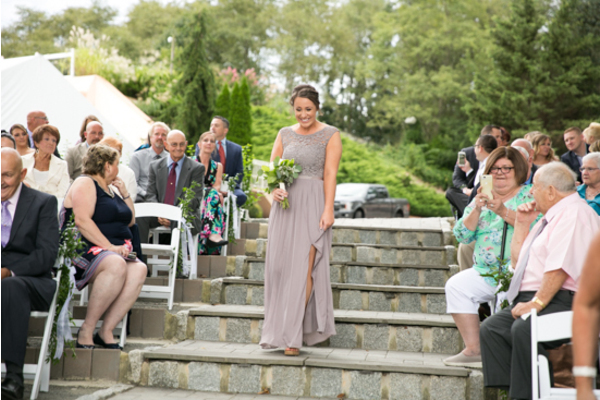 It had an elegant and earthy feel to it, making for a lovely picturesque scene that our NJ Wedding Photographer caught on camera. 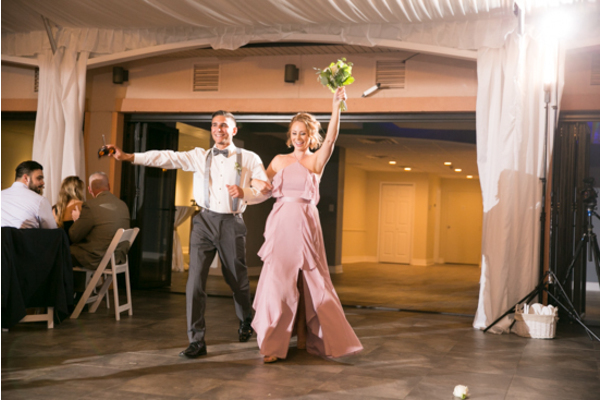 Finally, it was the time everyone had been waiting for! 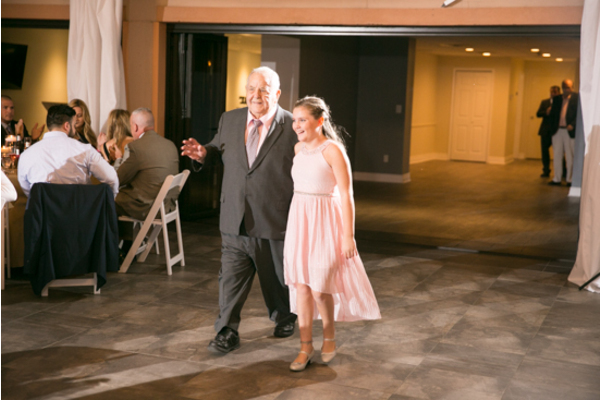 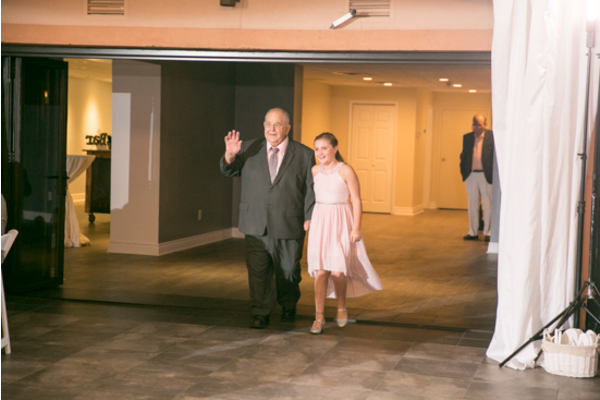 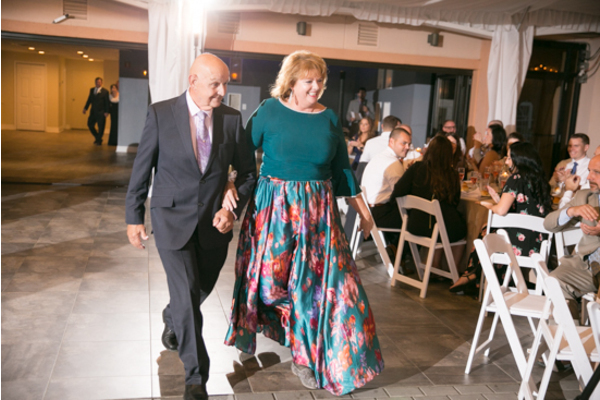 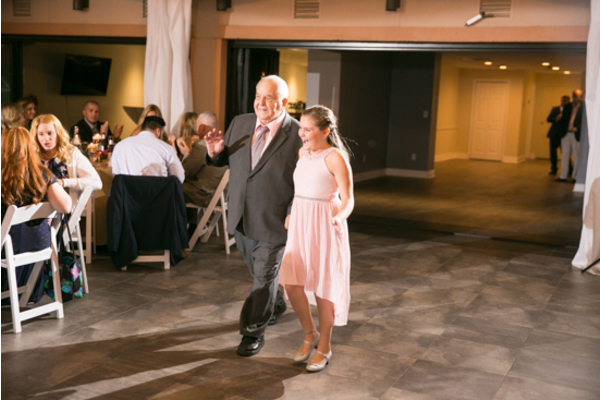 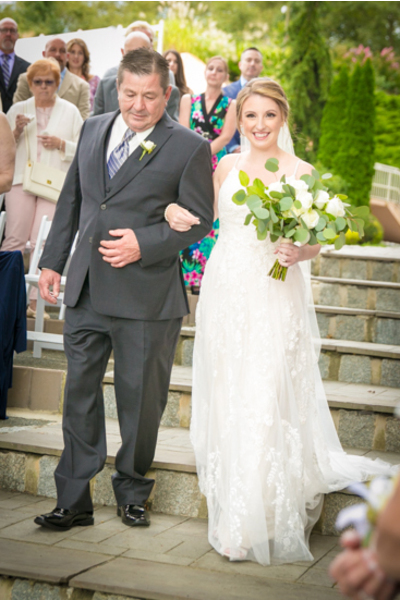 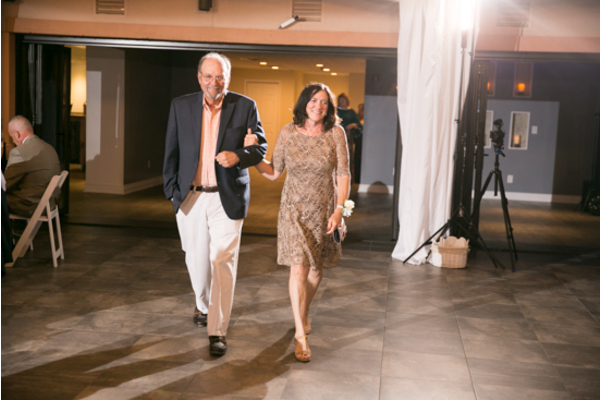 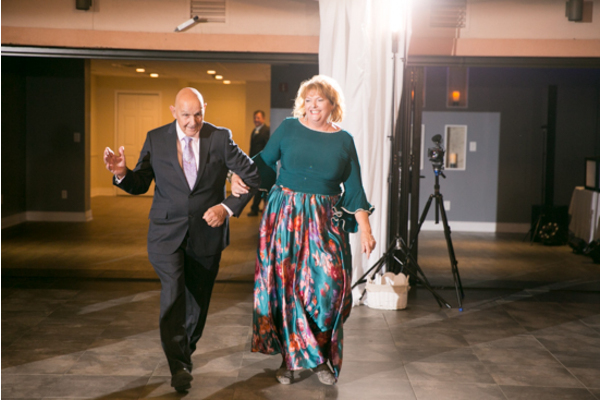 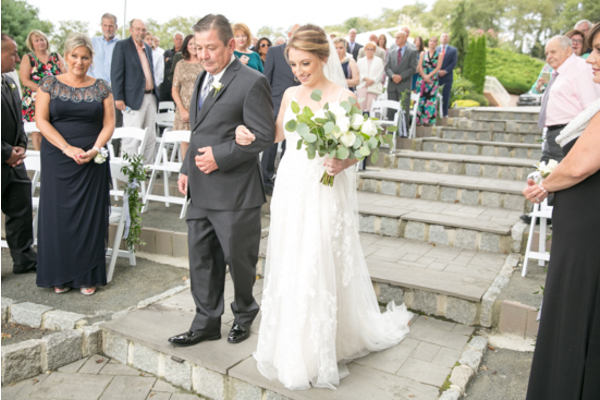 Gina was escorted by her father down the aisle to meet Kevin. 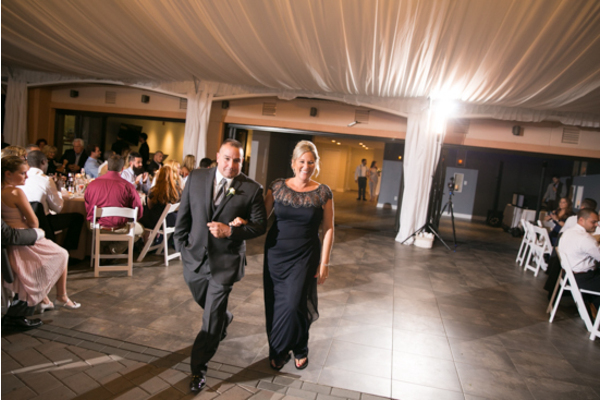 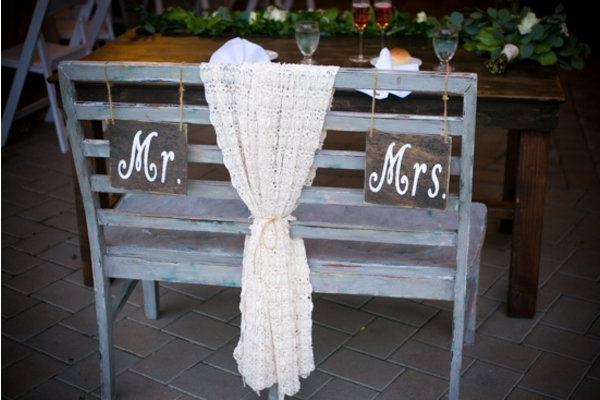 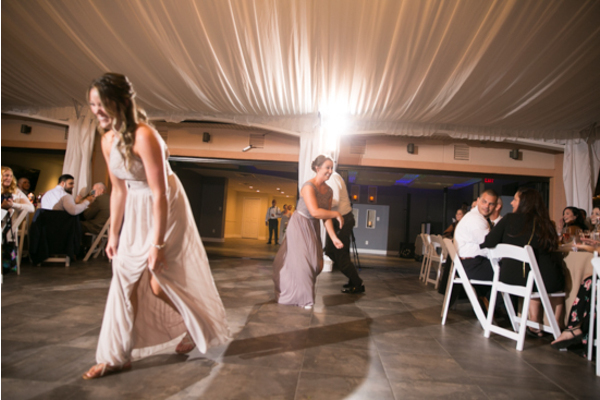 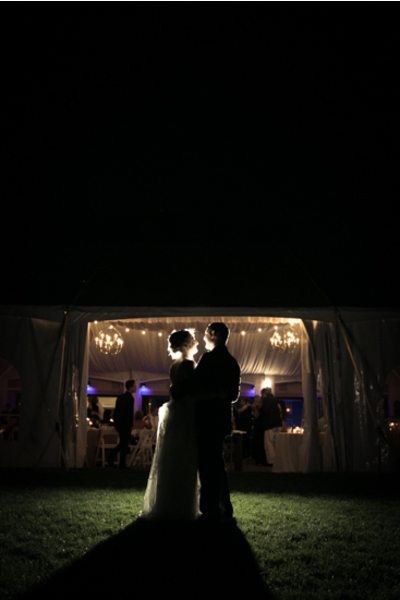 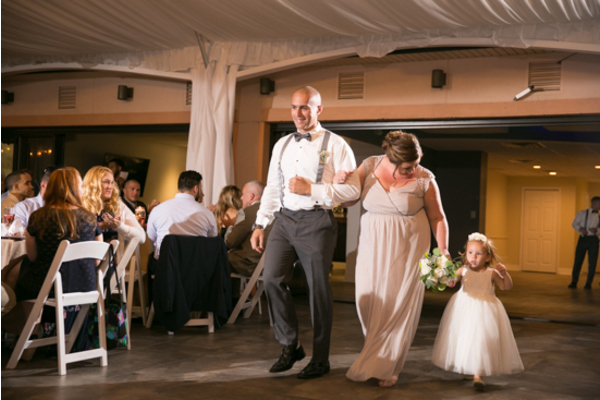 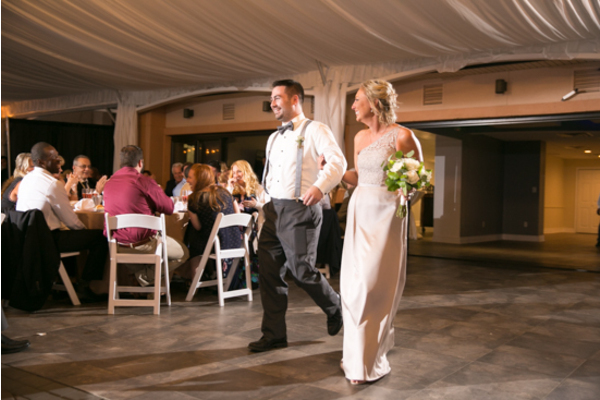 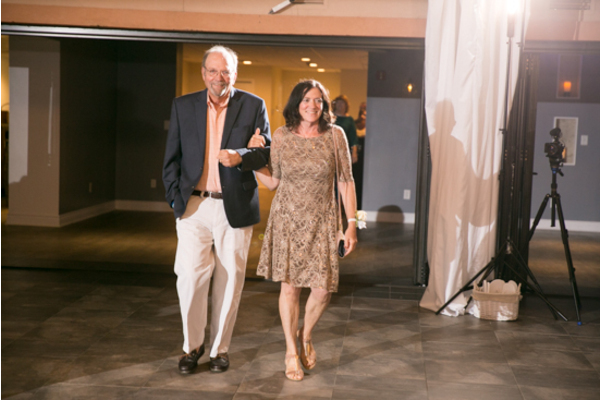 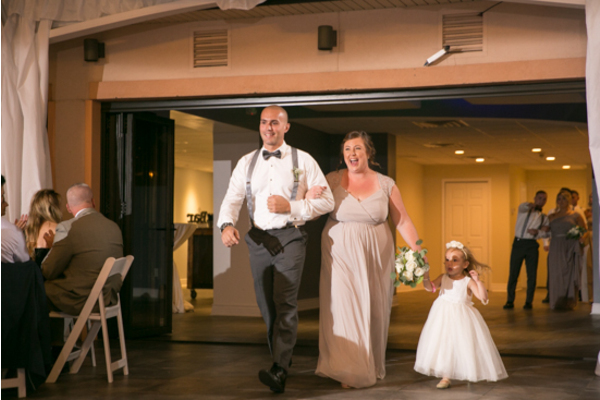 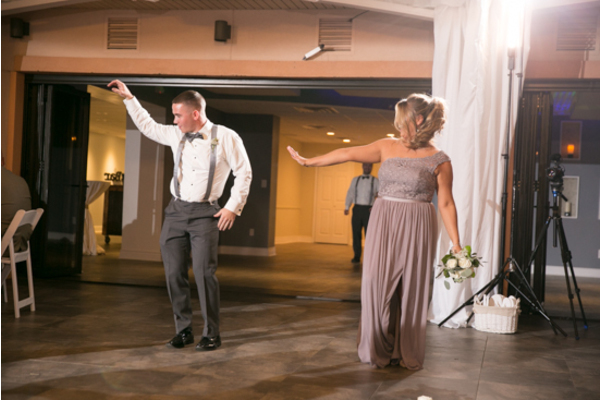 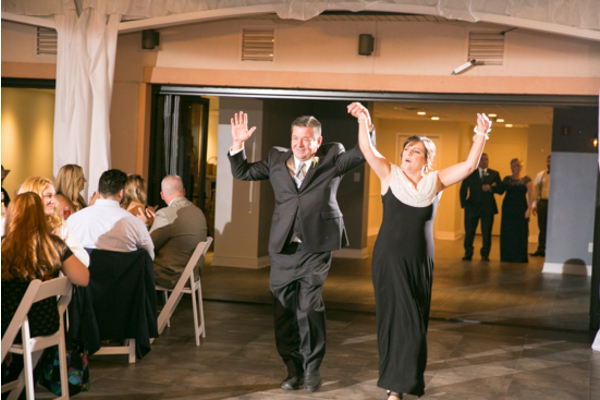 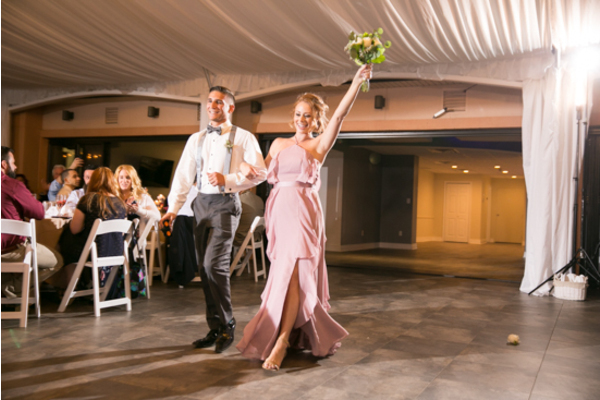 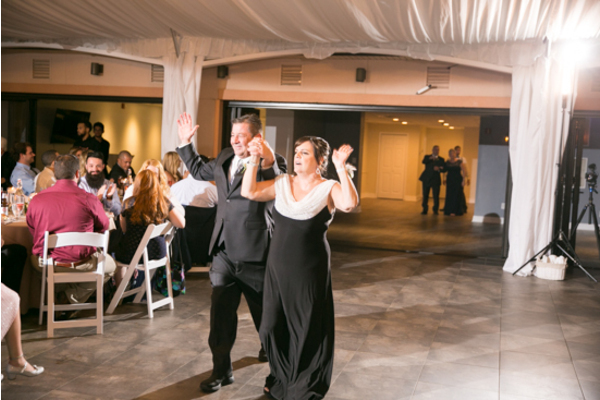 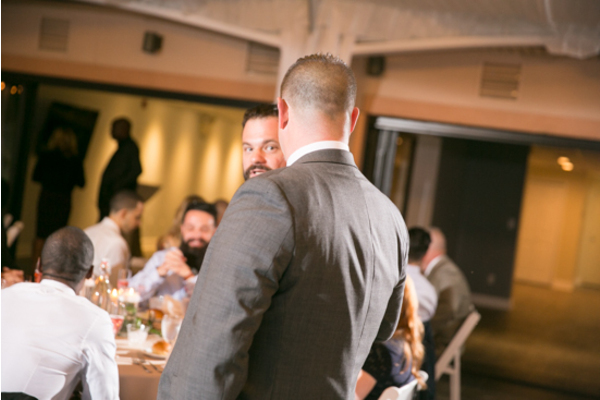 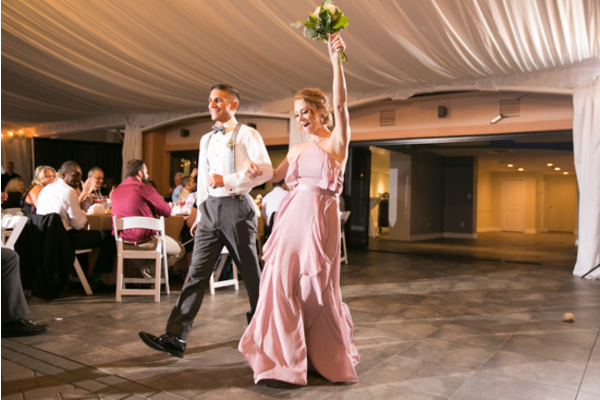 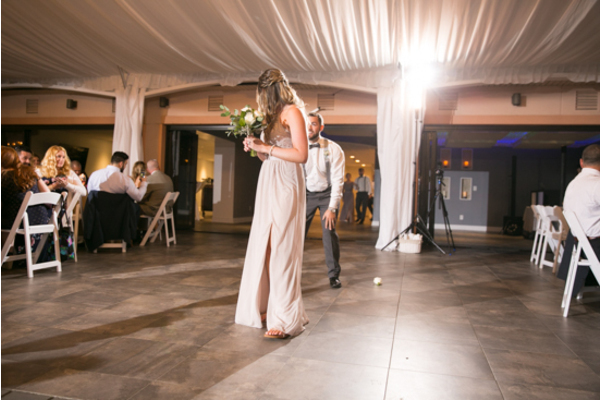 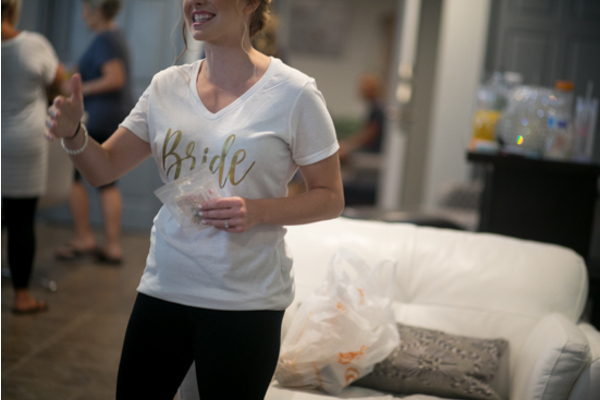 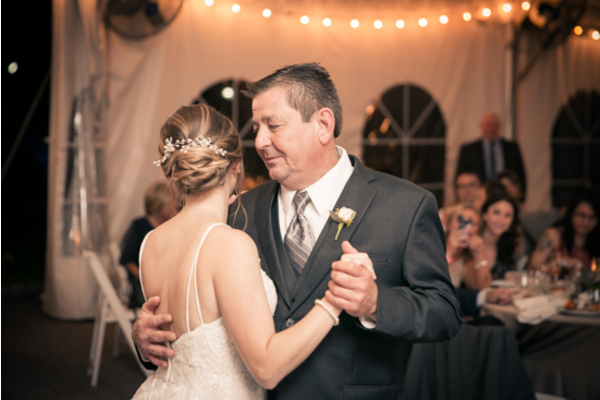 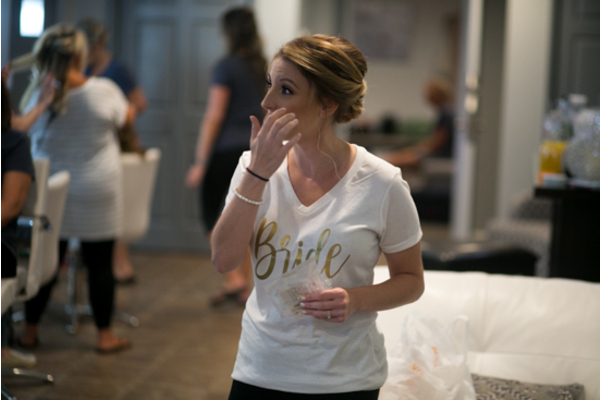 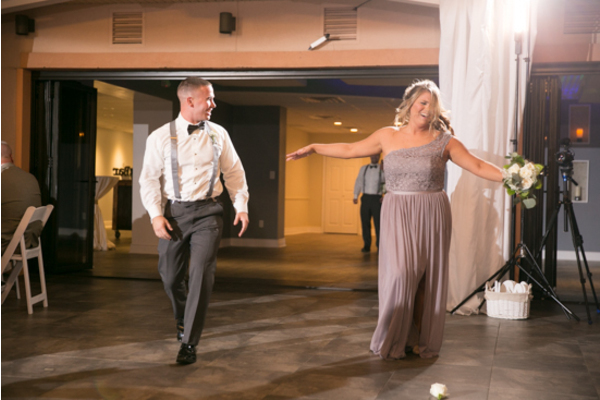 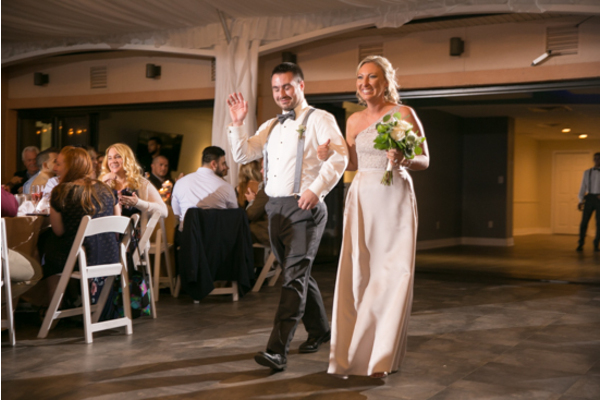 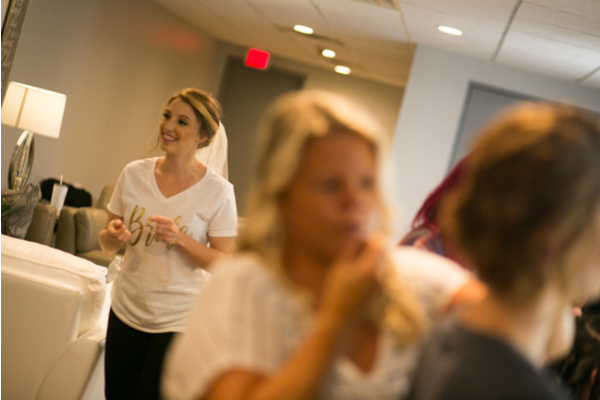 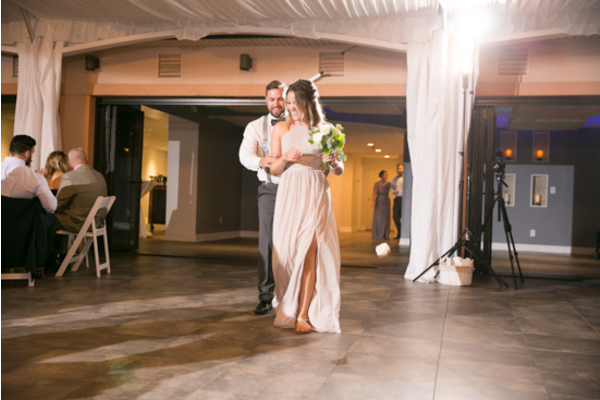 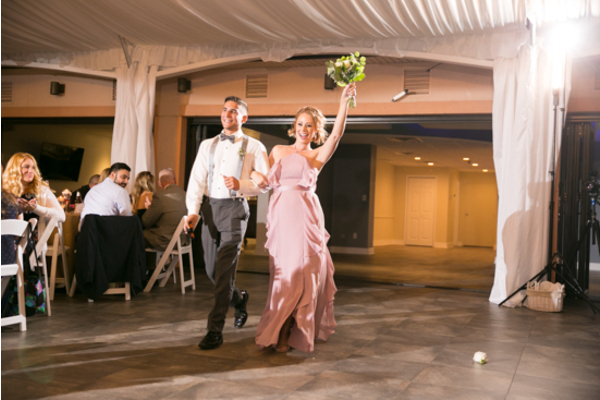 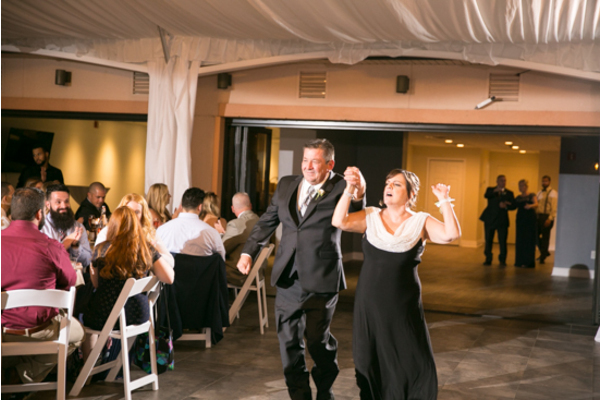 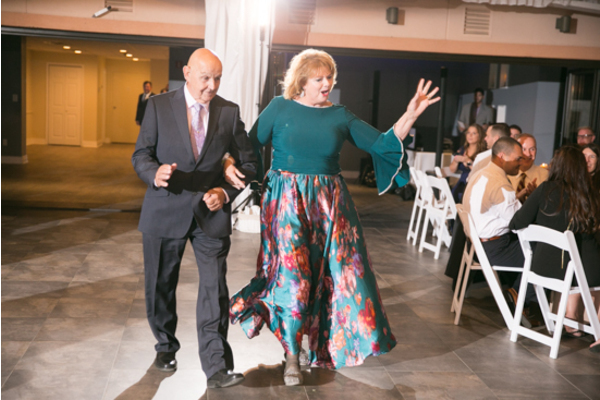 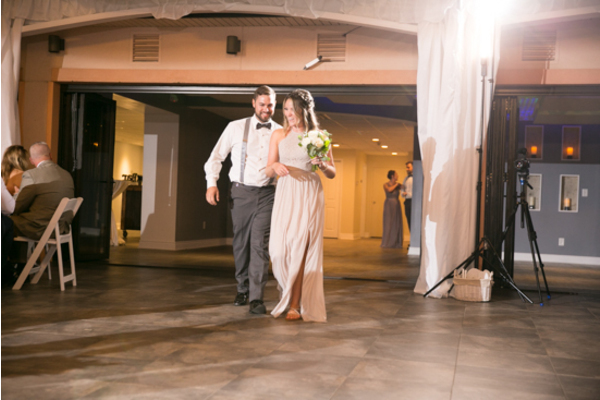 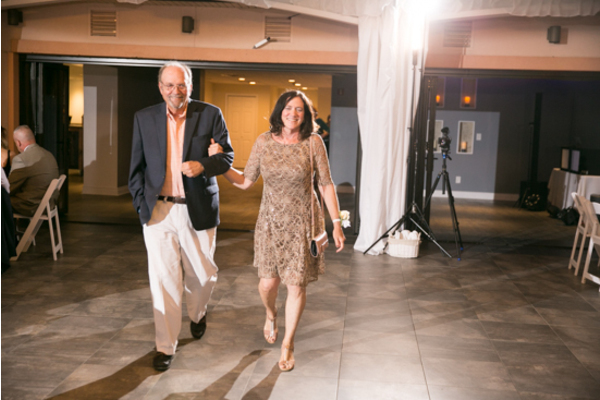 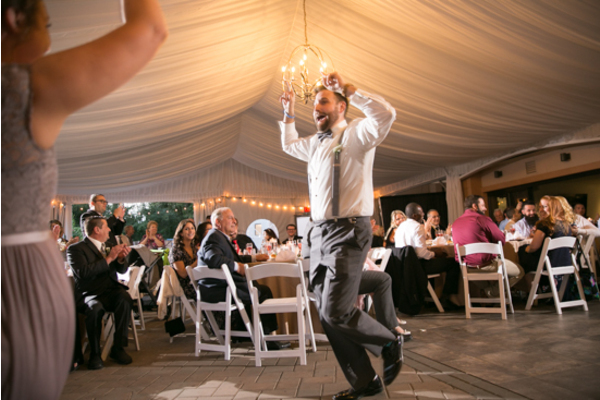 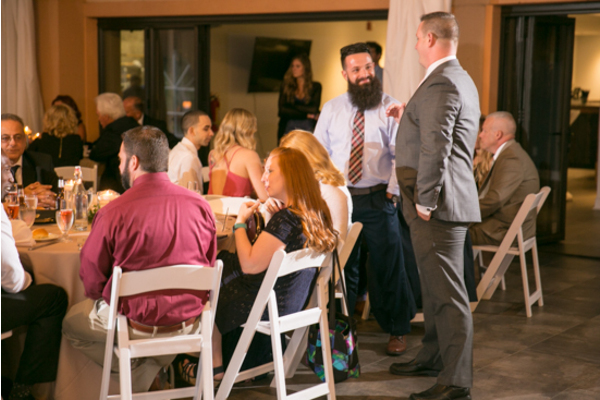 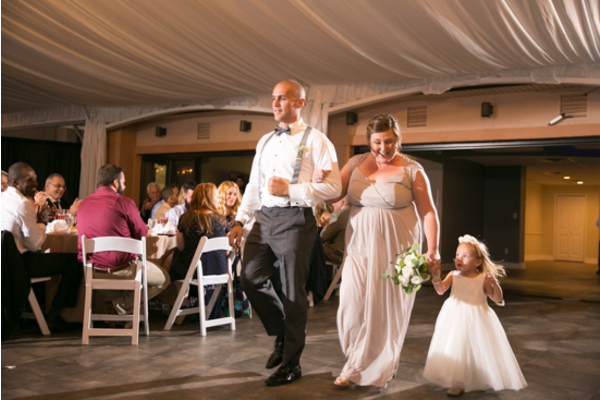 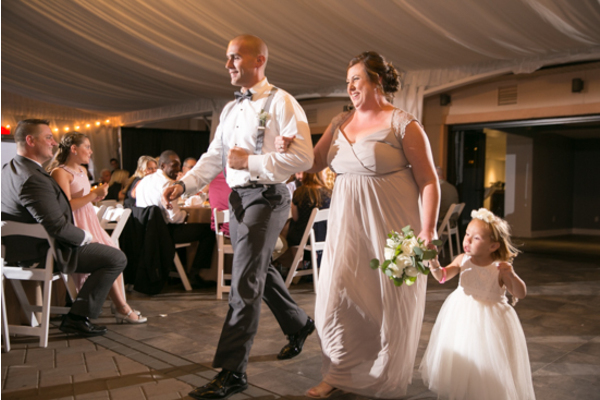 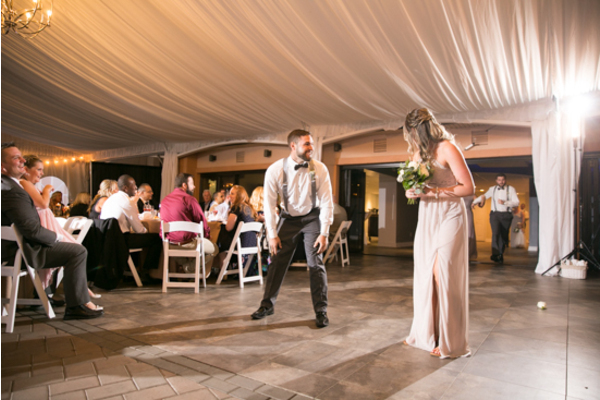 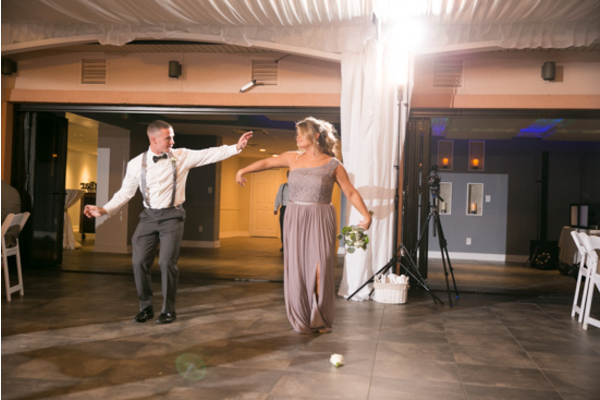 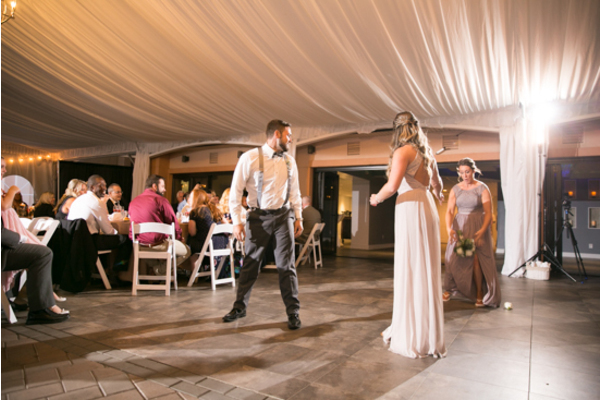 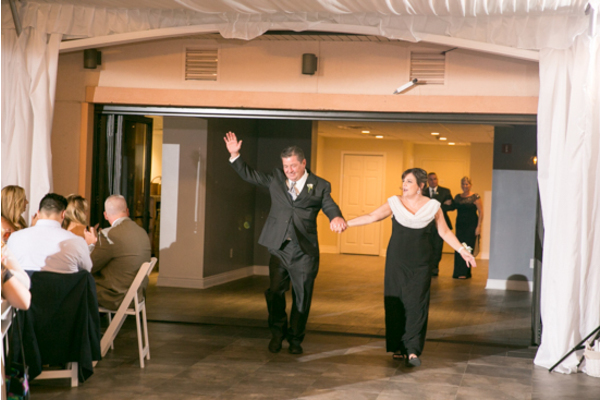 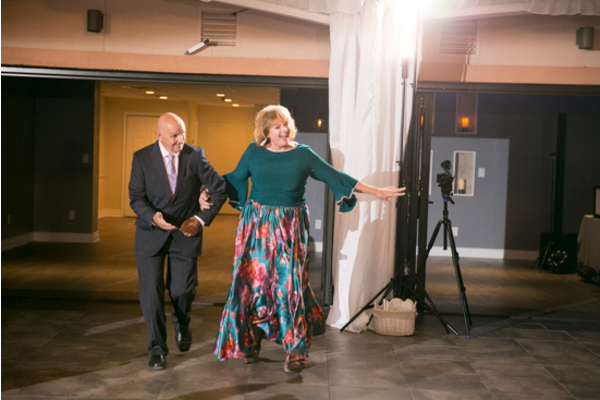 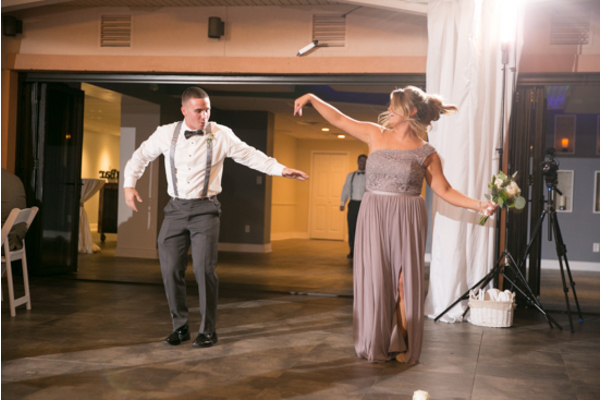 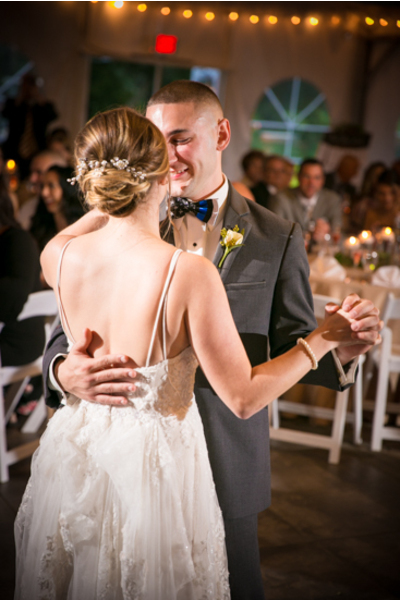 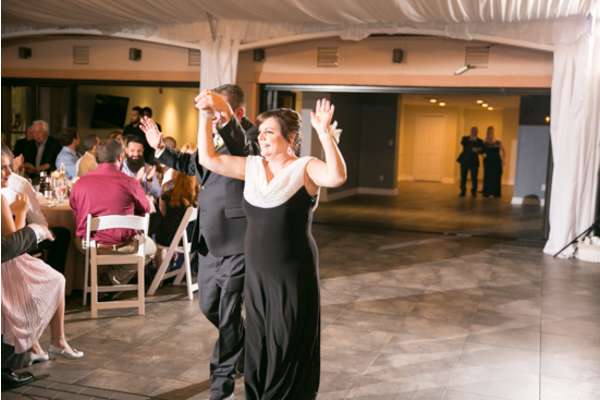 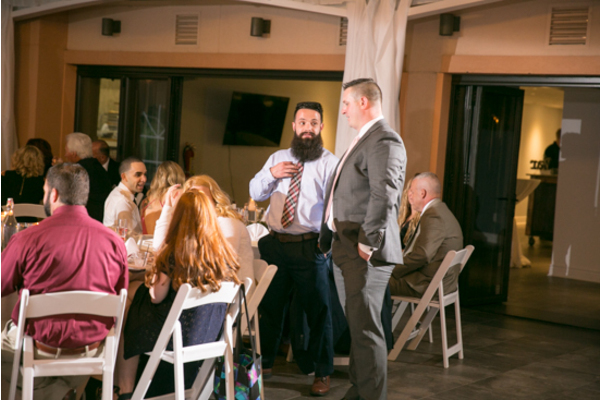 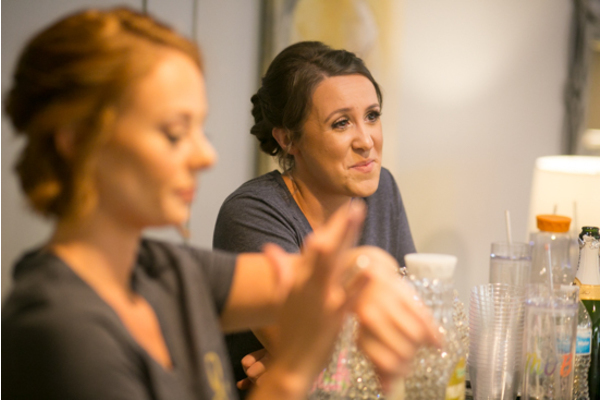 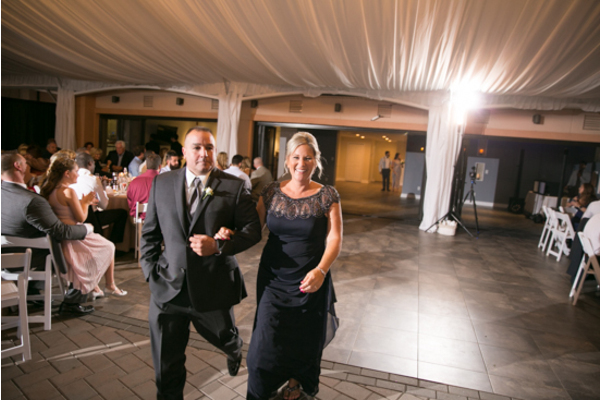 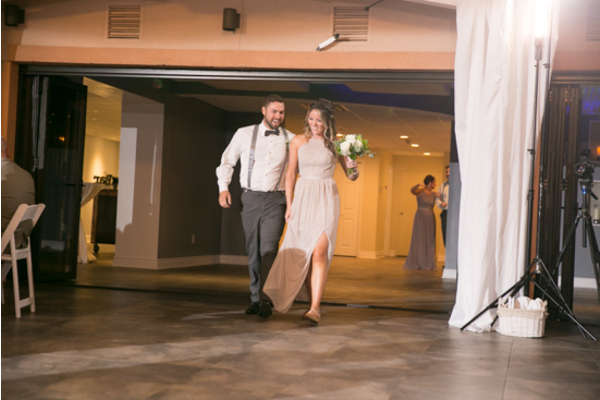 After the two officially became husband and wife, loved ones were eager to celebrate all night! 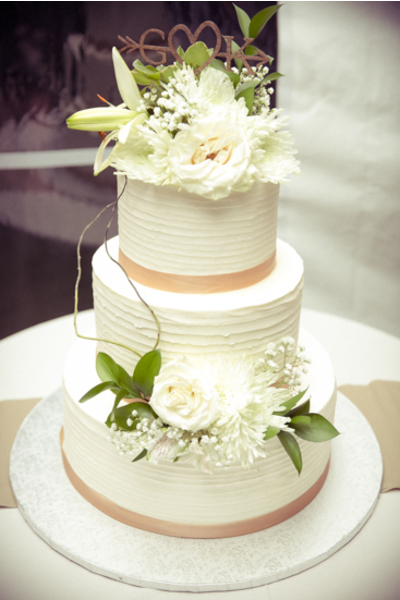 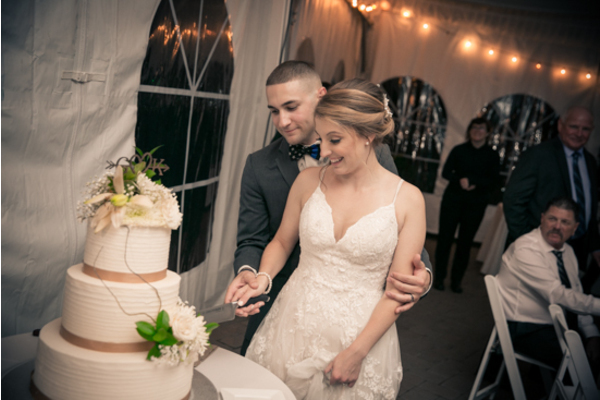 During the reception, the couple danced and cut their cake together. 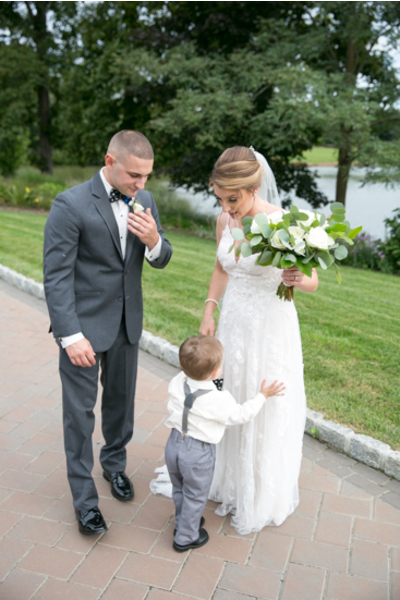 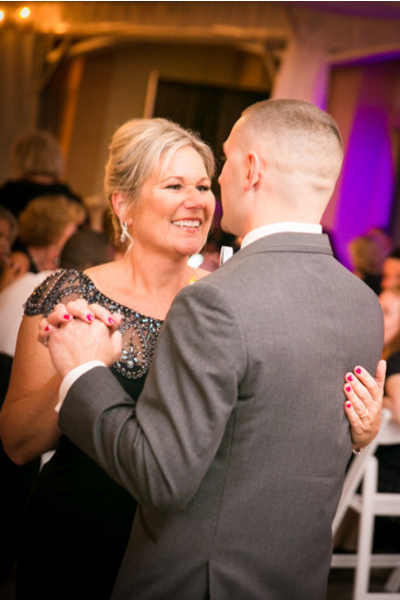 Also, they shared an adorable first dance with their son. 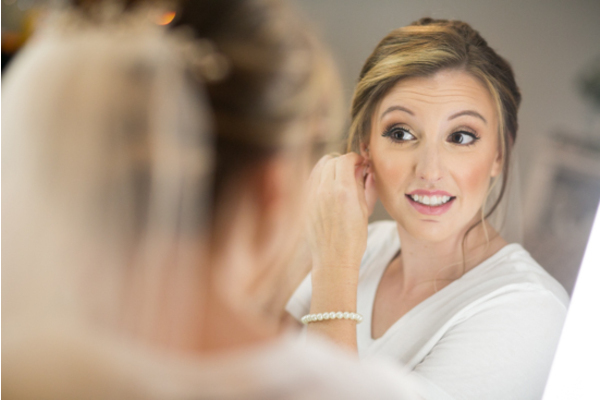 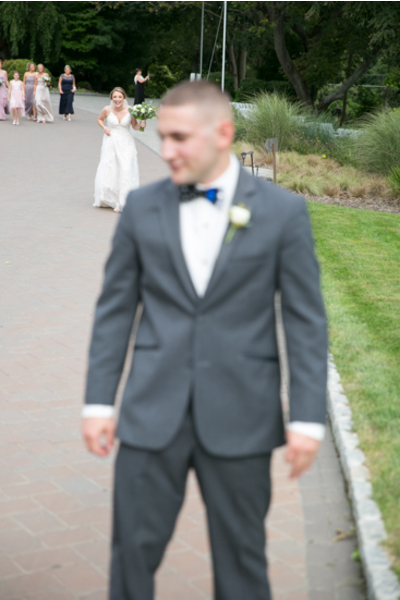 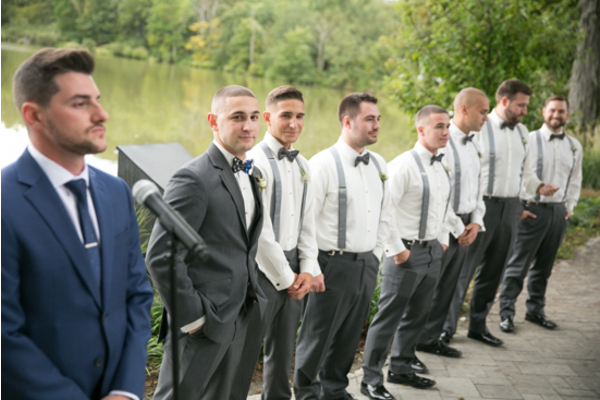 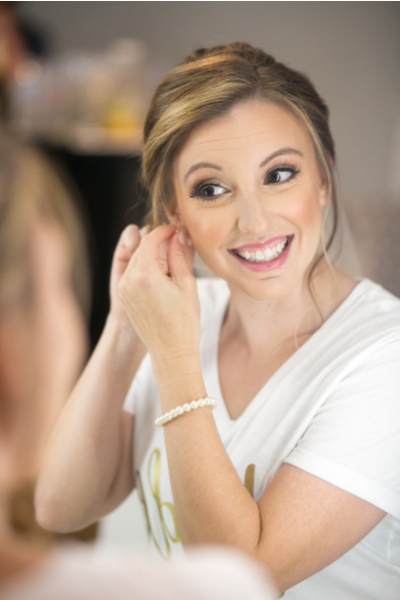 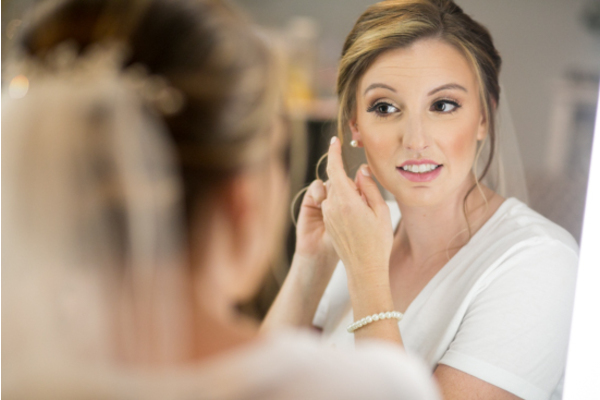 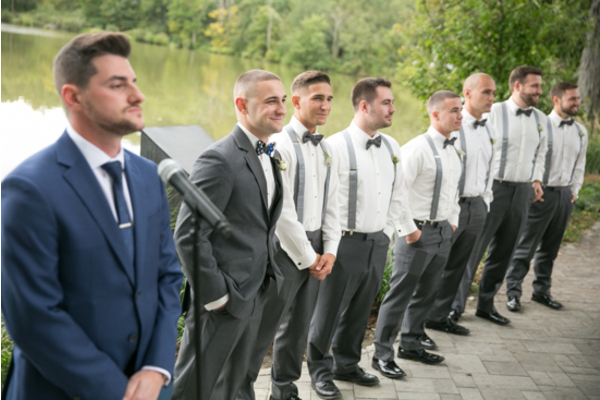 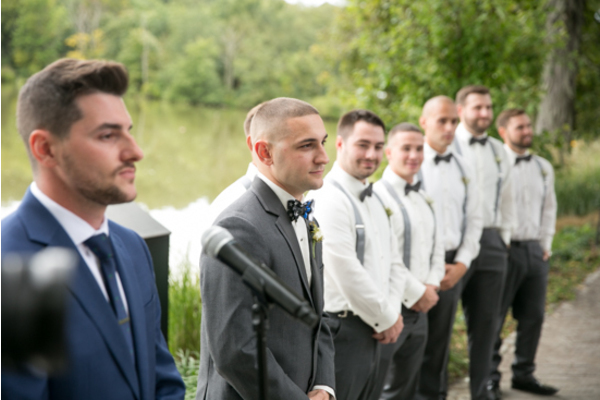 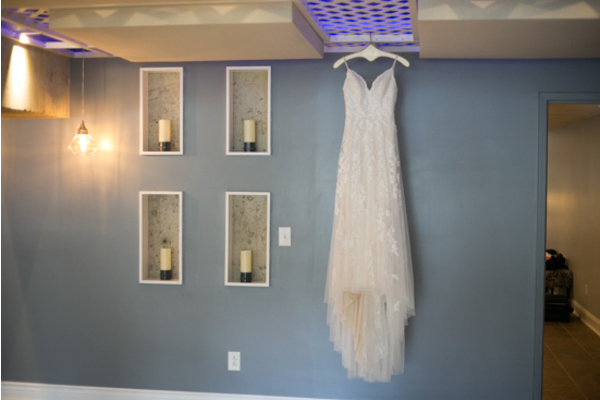 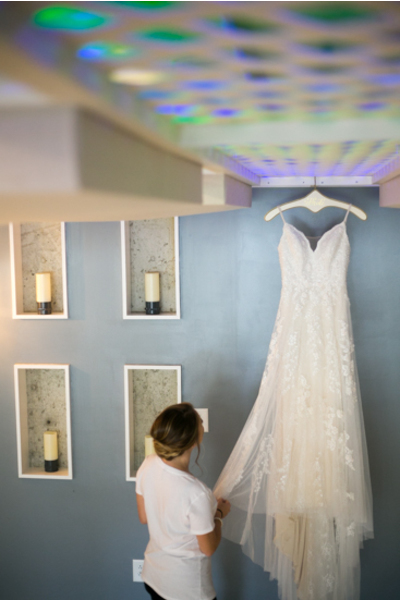 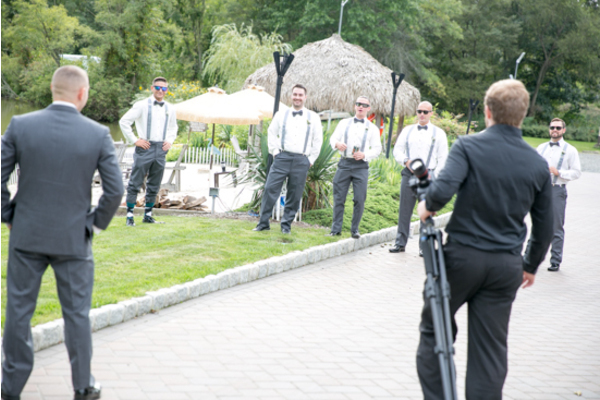 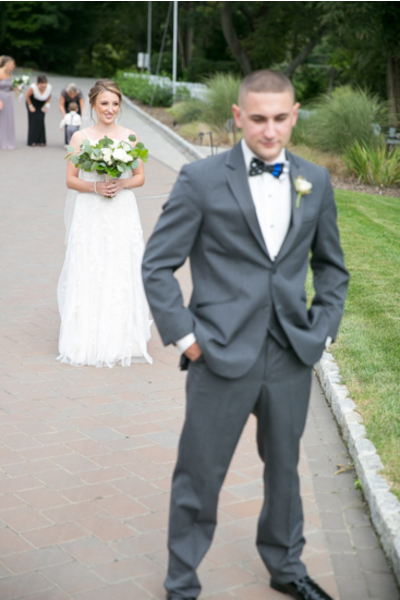 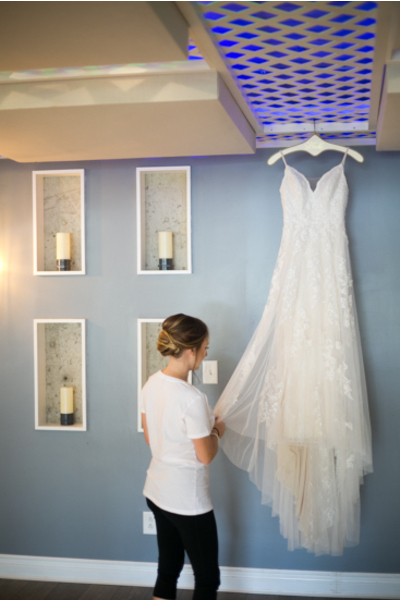 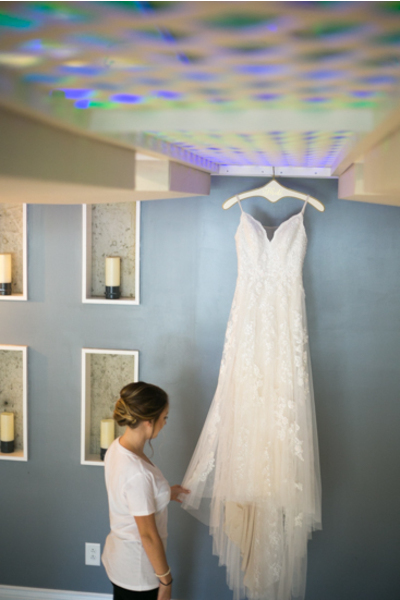 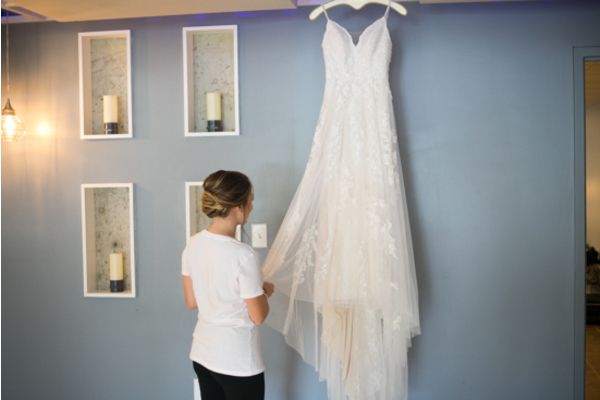 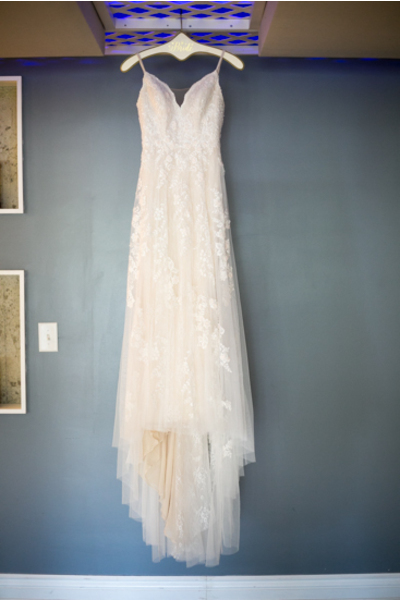 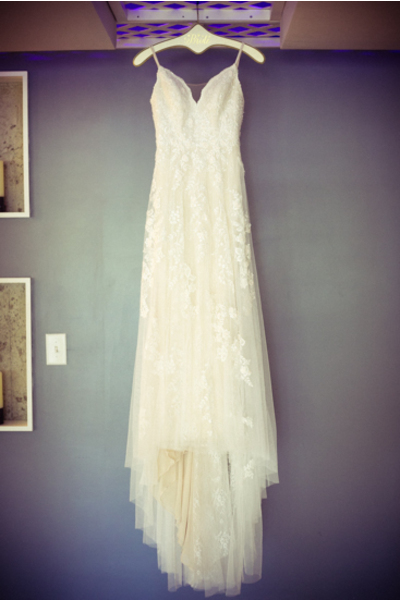 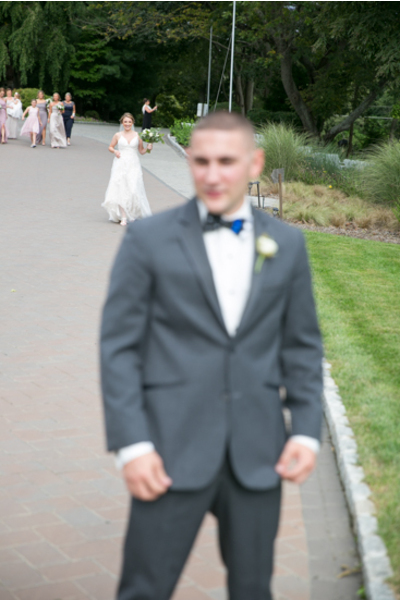 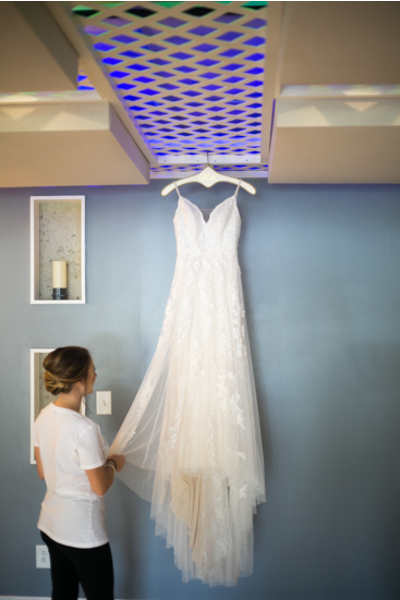 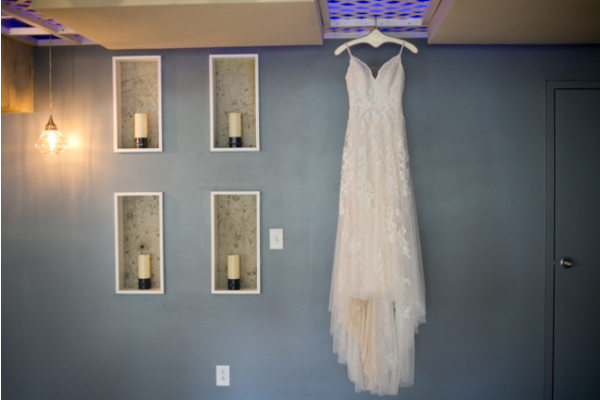 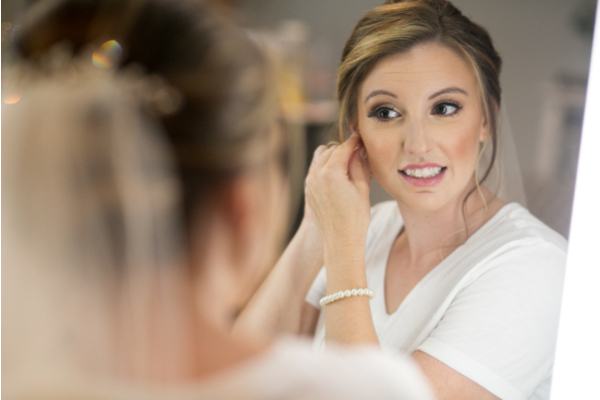 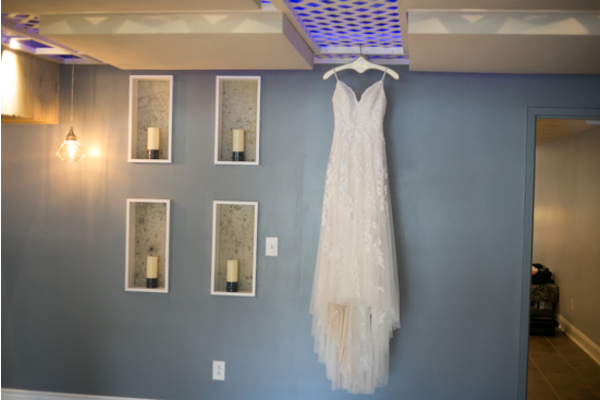 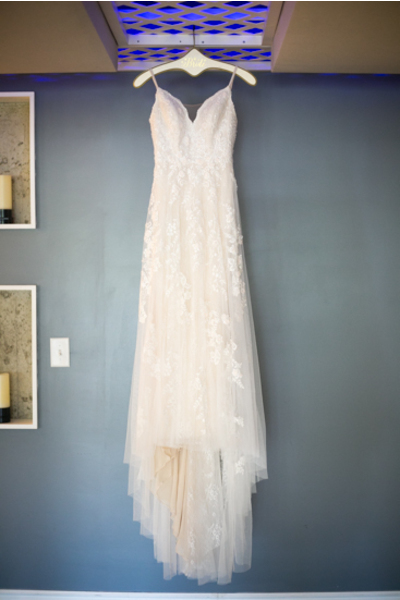 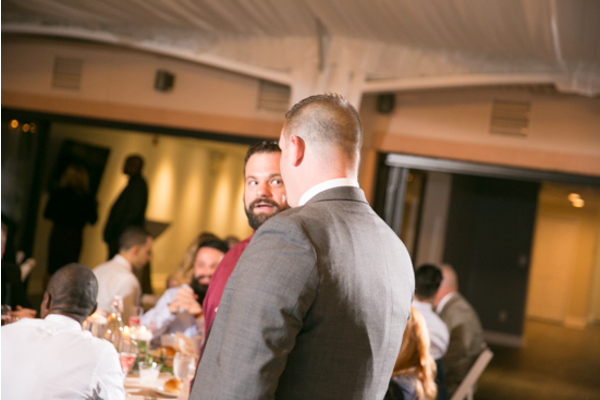 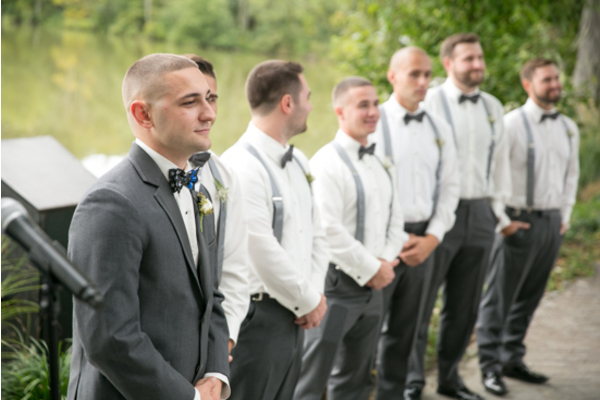 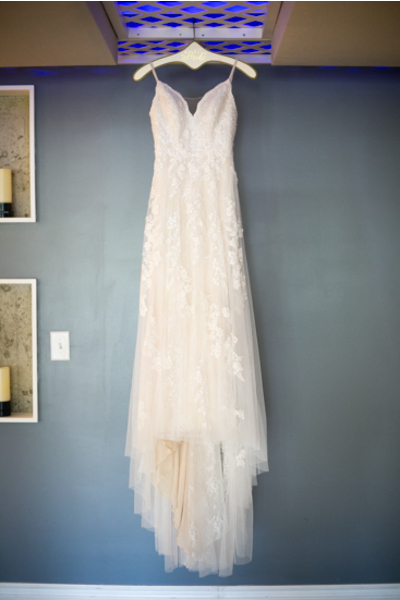 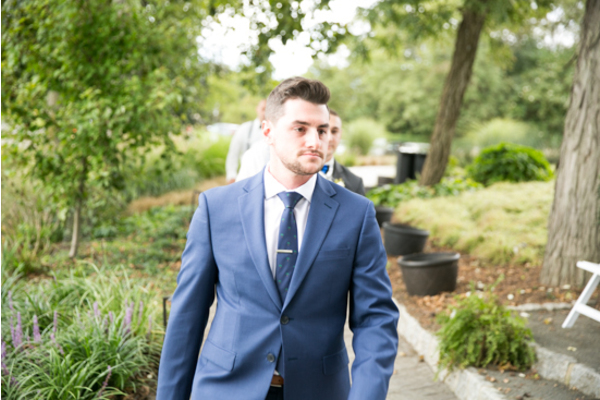 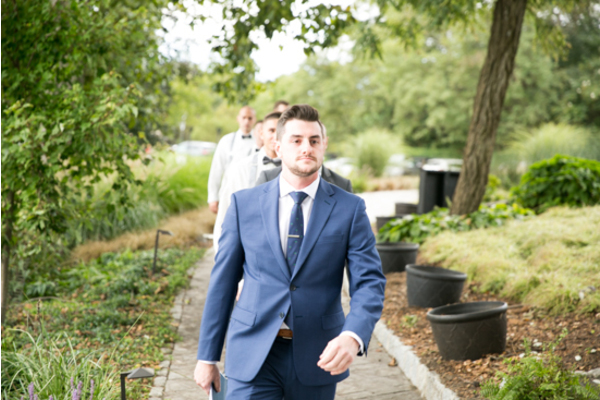 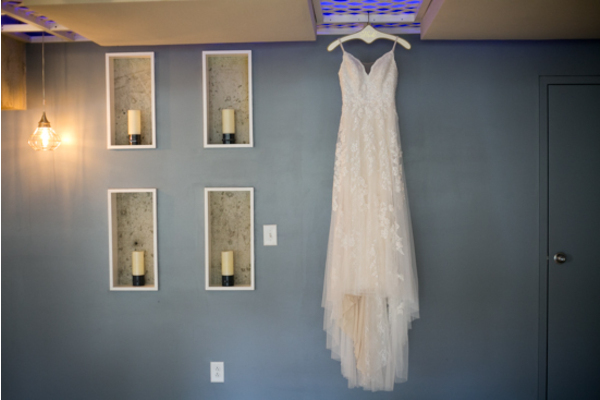 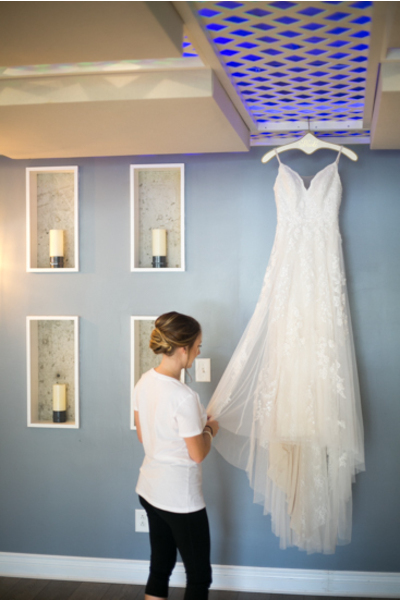 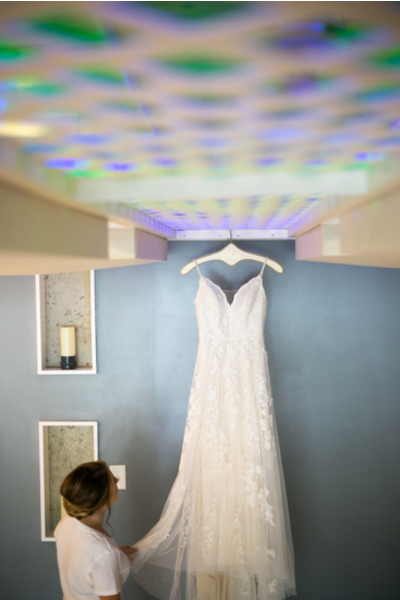 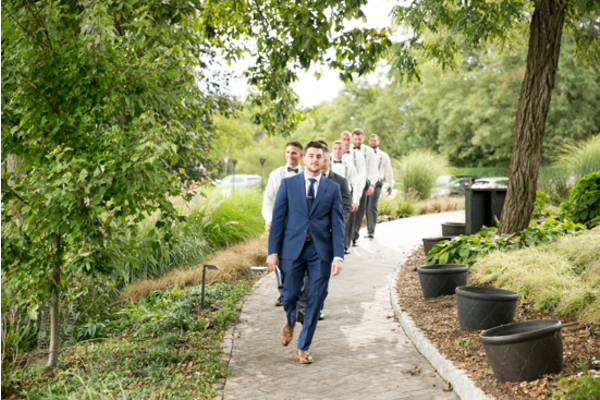 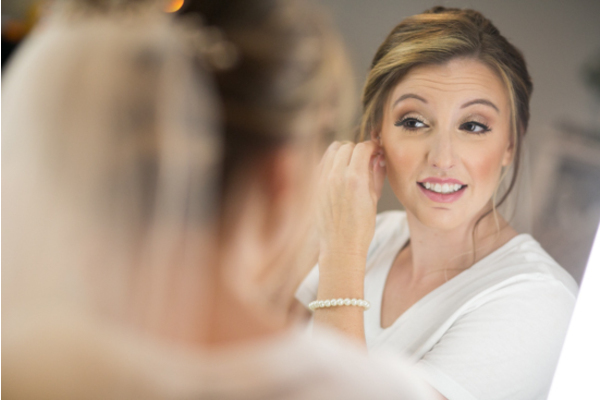 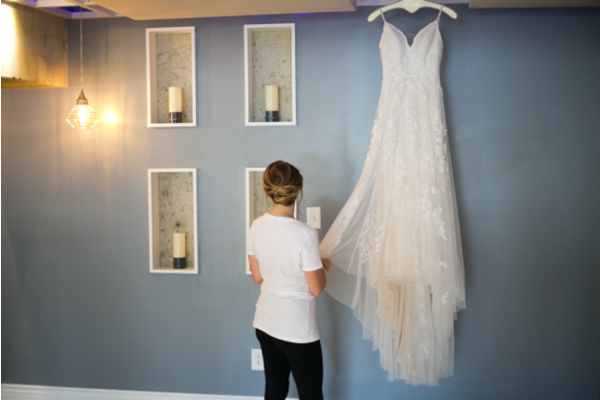 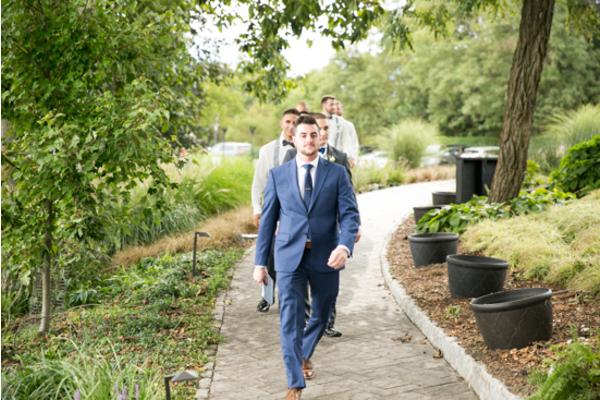 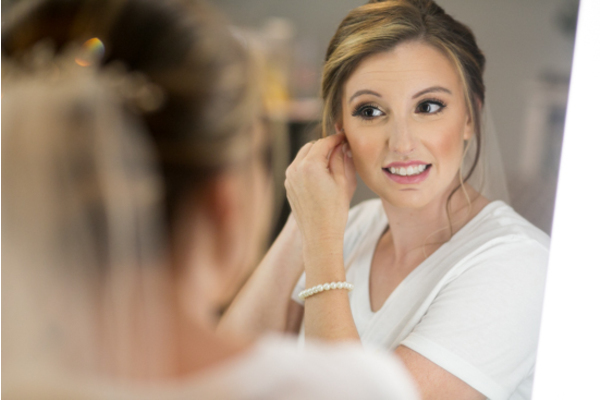 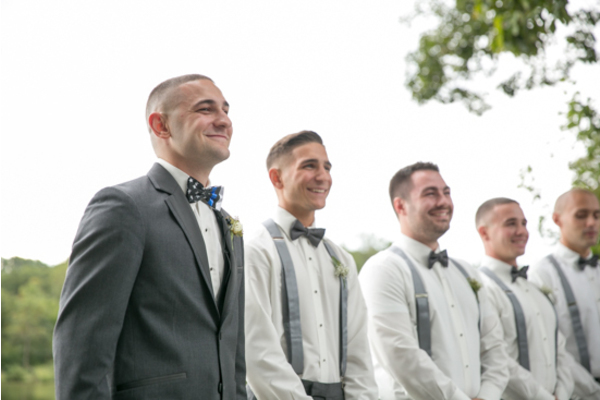 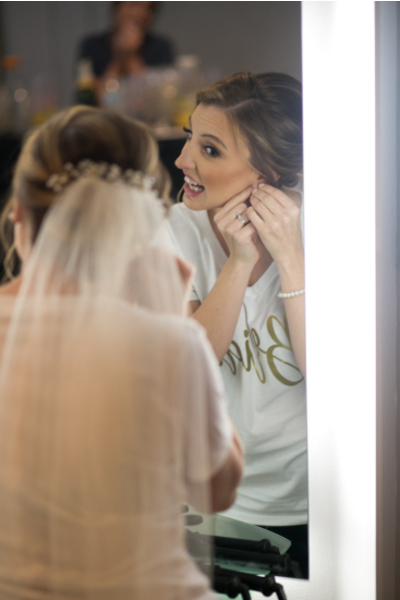 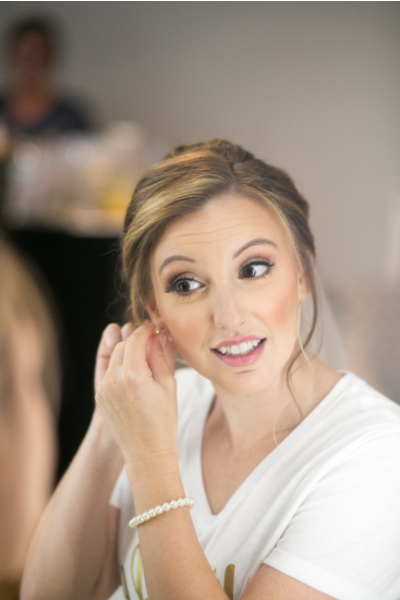 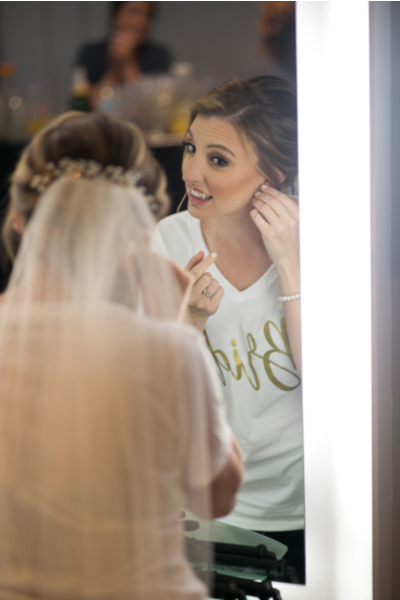 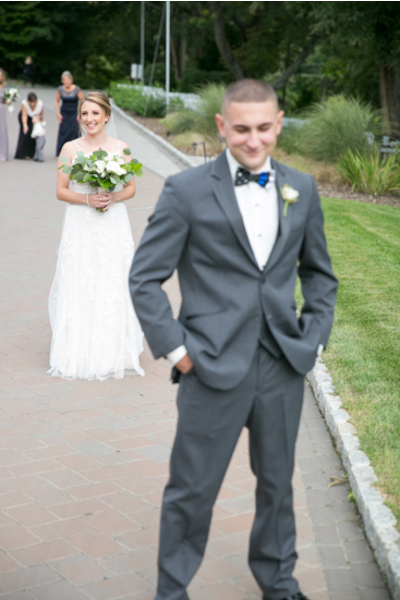 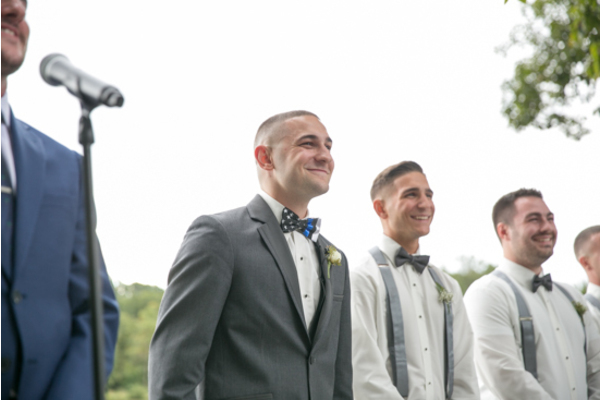 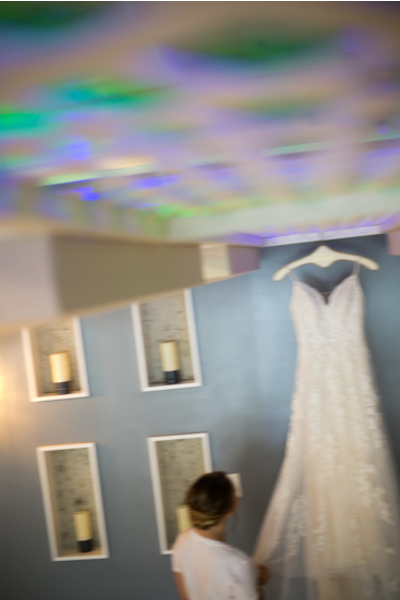 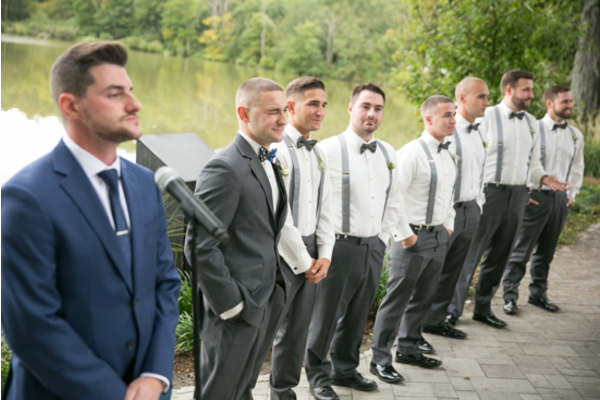 Our NJ Wedding Photographer made sure to get this on camera! 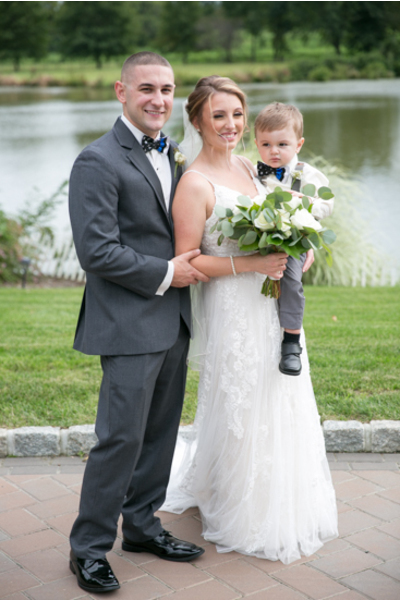 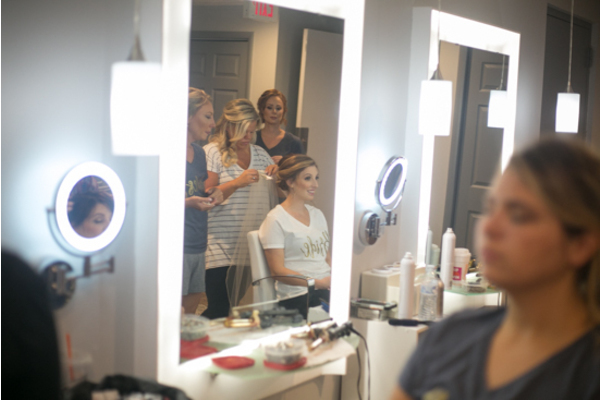 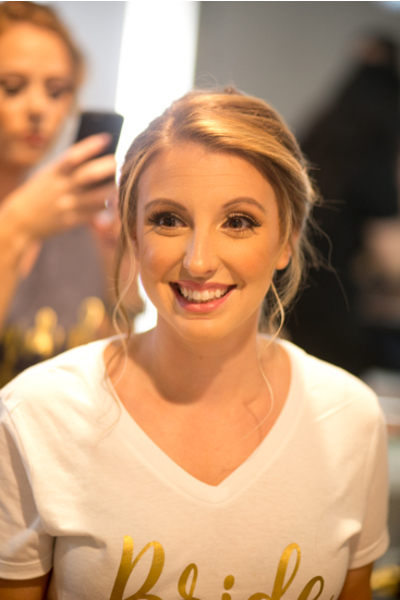 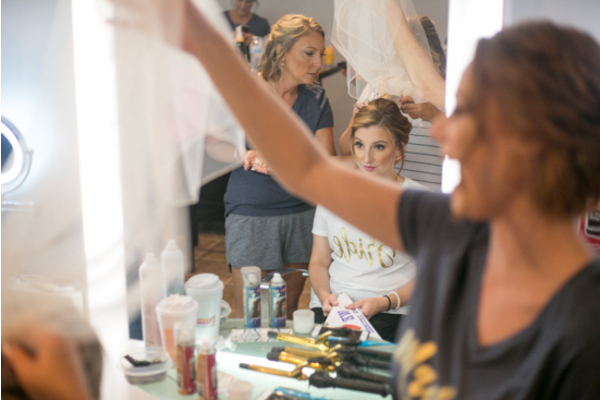 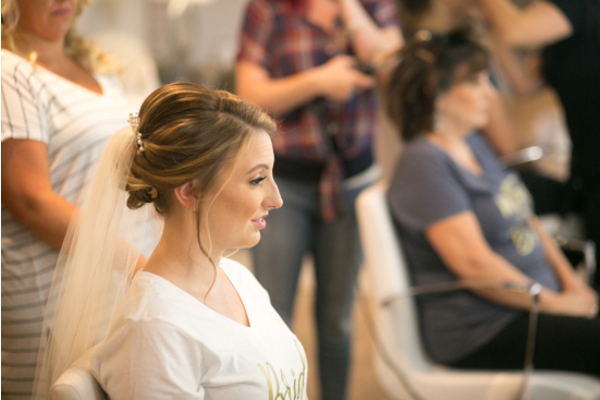 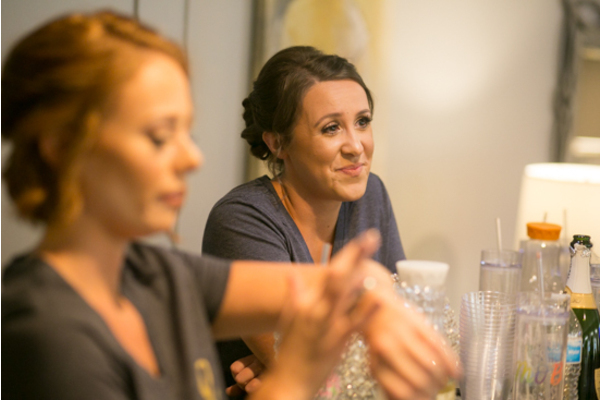 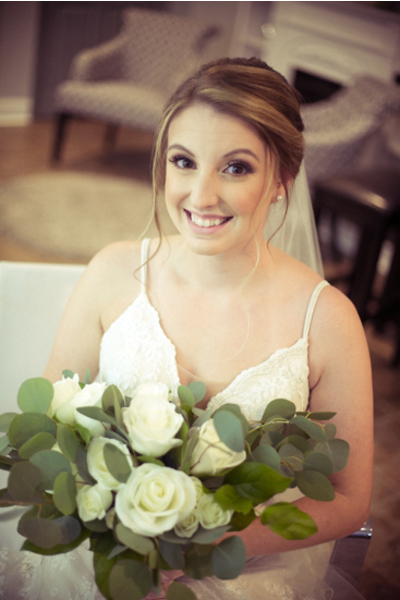 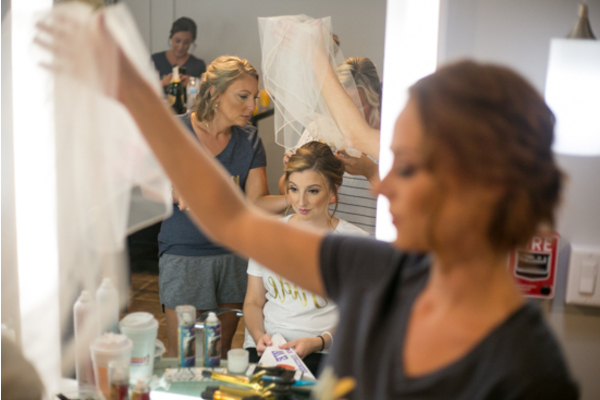 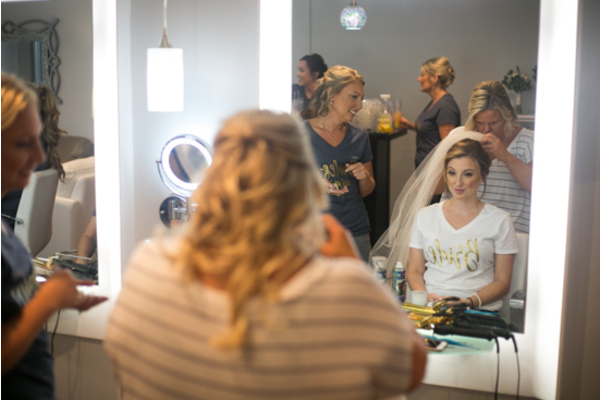 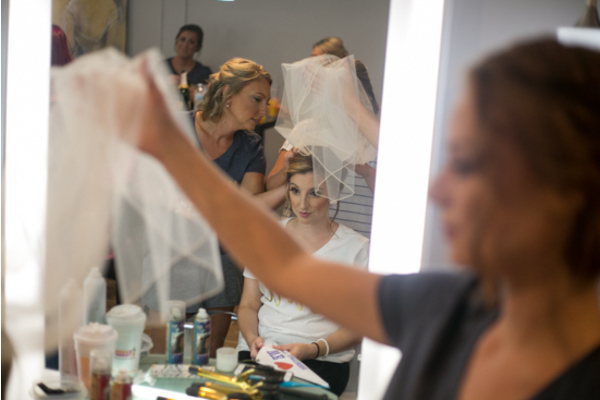 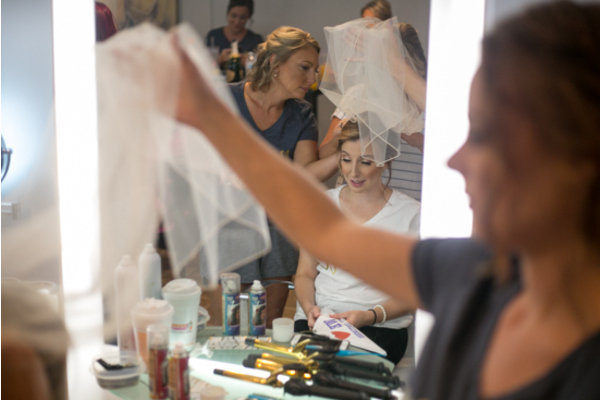 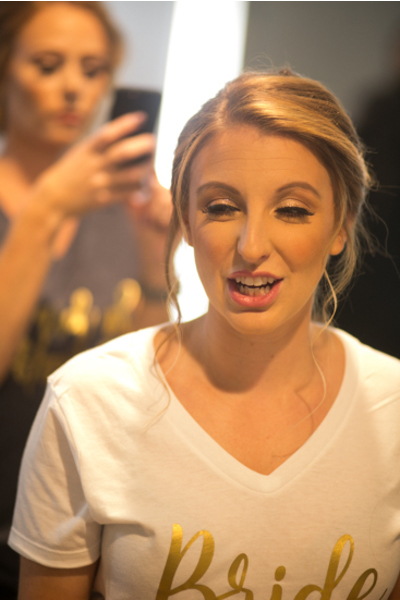 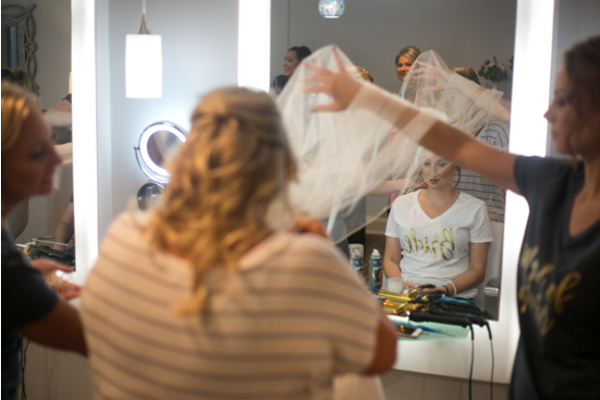 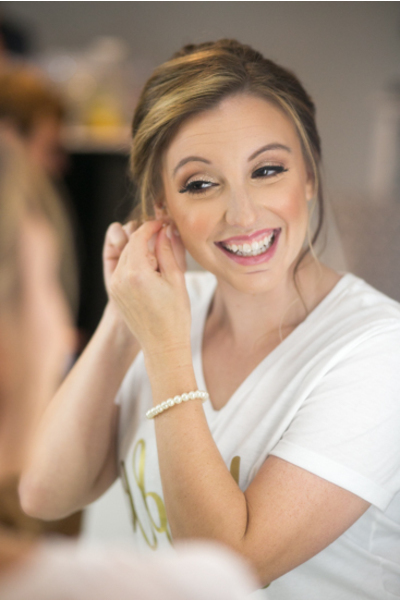 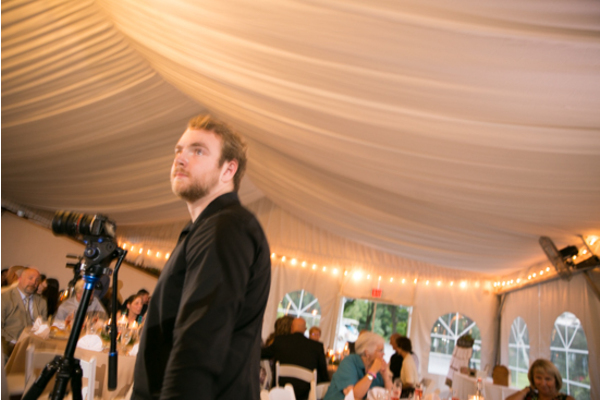 Gina and Kevin’s wedding day was amazing and we are beyond grateful to have been there for it! 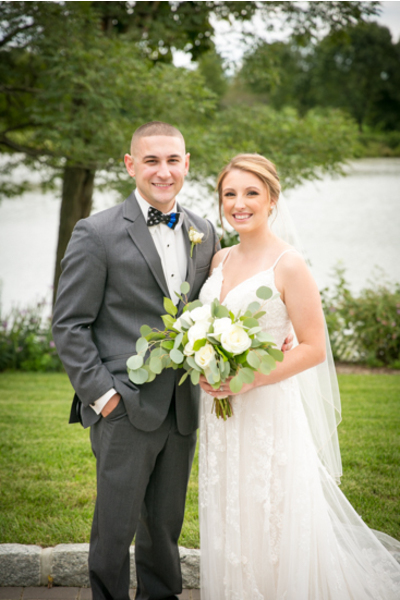 Congratulations, again, to Gina and Kevin for tying the knot! 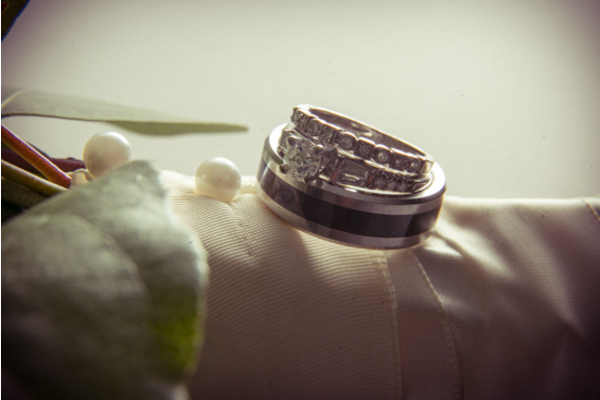 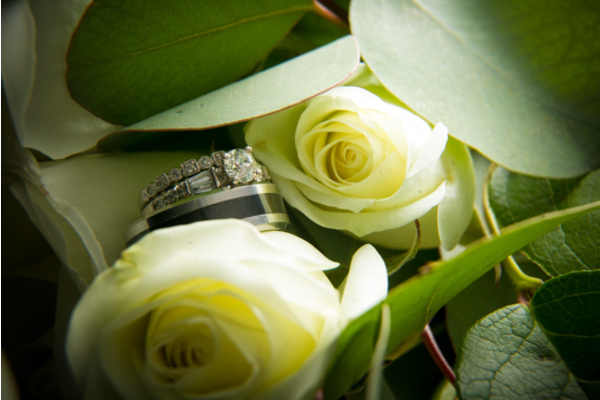 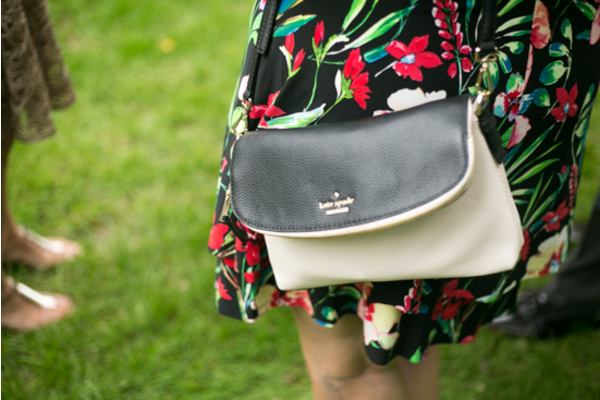 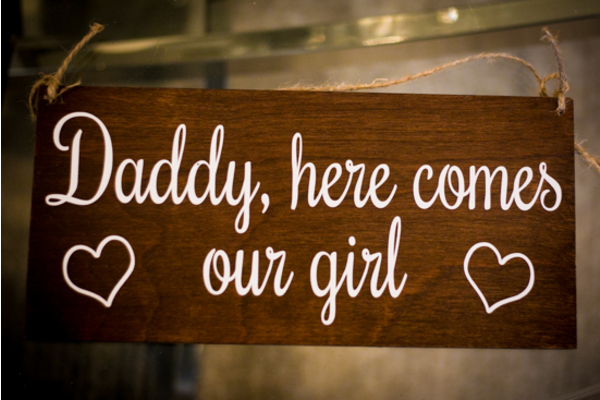 We hope your future is filled with everlasting happiness.